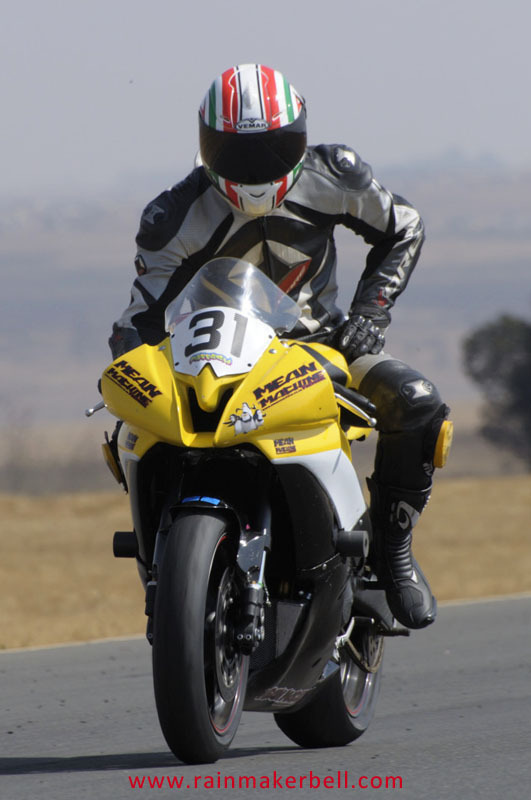 You don’t have to die and go to heaven; or hang around to be born again, just tune in to what this place got to offer us, we might never be here again—Red Star Raceway, heaven on the other side of the modern world. 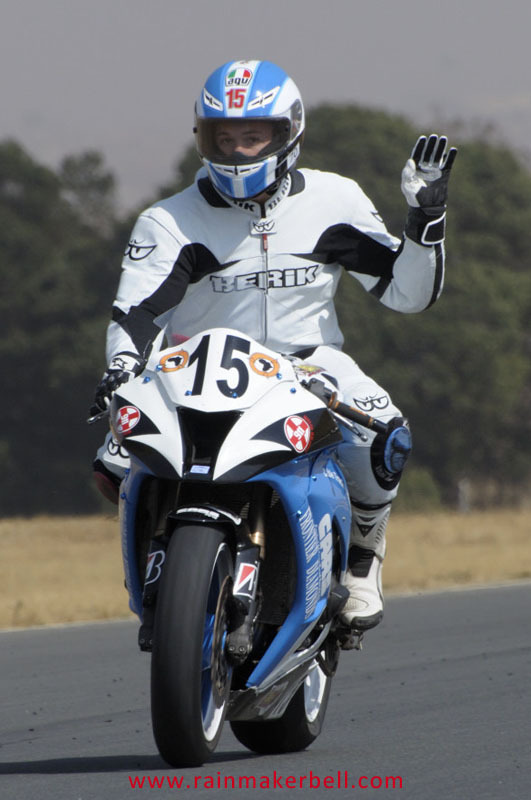 (Intro adapted from the Van Halen song, Best of both worlds). 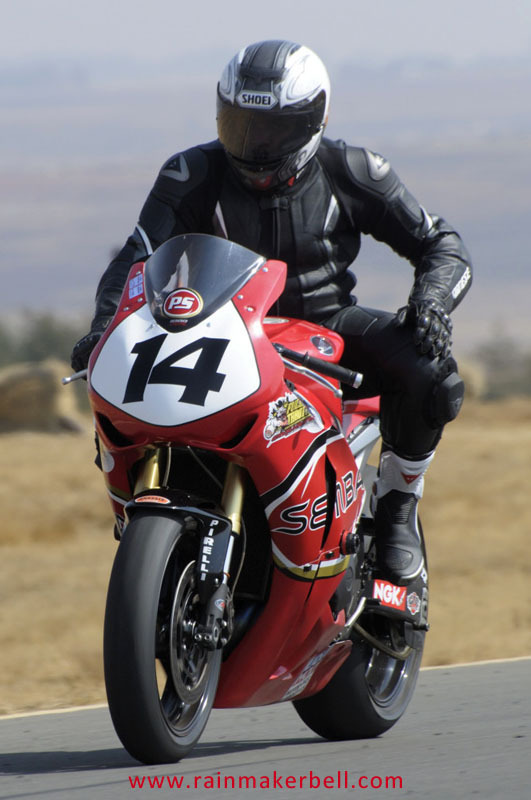 ‘Don’t worry, introducing the new...’ Oops! 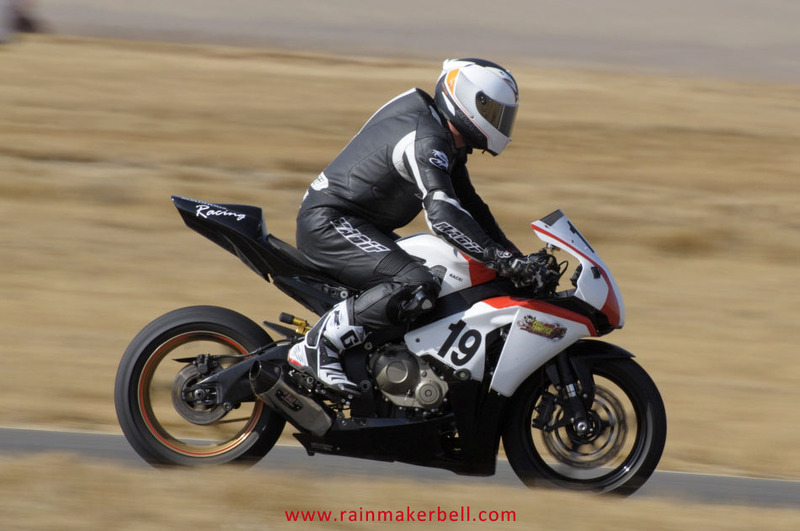 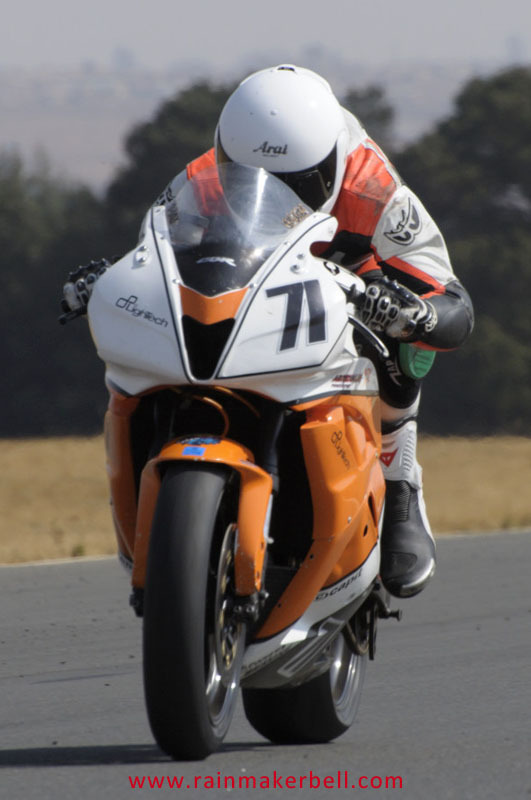 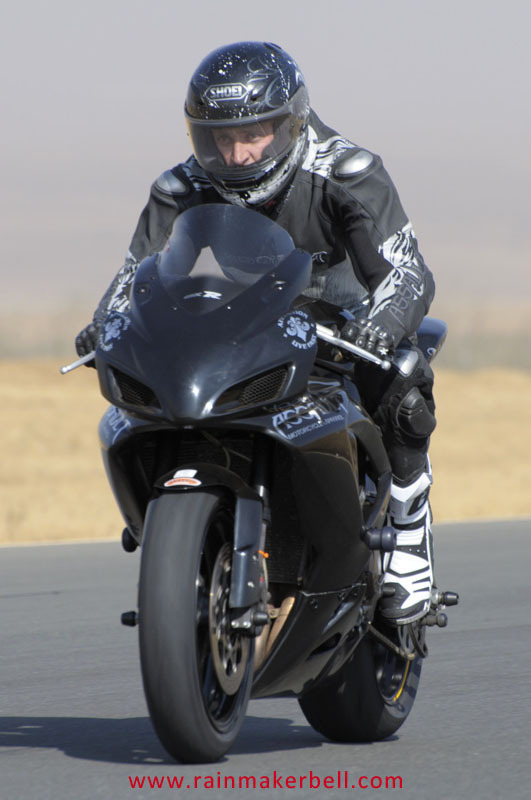 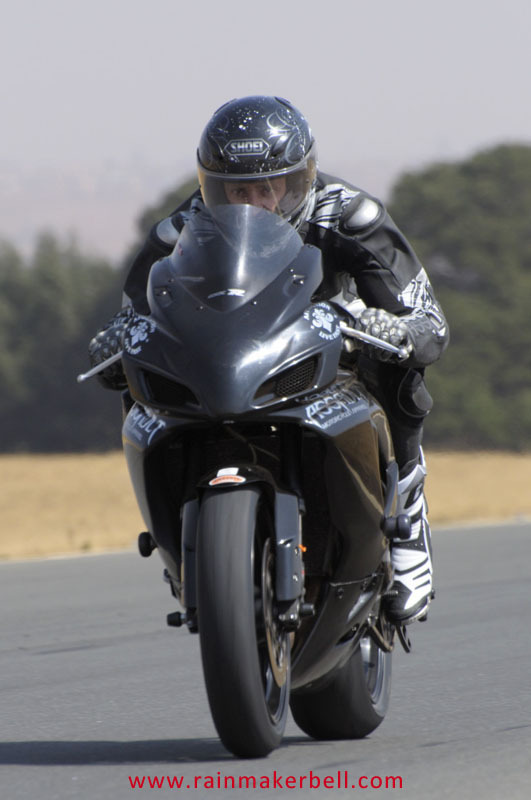 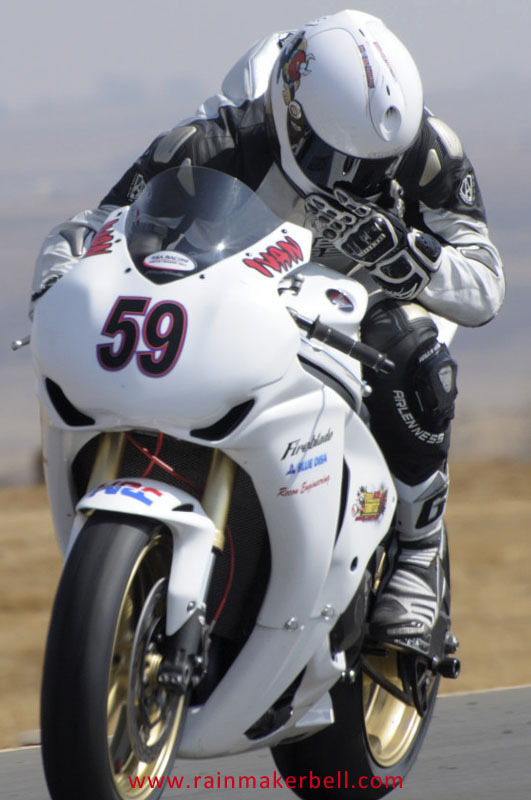 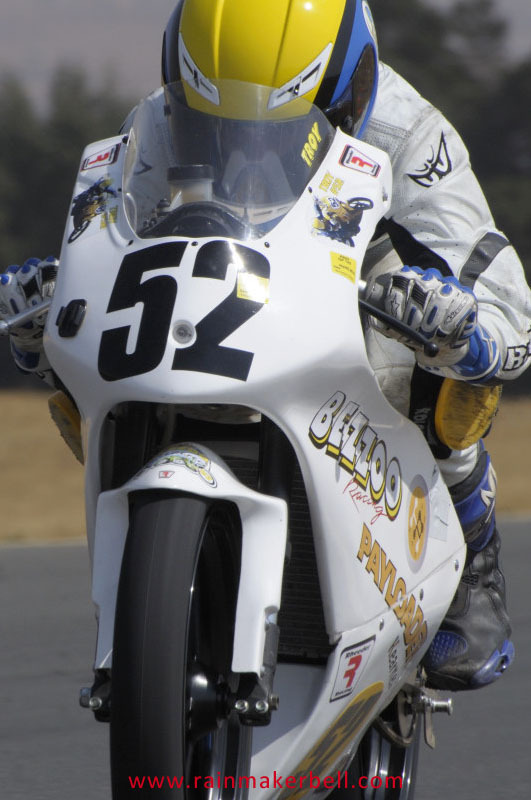 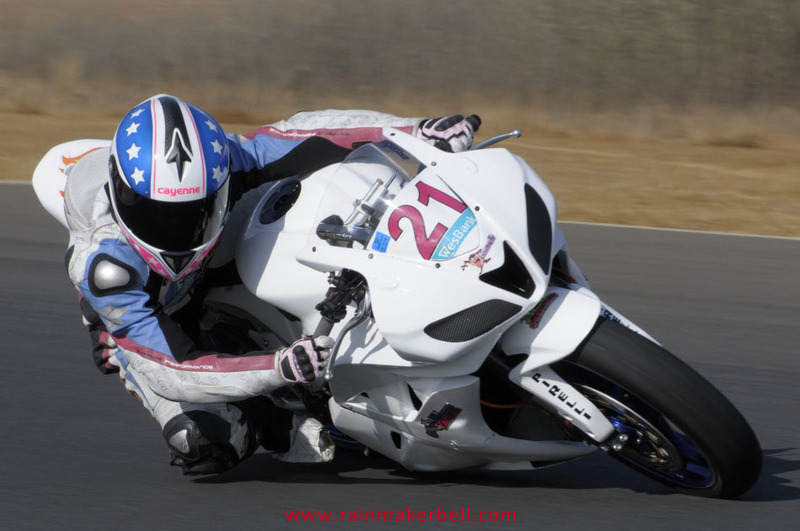 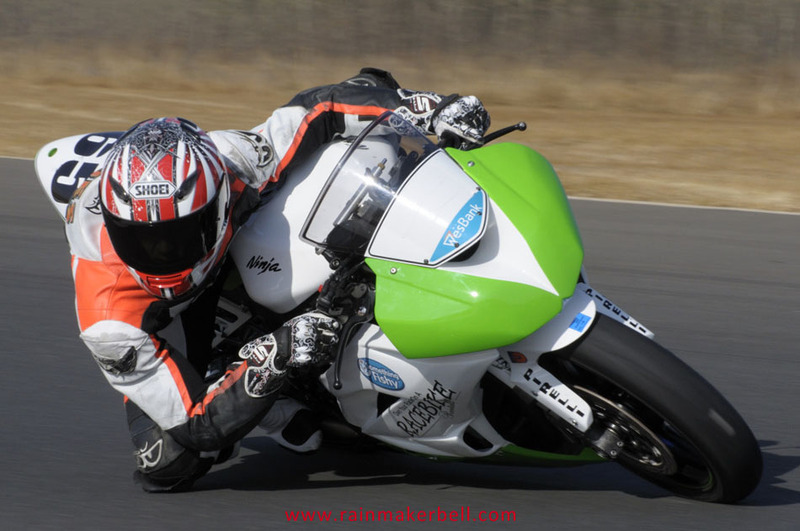 Practice Friday comprised of four motorcycle practice sessions. 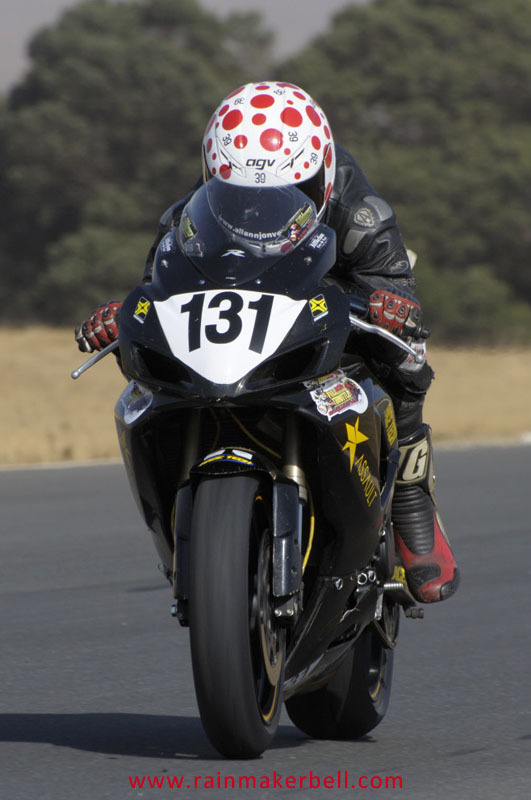 The mix provided entertainment for all ages. 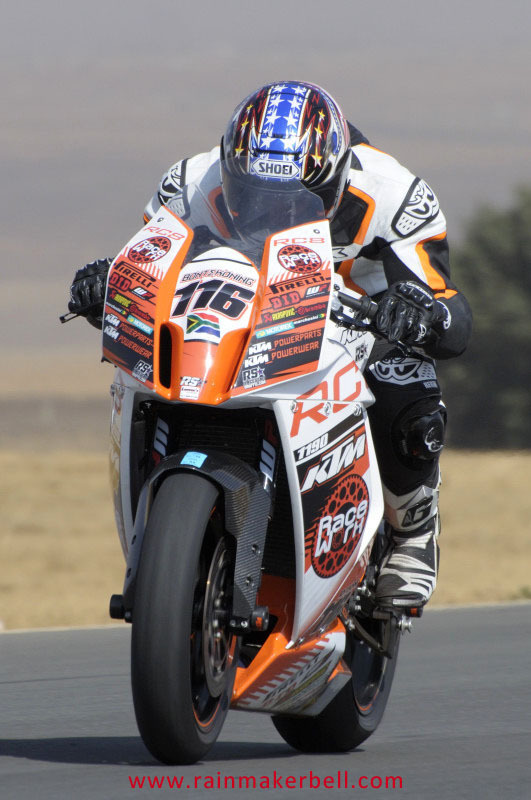 From the very young on their Honda NSF 100cc, 150, 250, the Moto3/GP 125, to the ‘older’ and more experienced riders in the Unlimited Superbikes, 600cc Supersport, Formula Xtreme and of course the BOTTS (this class mainly consists of KTM RC8R and Ducati superbikes). 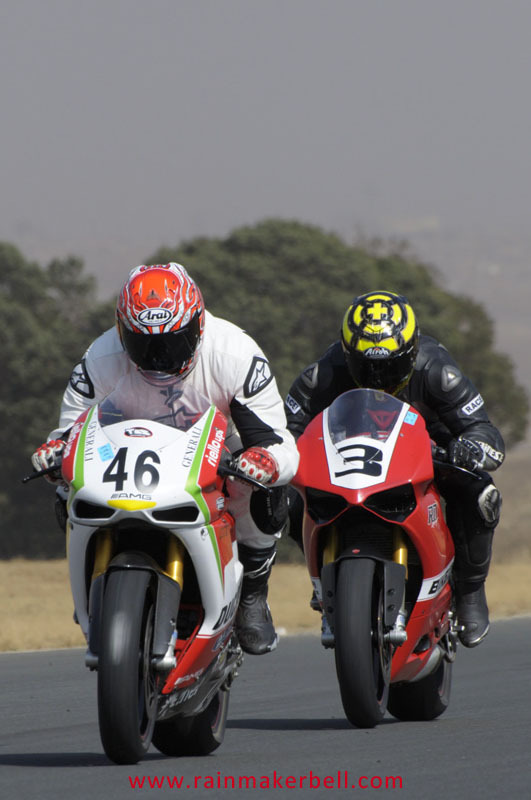 Oh and not to forget the Breakfast Run crowd who seemed a bit depleted compared to previous races. 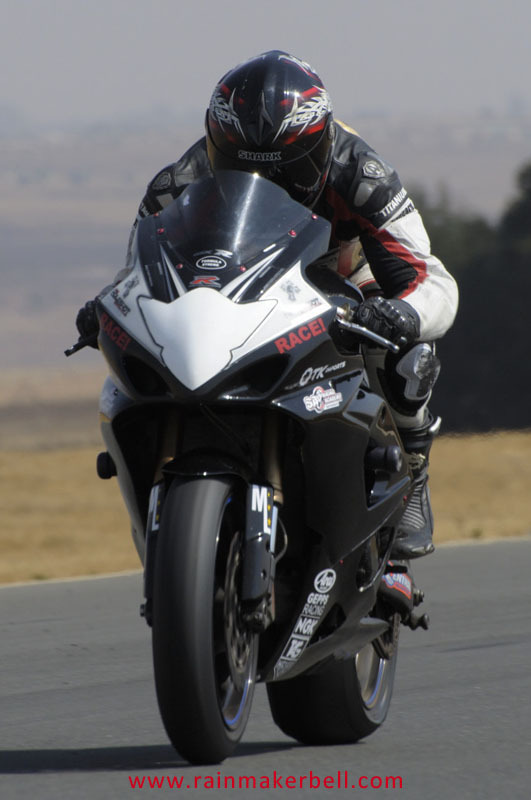 On the farthest end of the Red Star motorcycle circuit I set up basecamp. 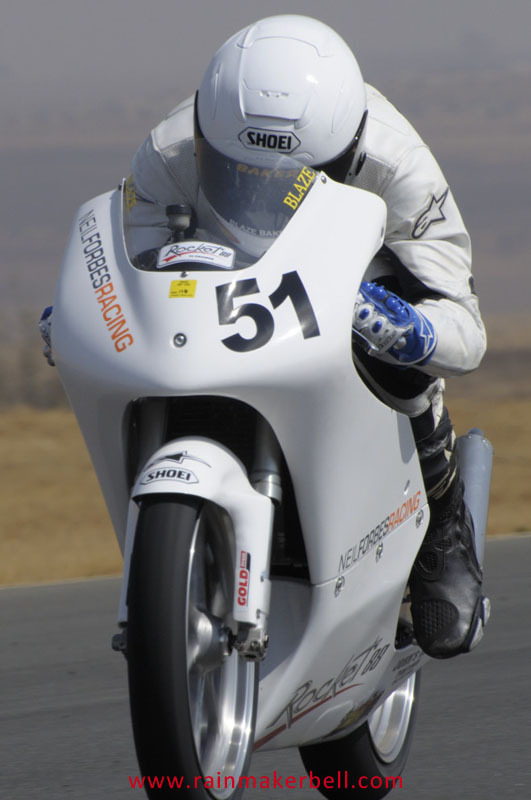 Chair, umbrella and my Nikon gear (most probably the best seat in the house), ready to tackle—with my camera that is—whatever comes down either of the two fastest straights in this part of the world. 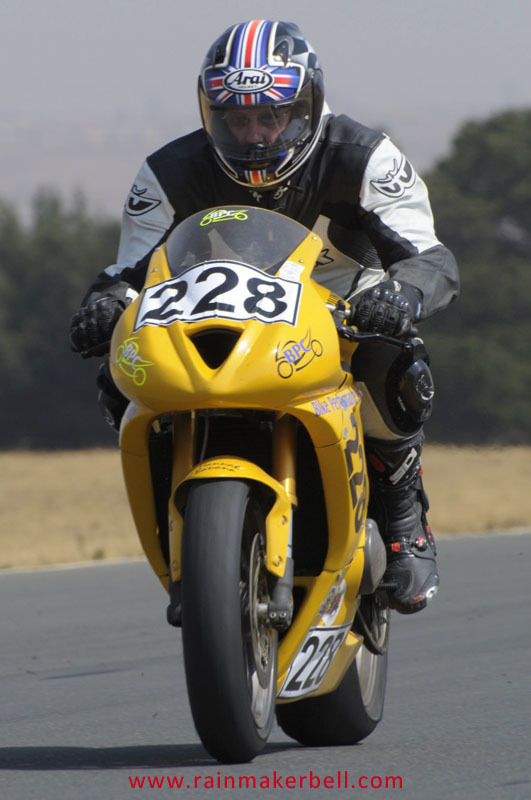 For those who never had the opportunity to visit the Red Star racetrack, it is worth every penny. 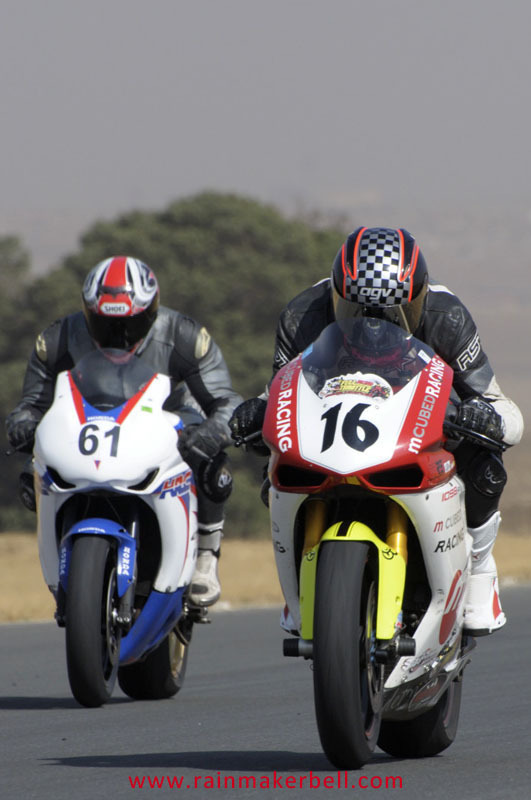 One by one the different motorcycle classes came through (except for the Honda NSF 100, 150 & 250 who utilised the short circuit) brightening up a very windy Friday in the Delmas country side. 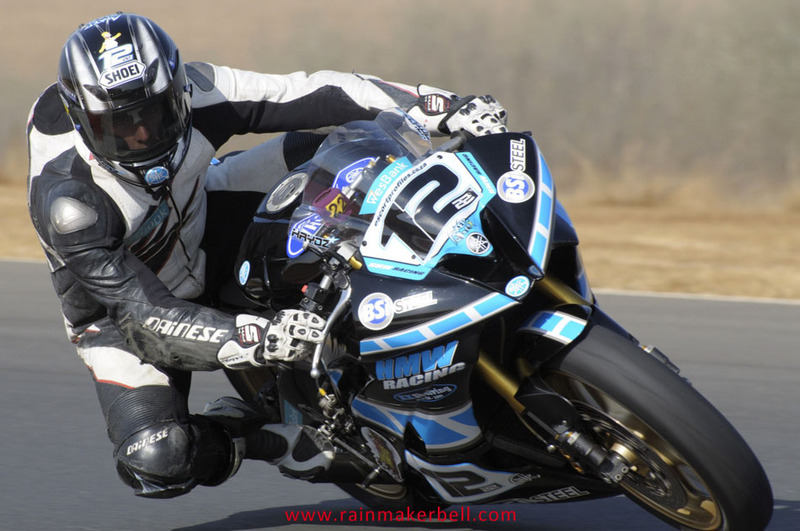 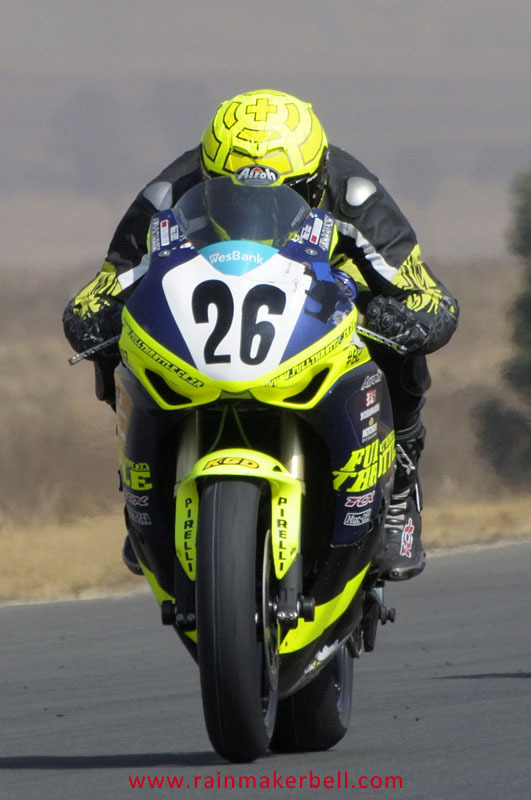 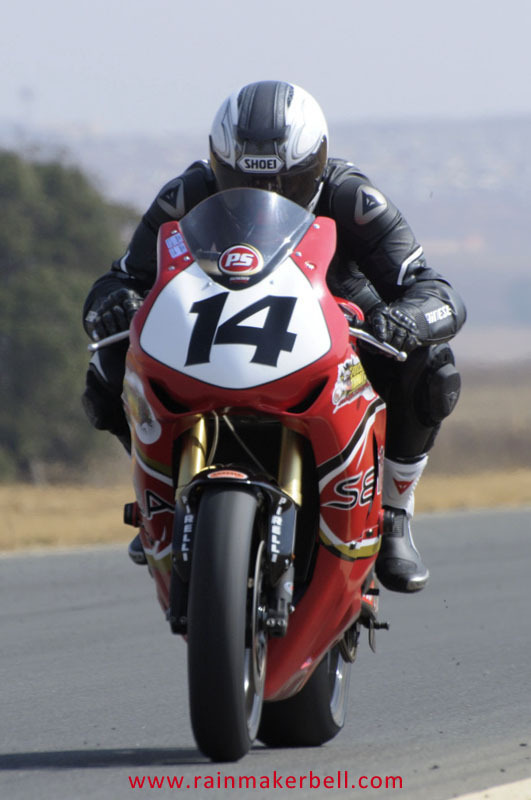 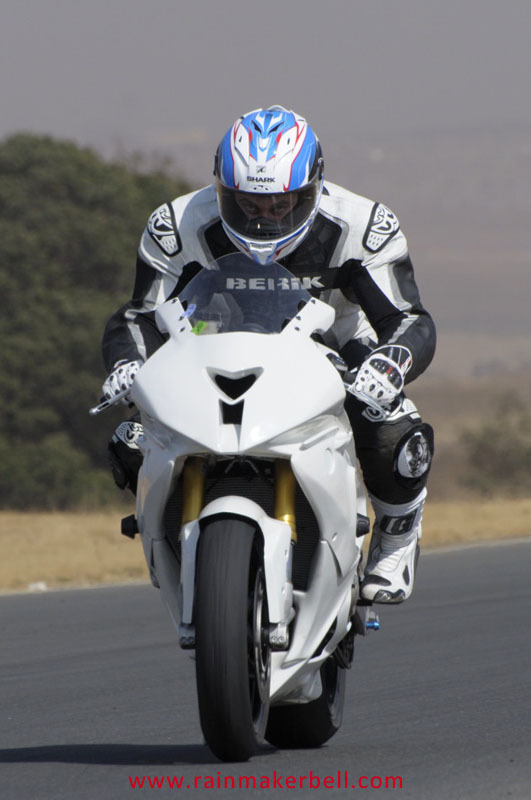 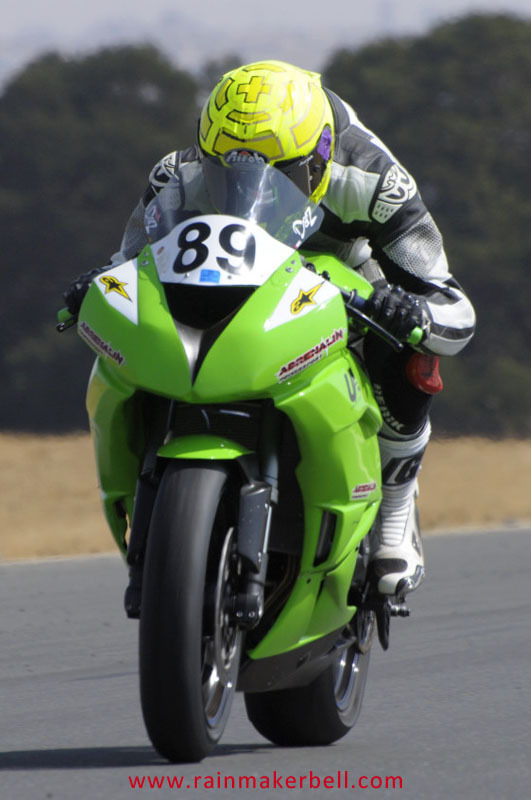 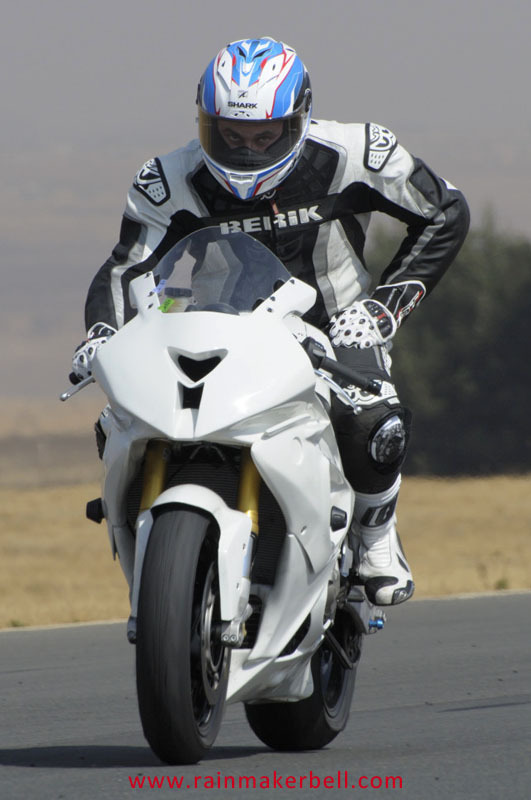 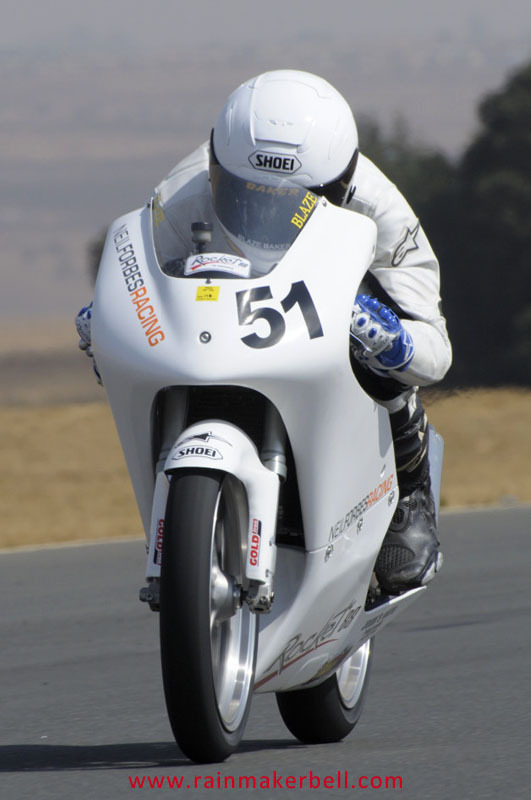 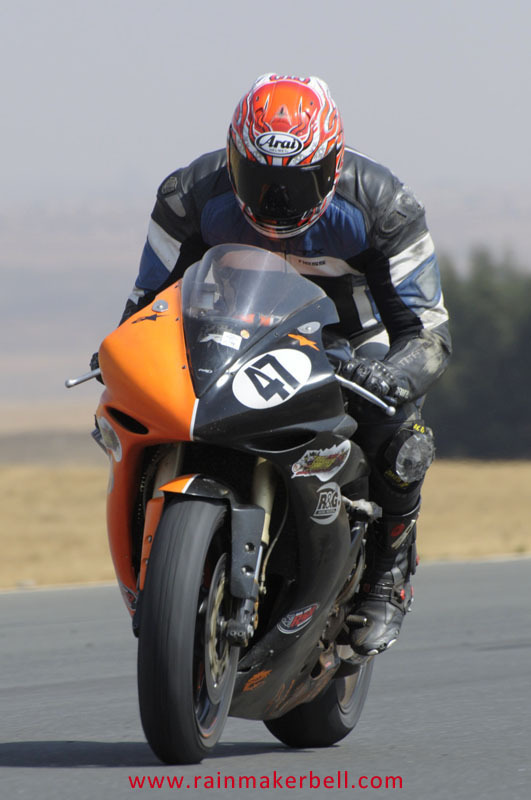 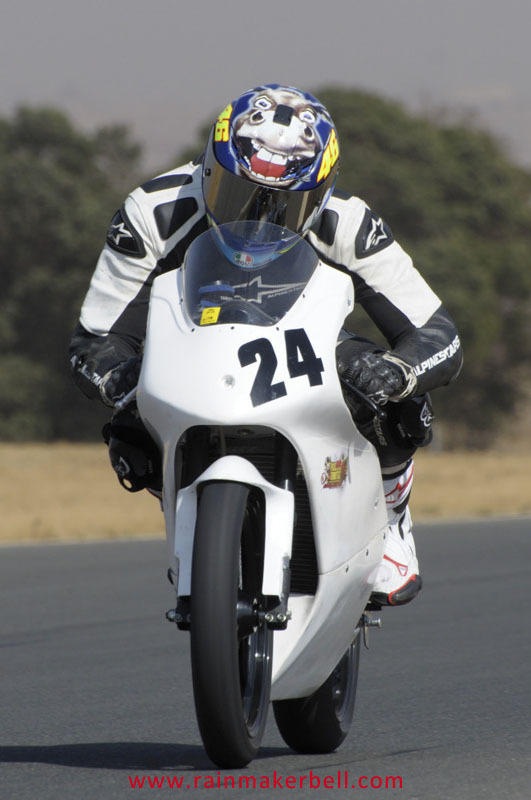 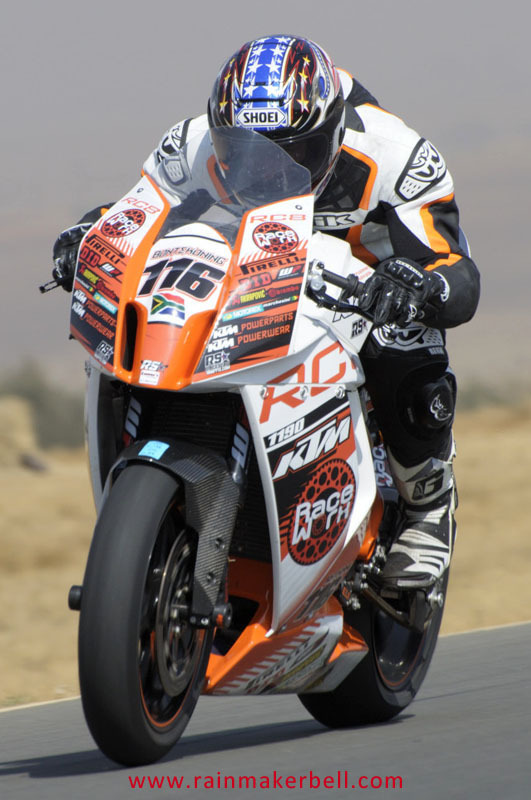 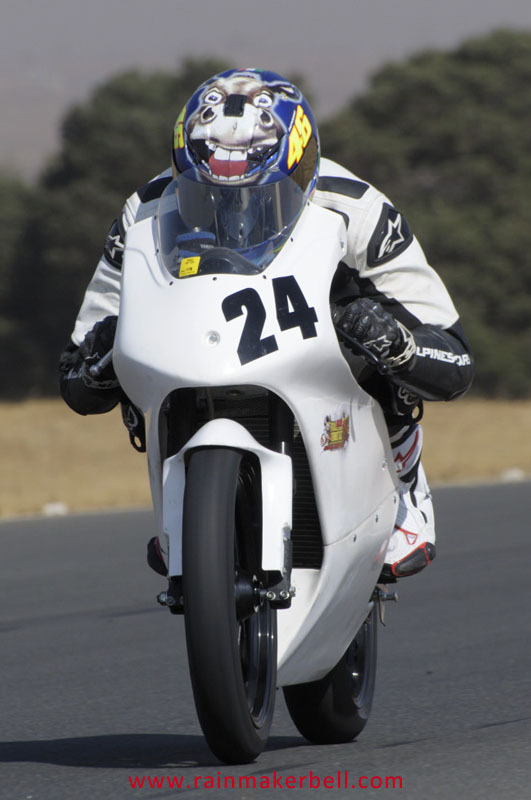 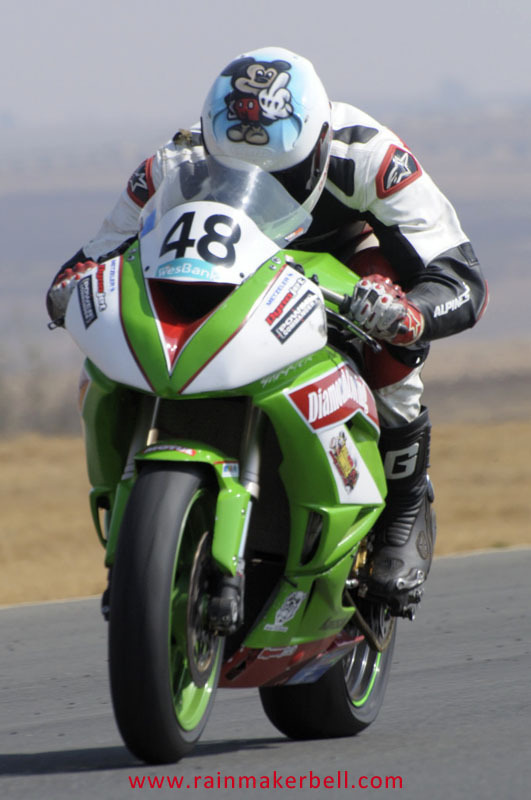 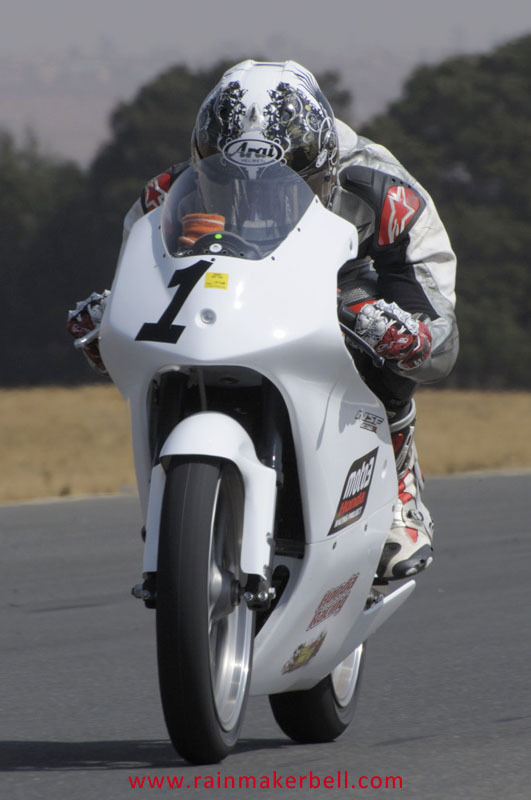 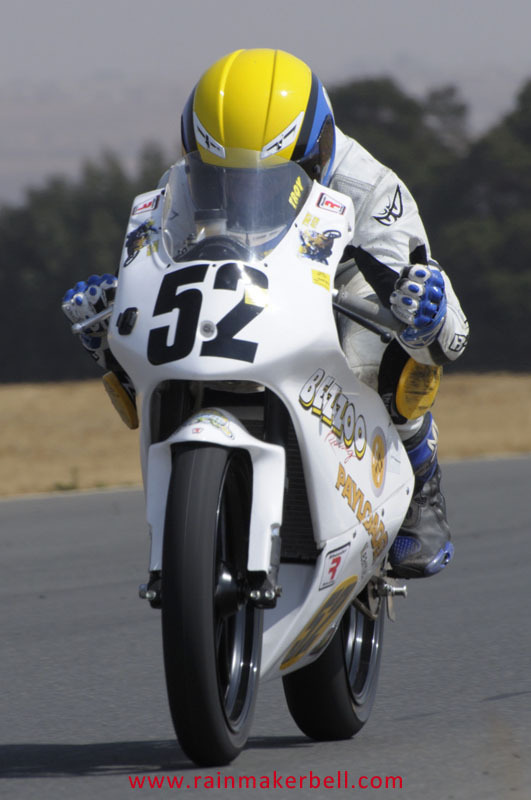 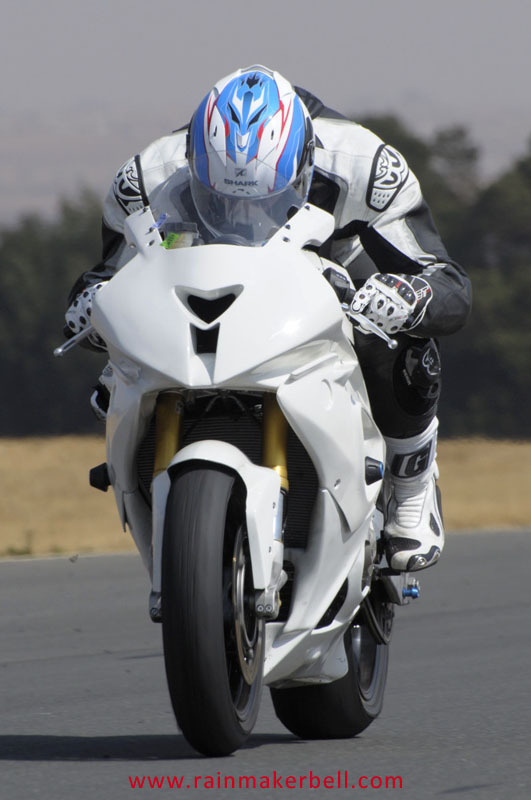 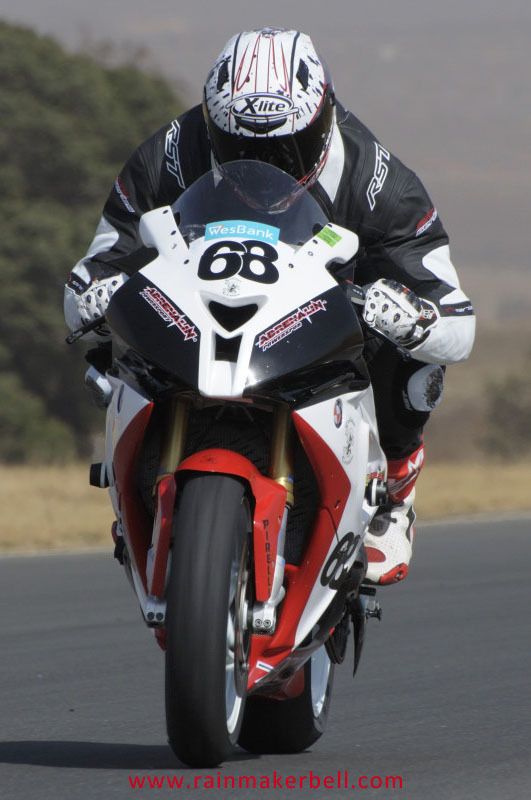 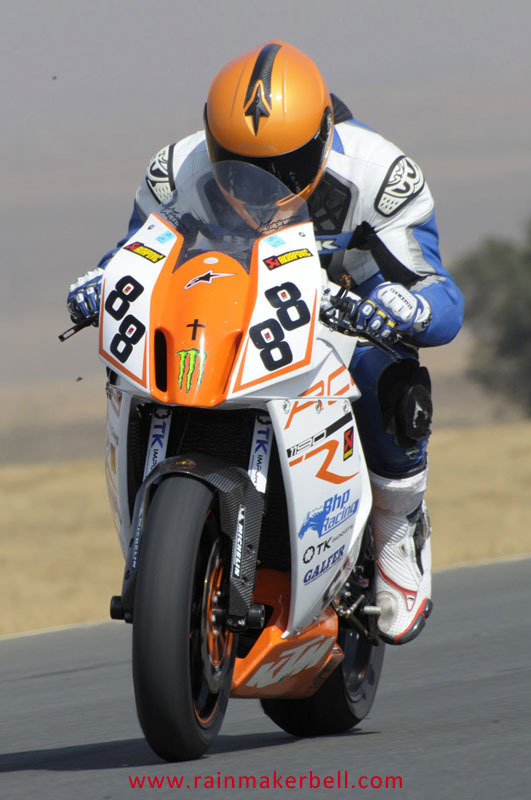 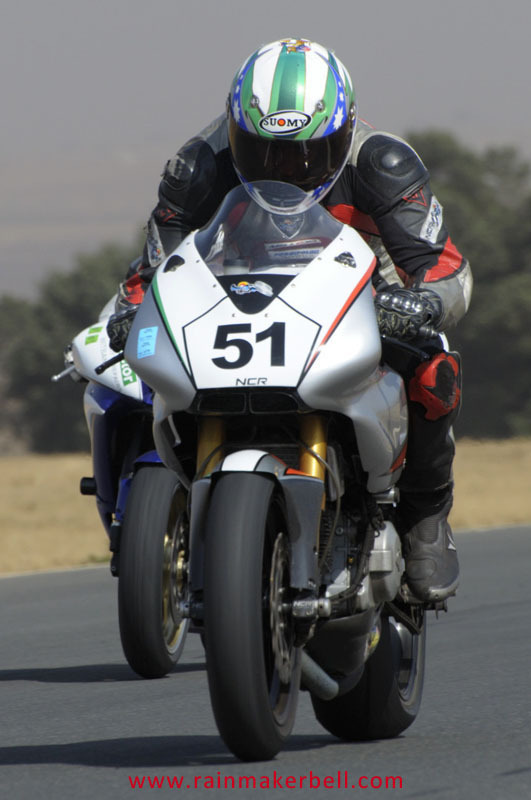 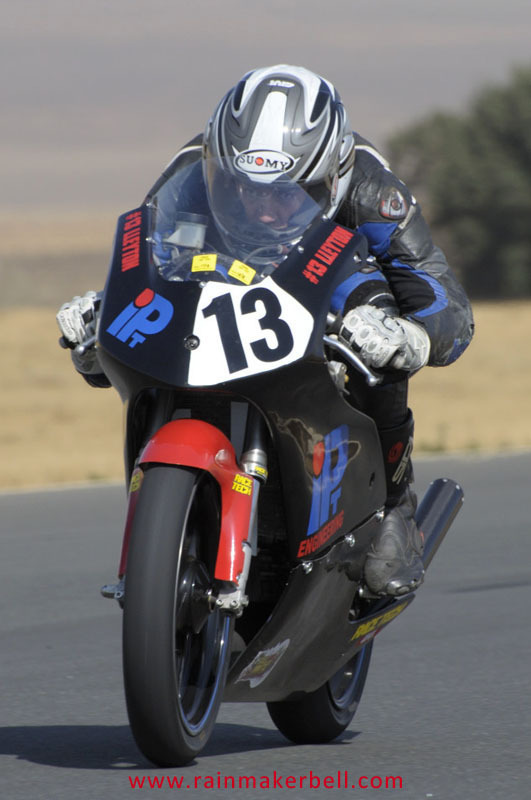 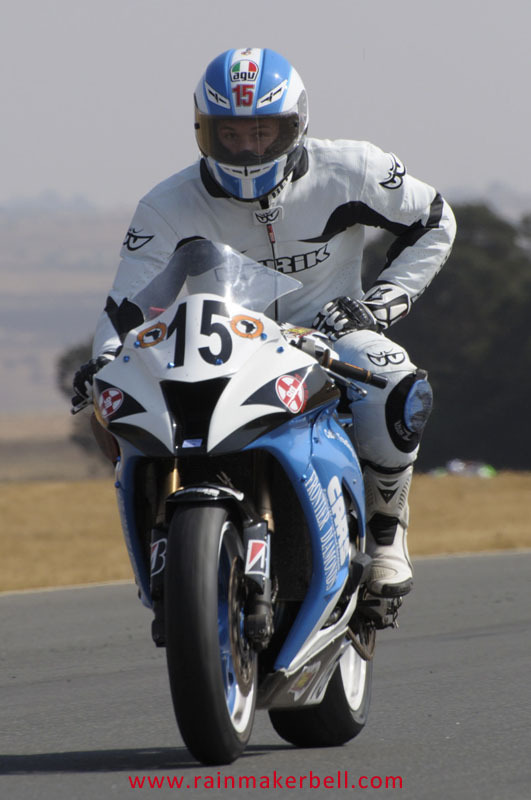 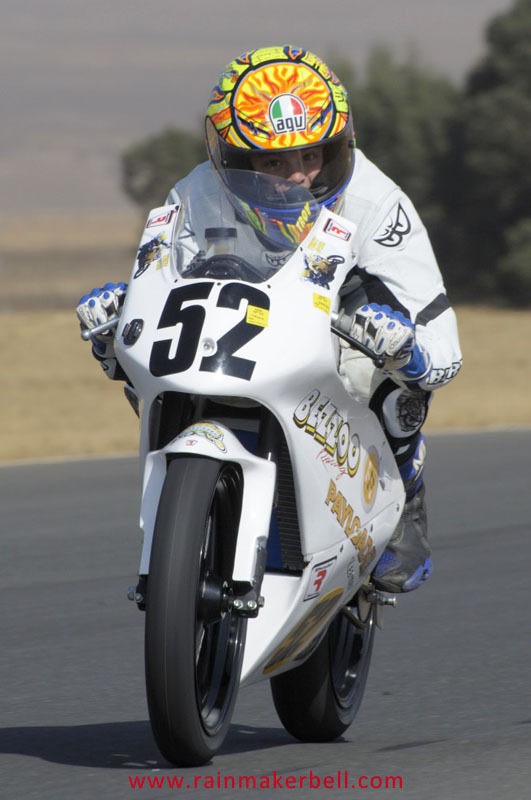 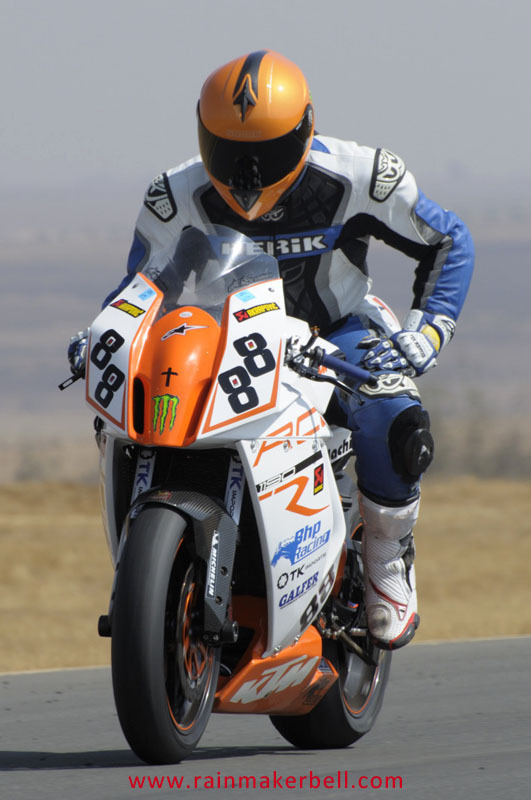 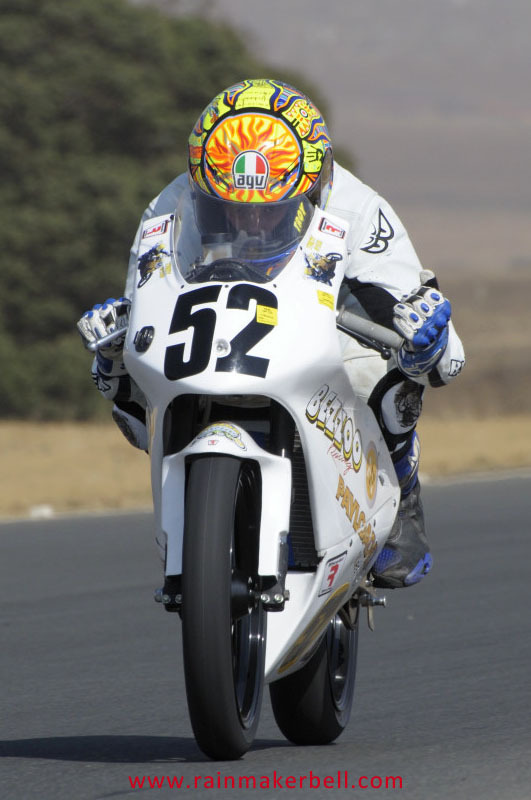 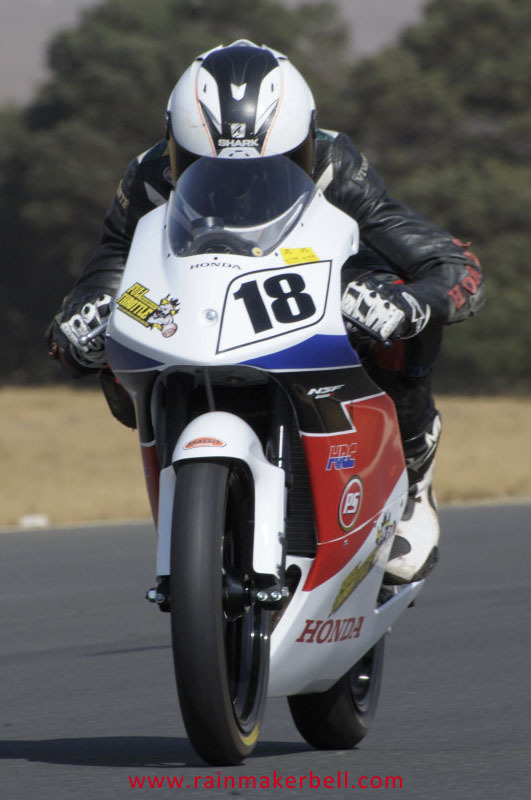 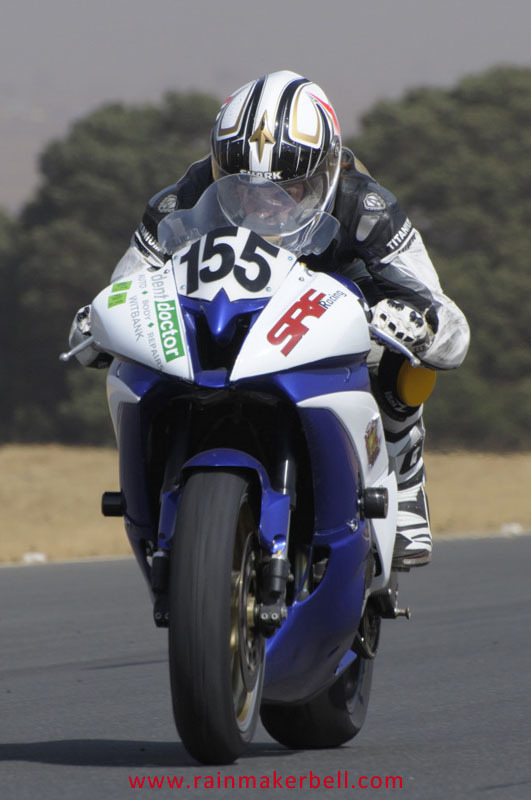 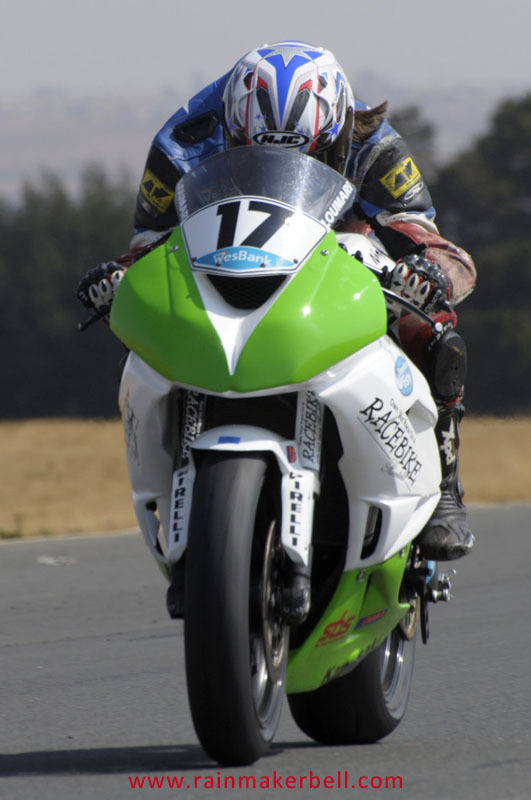 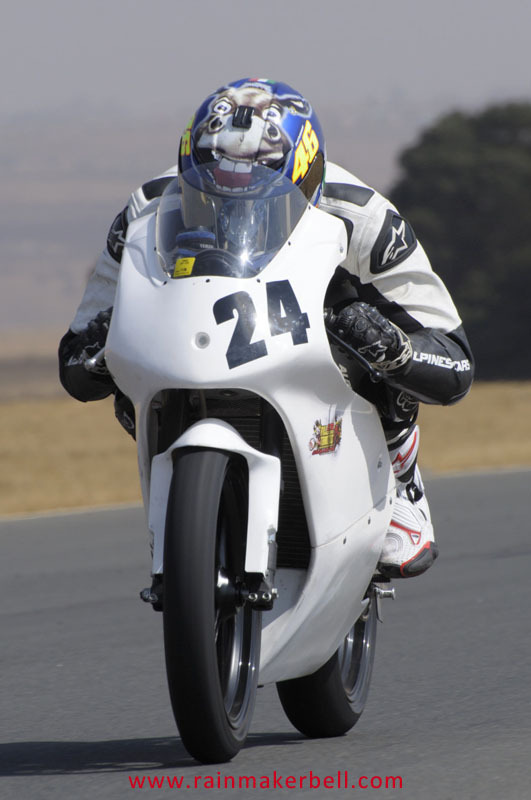 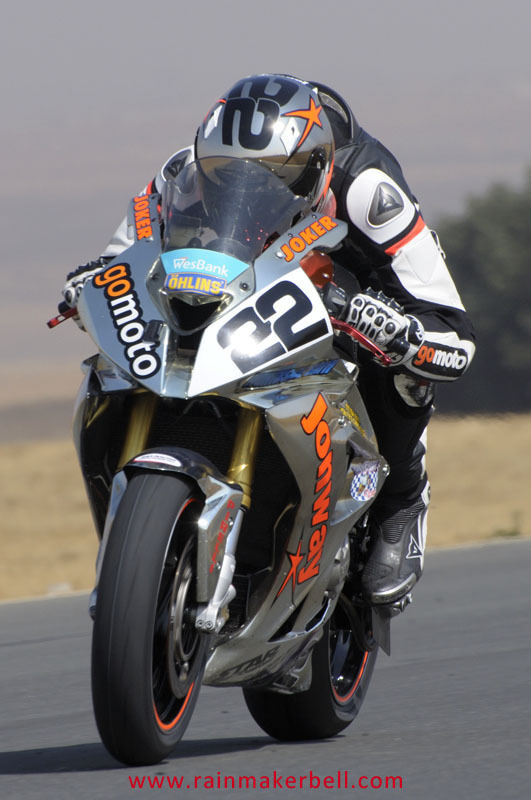 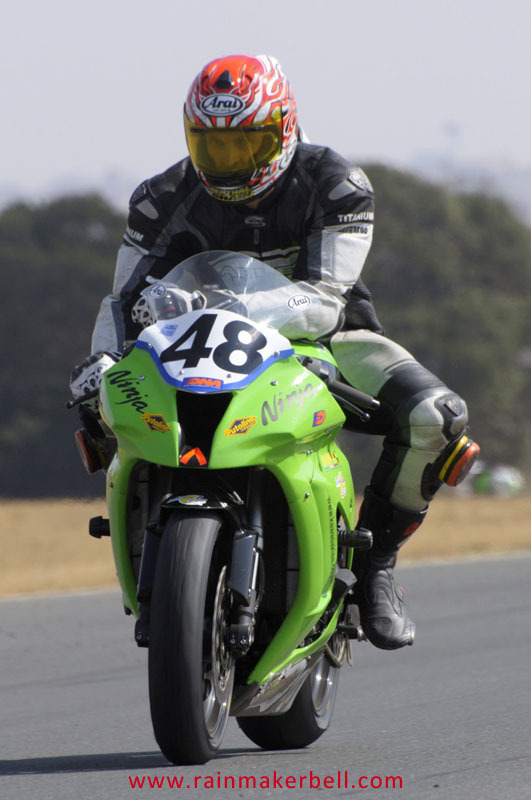 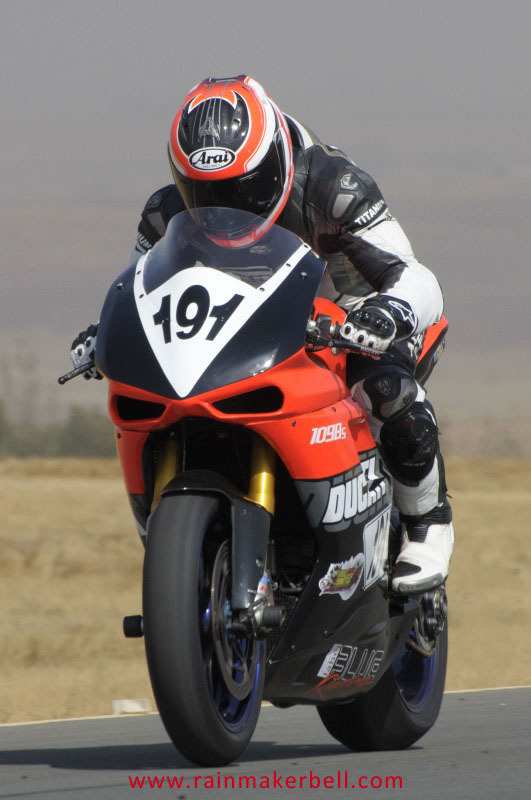 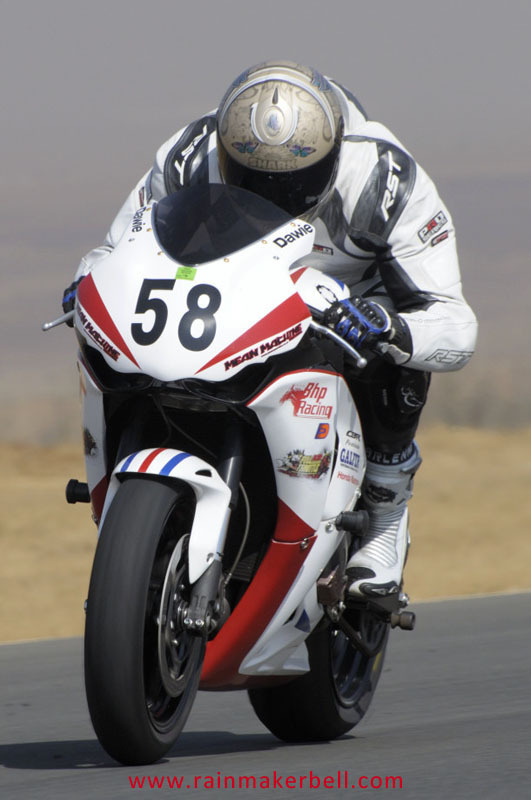 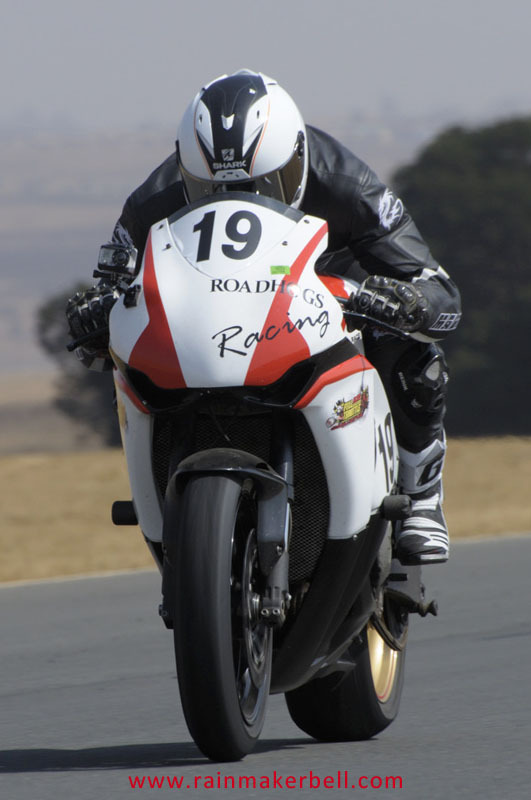 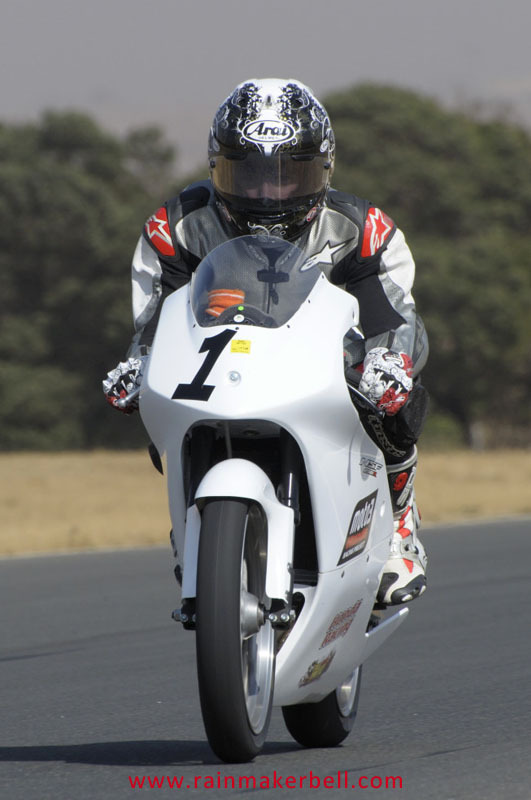 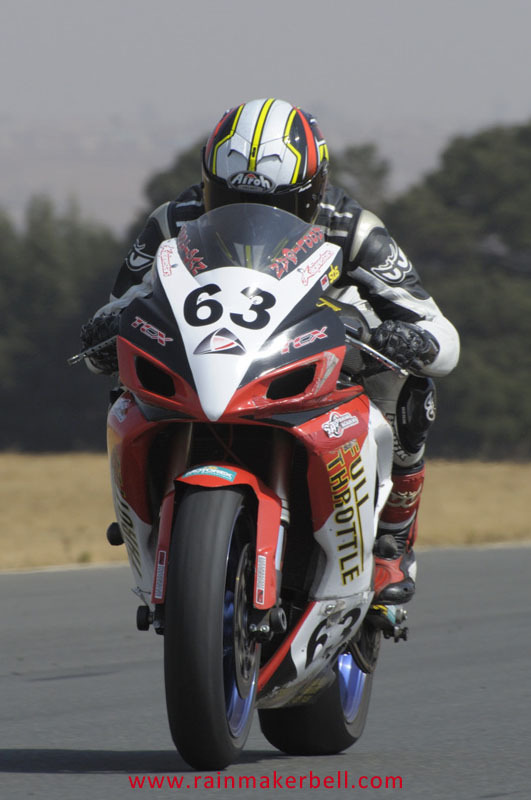 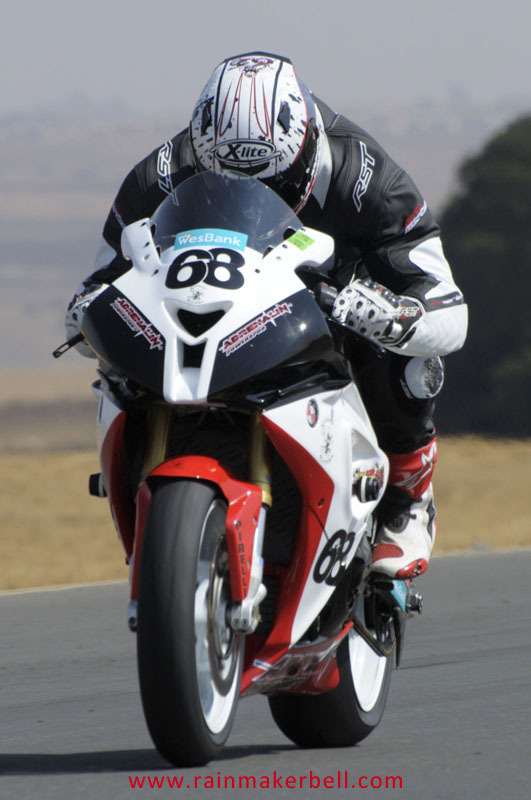 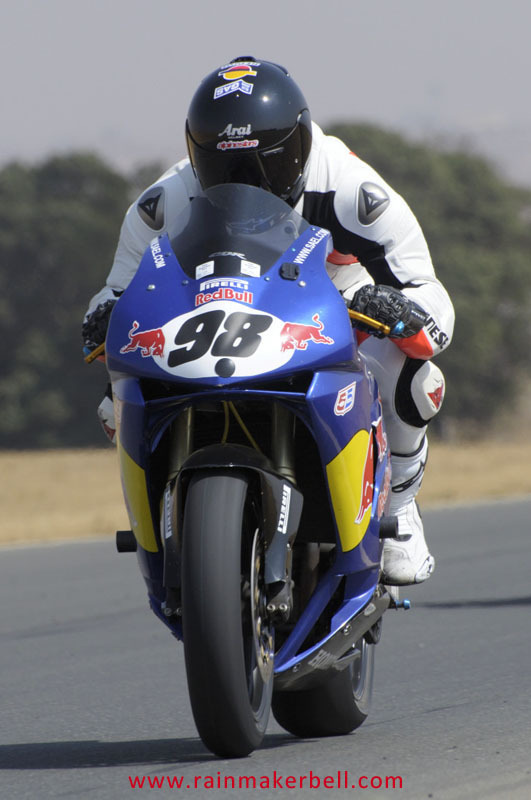 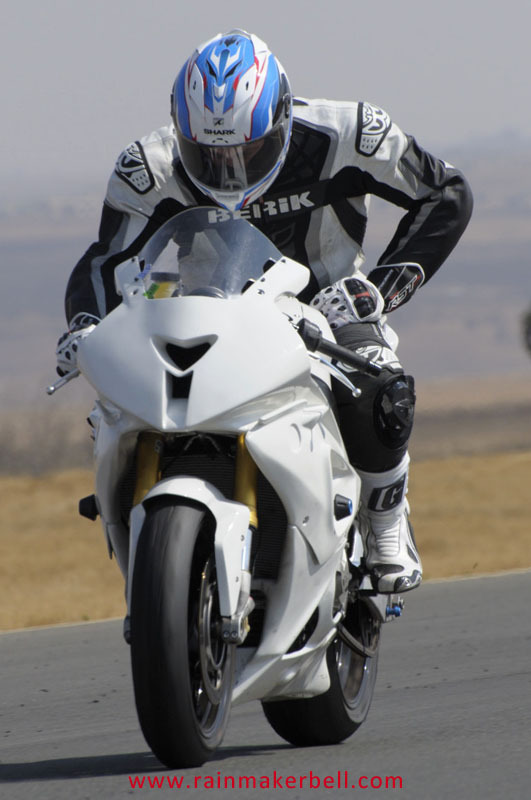 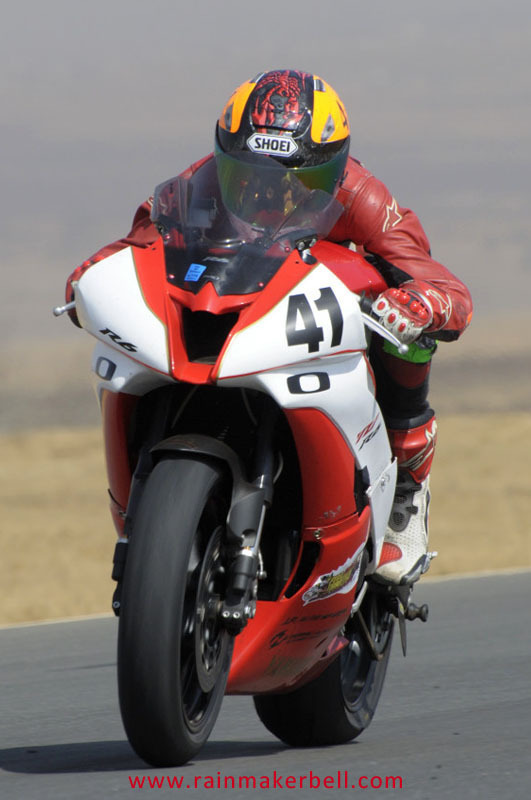 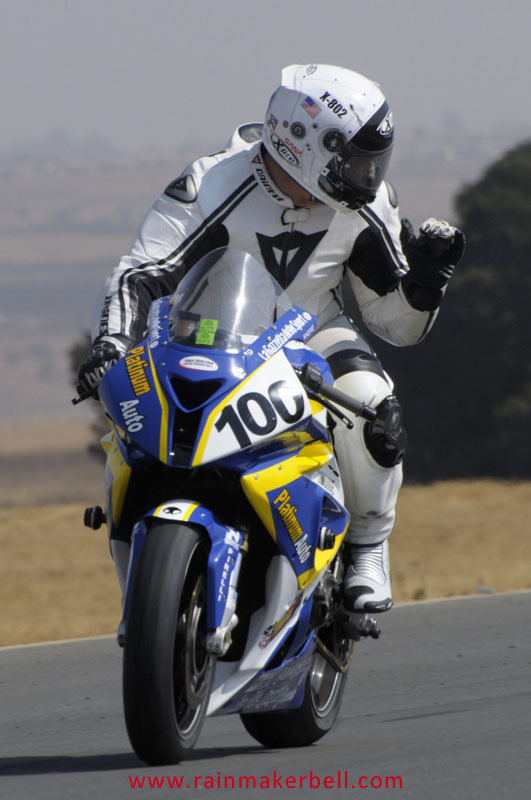 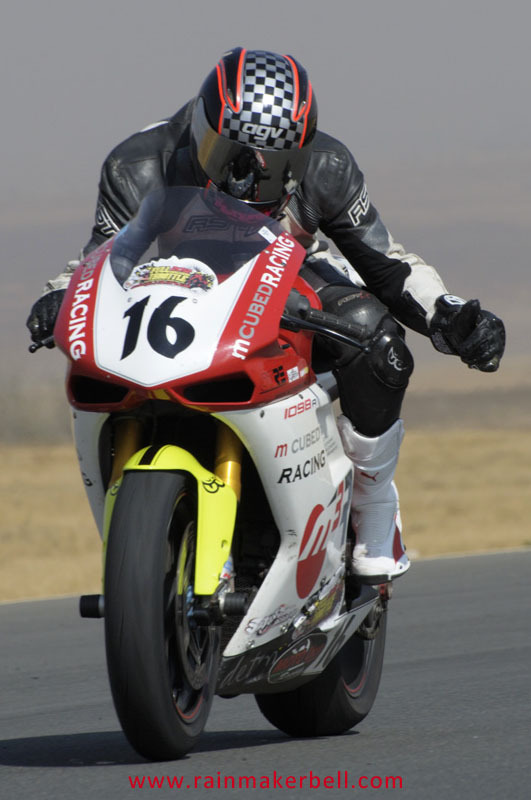 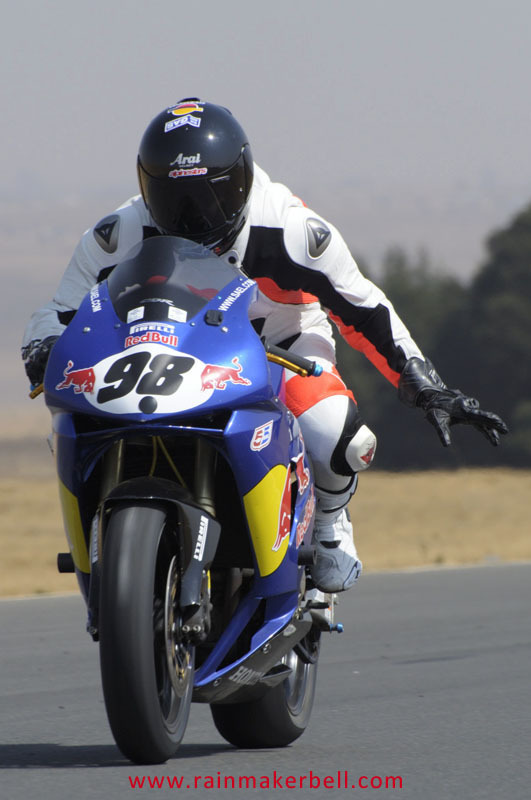 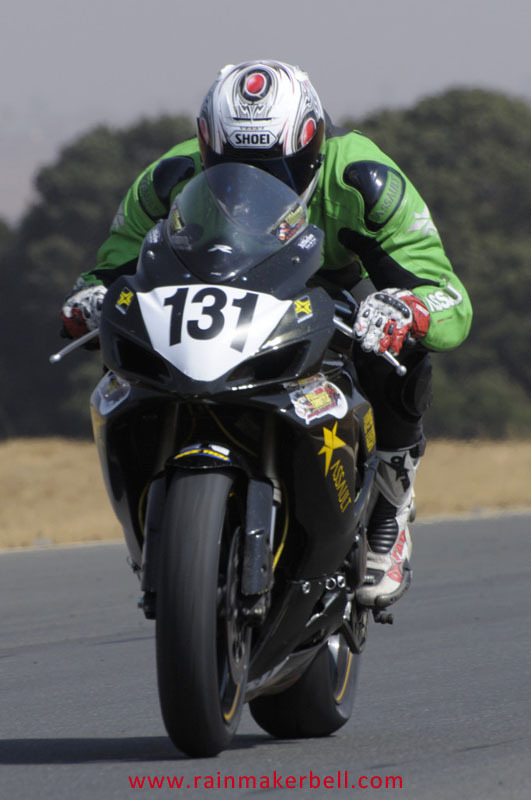 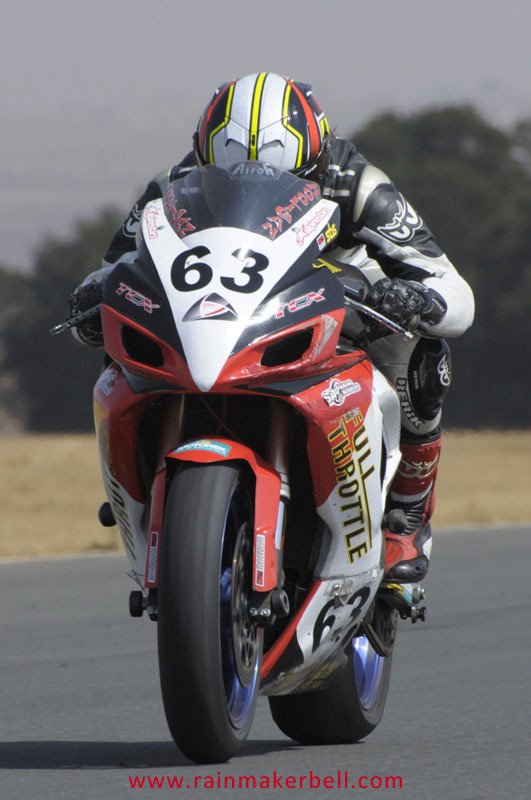 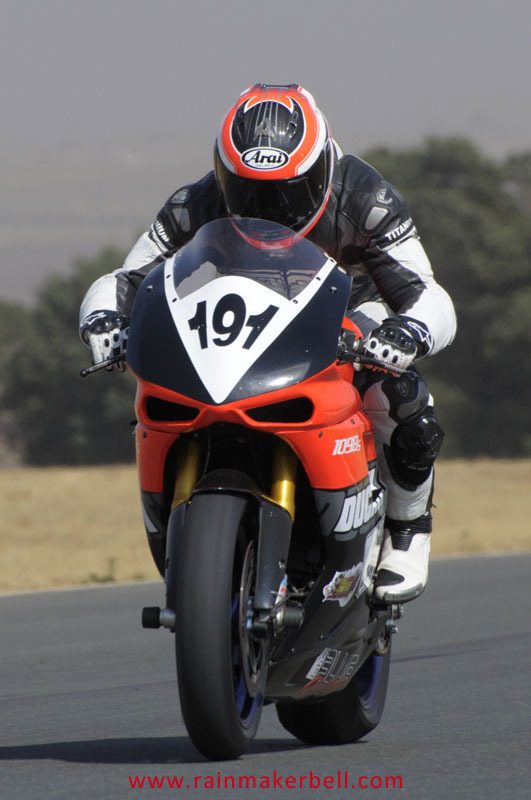 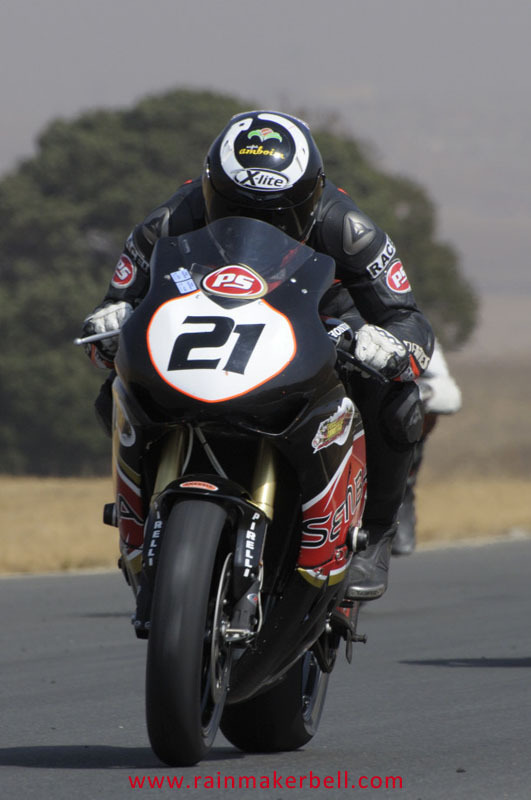 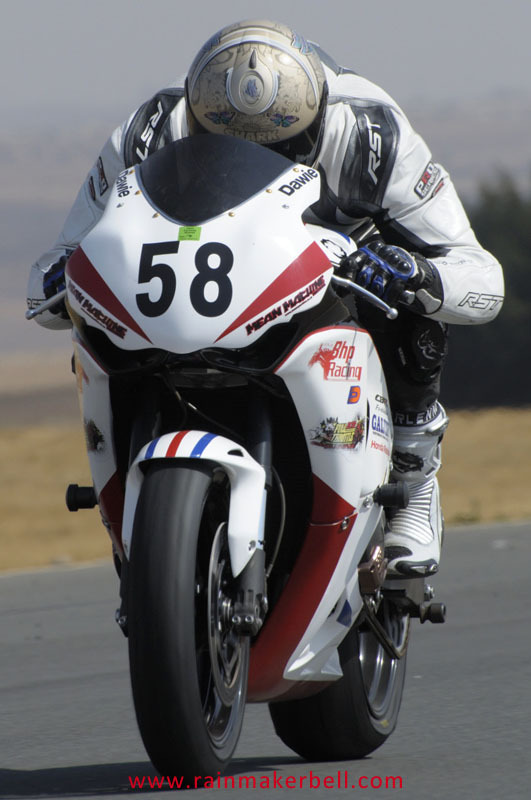 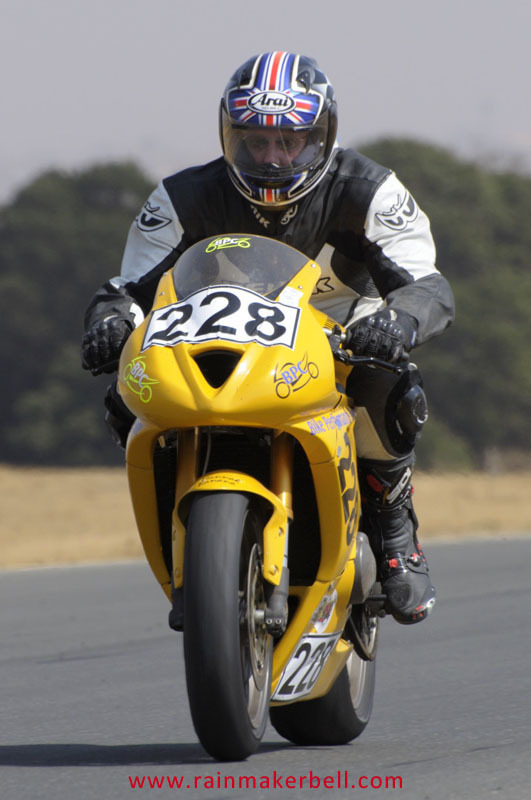 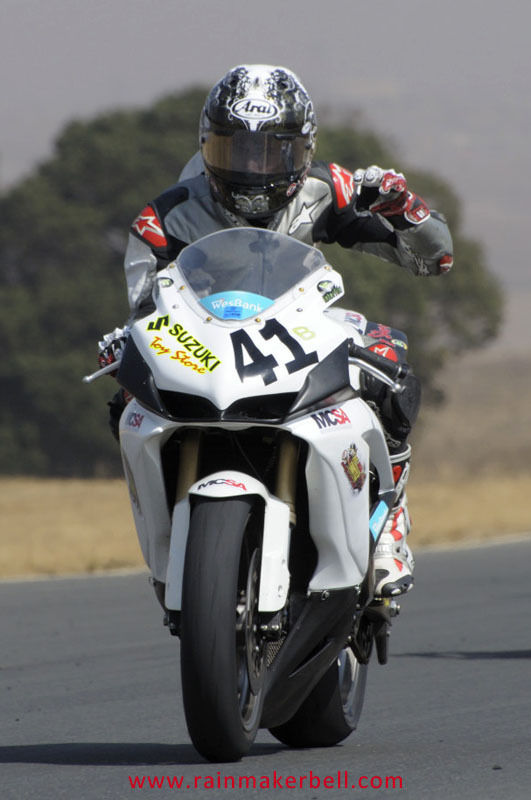 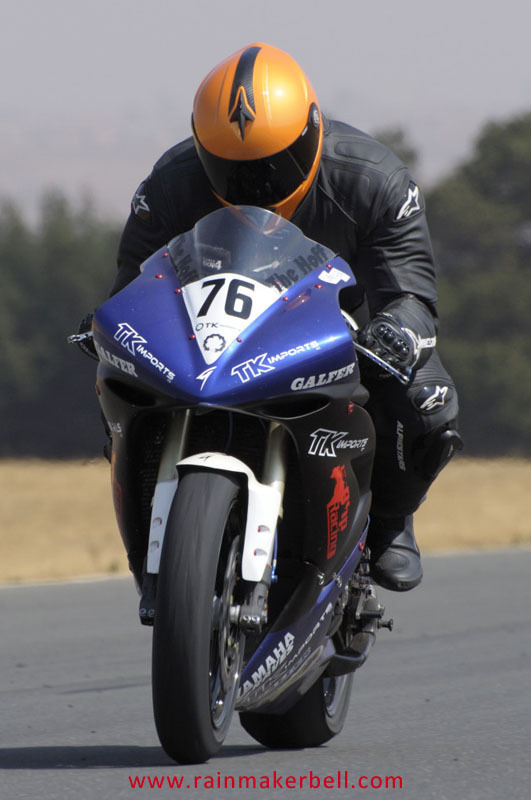 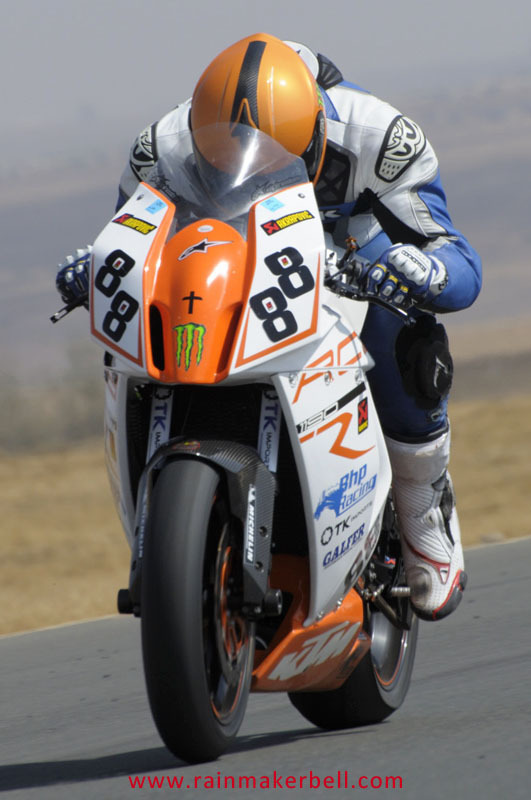 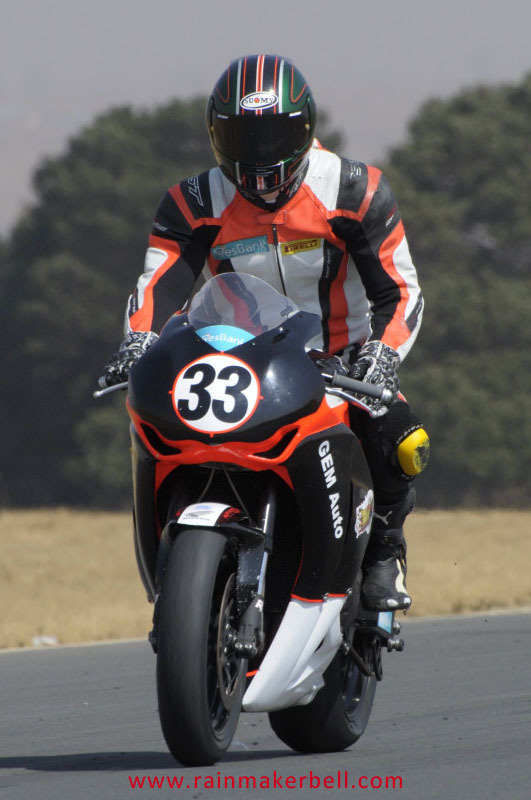 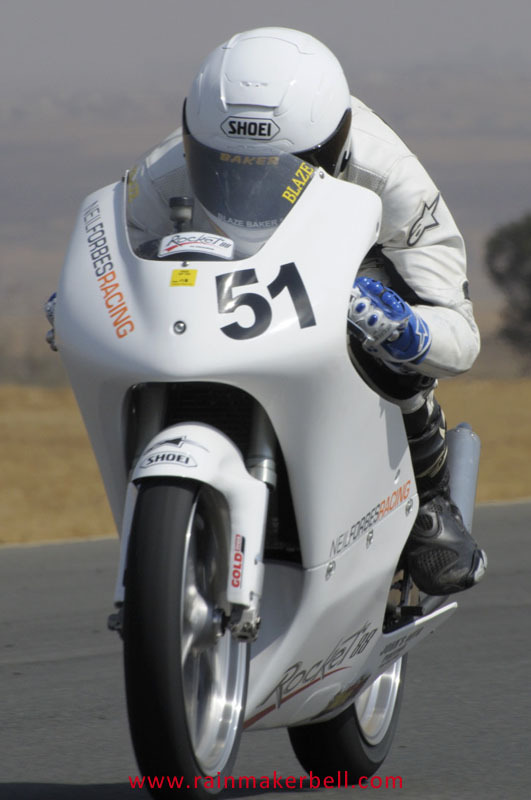 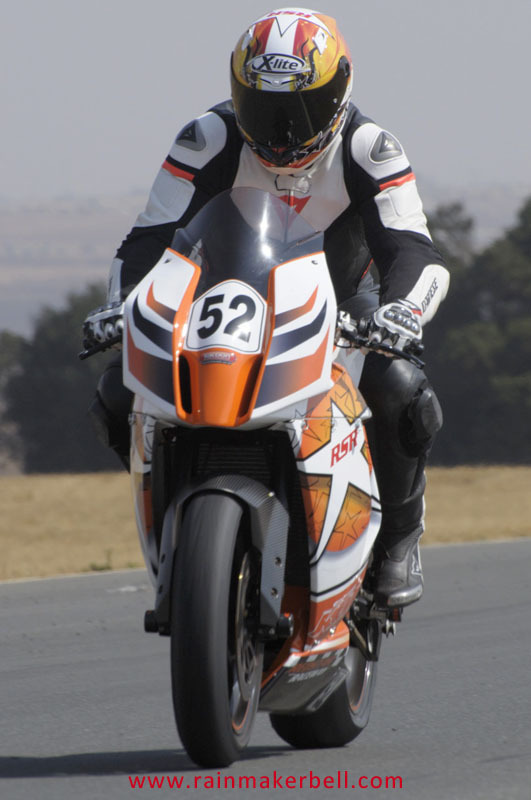 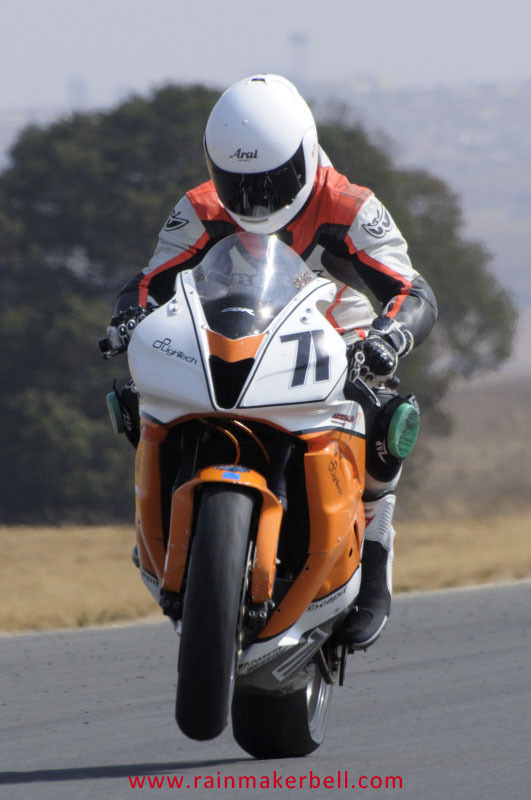 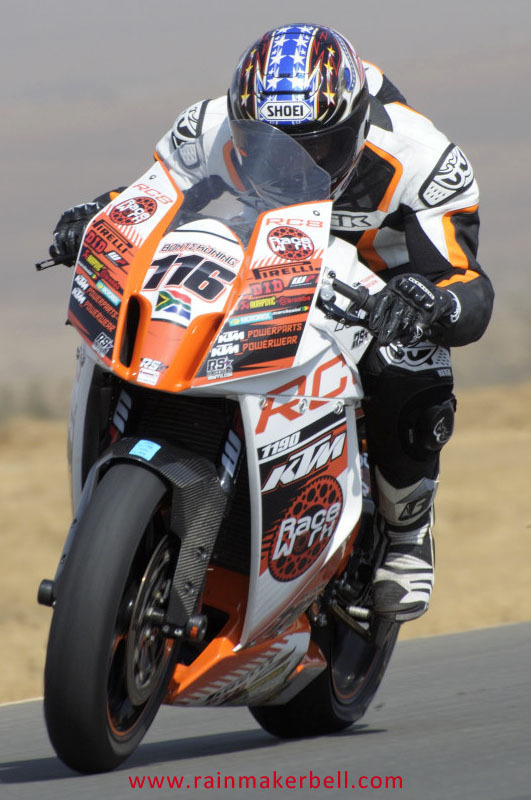 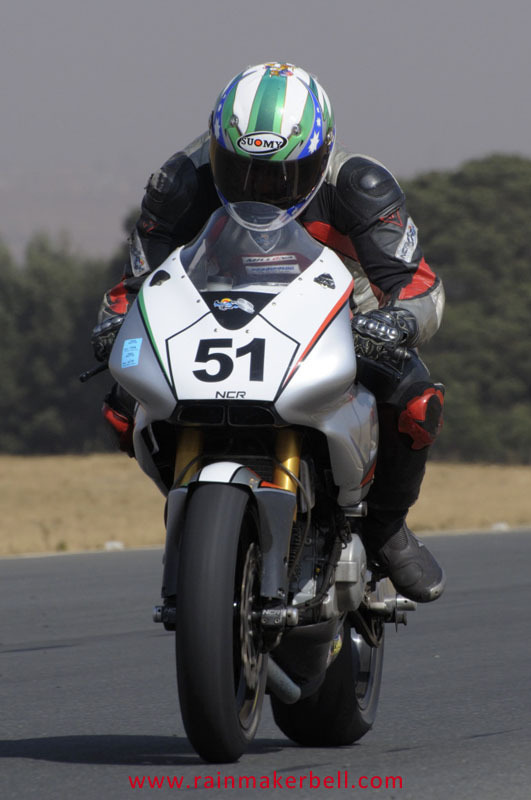 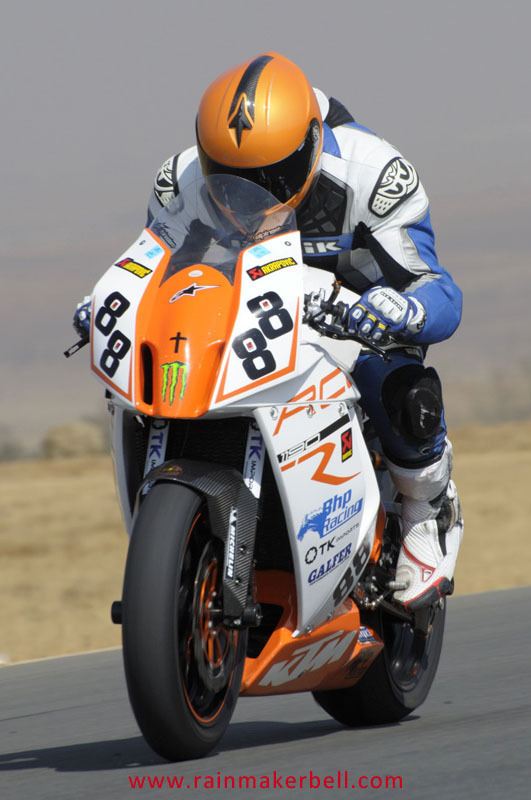 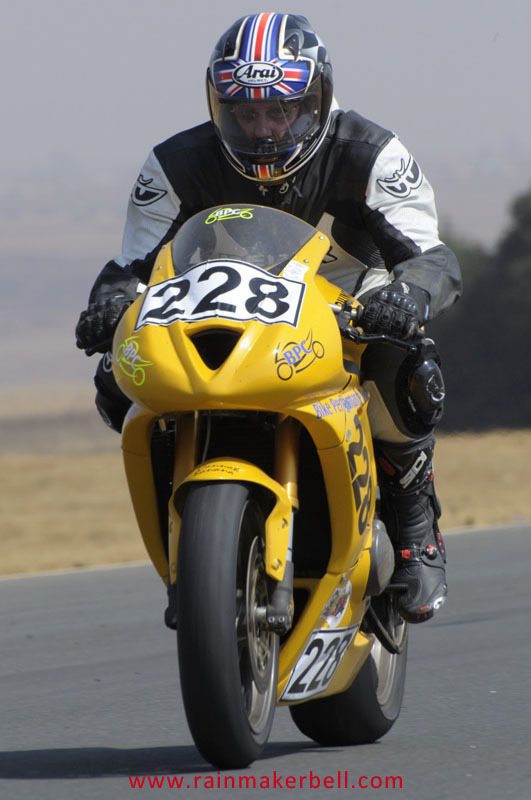 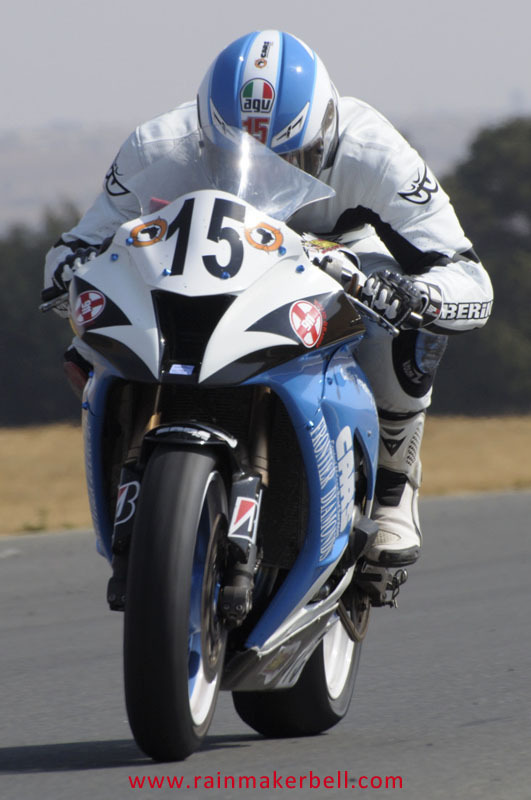 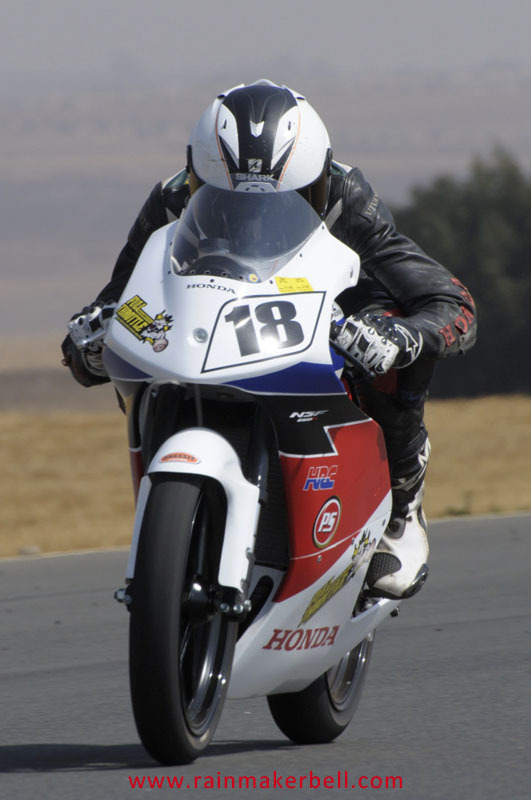 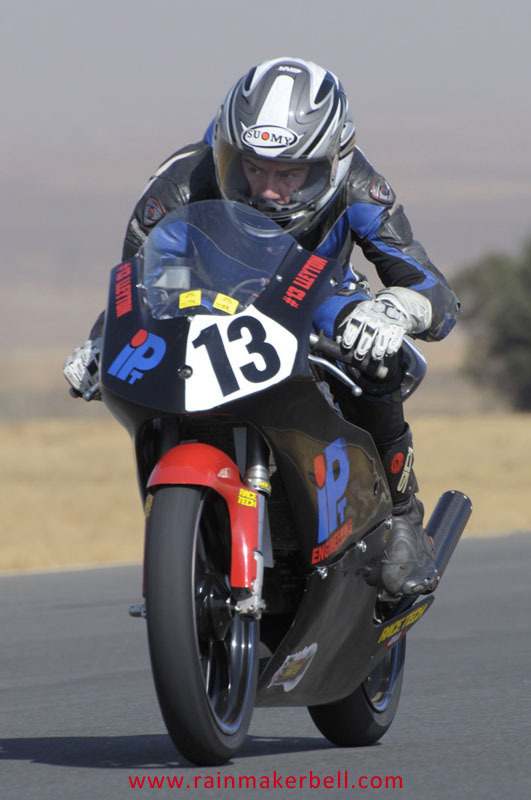 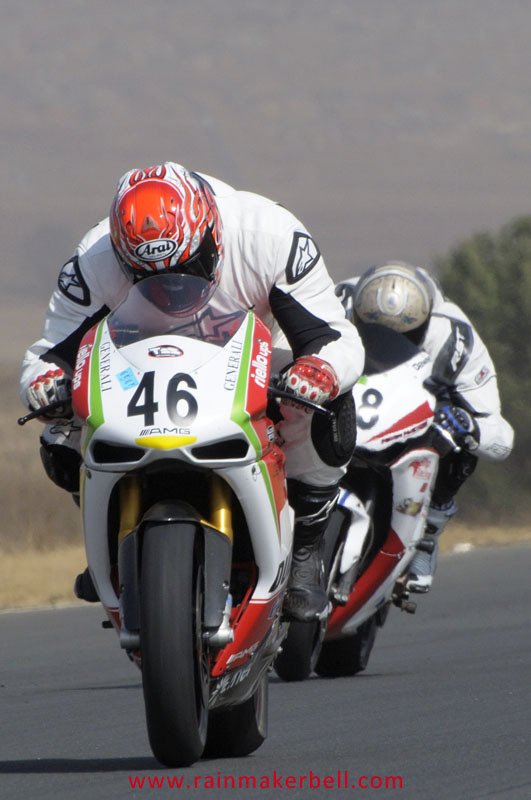 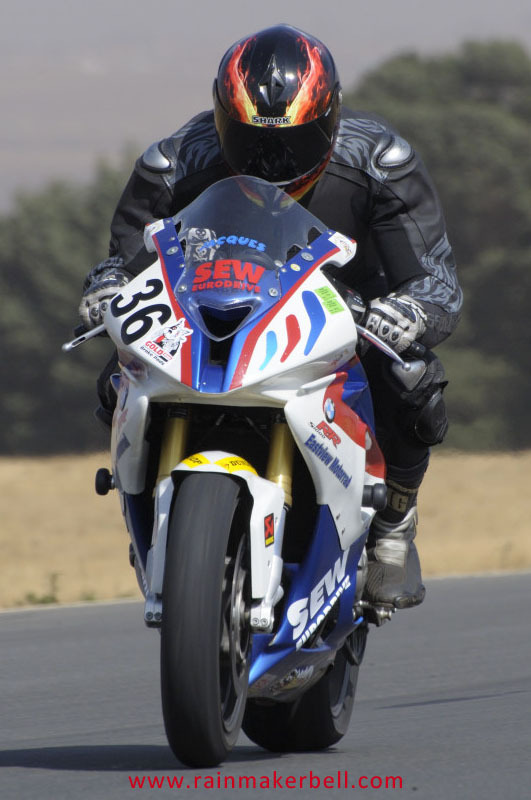 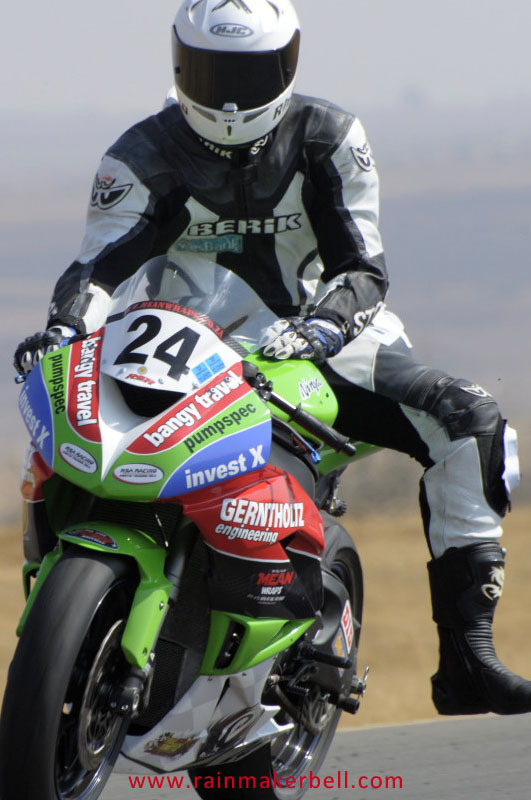 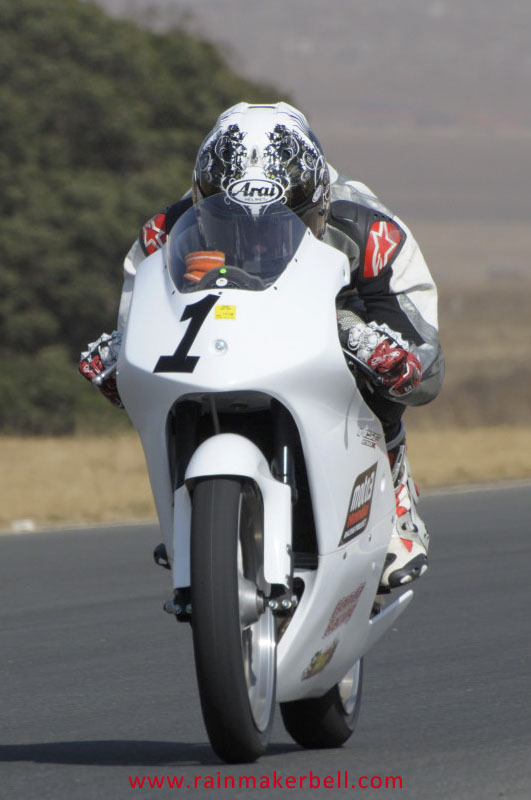 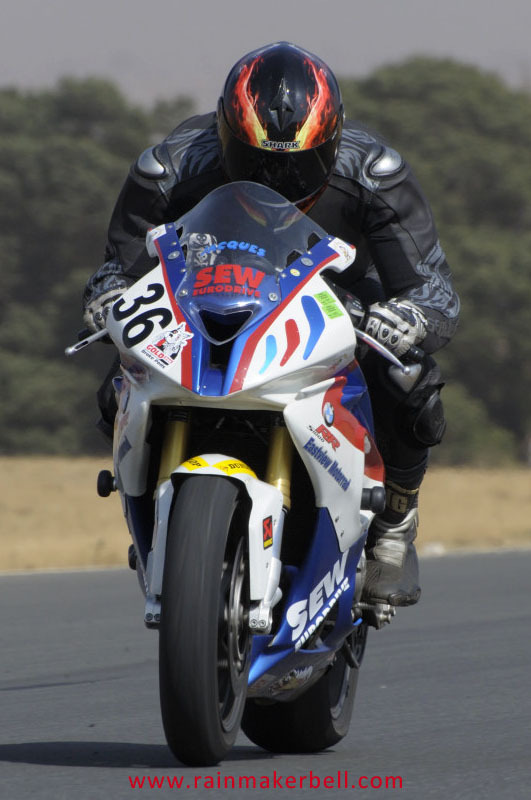 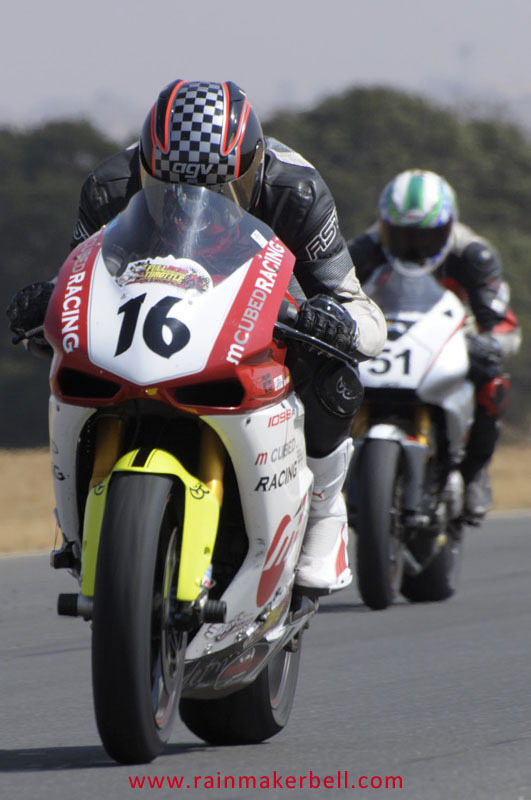 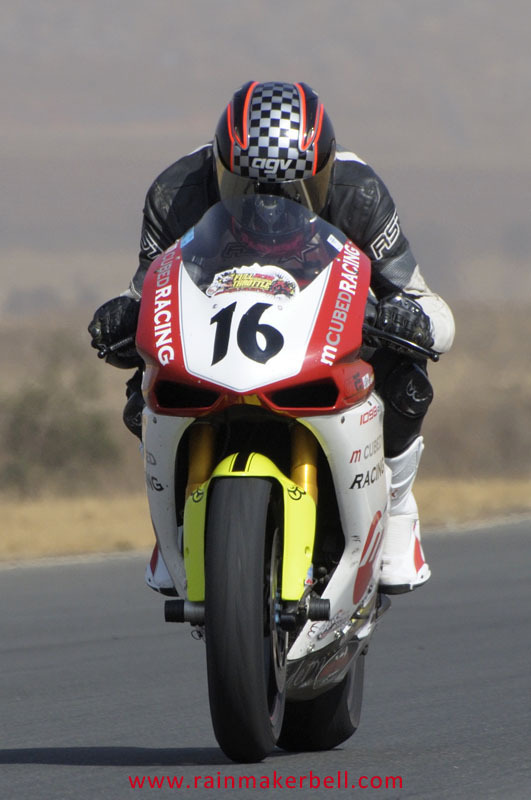 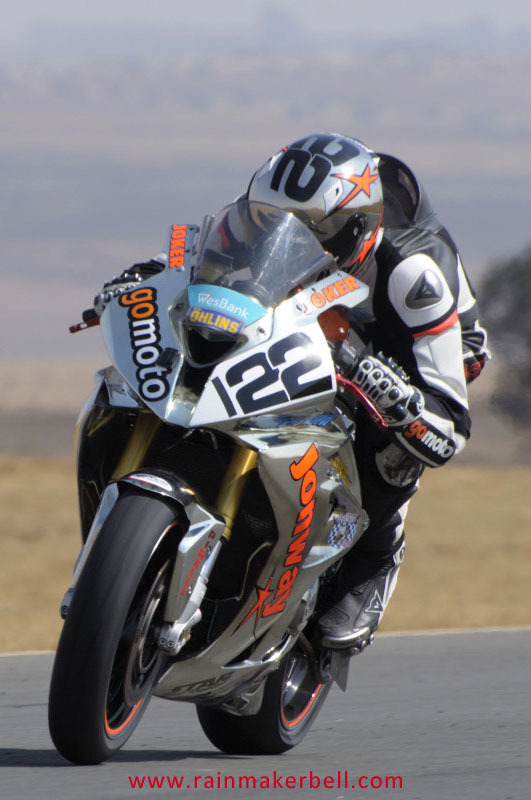 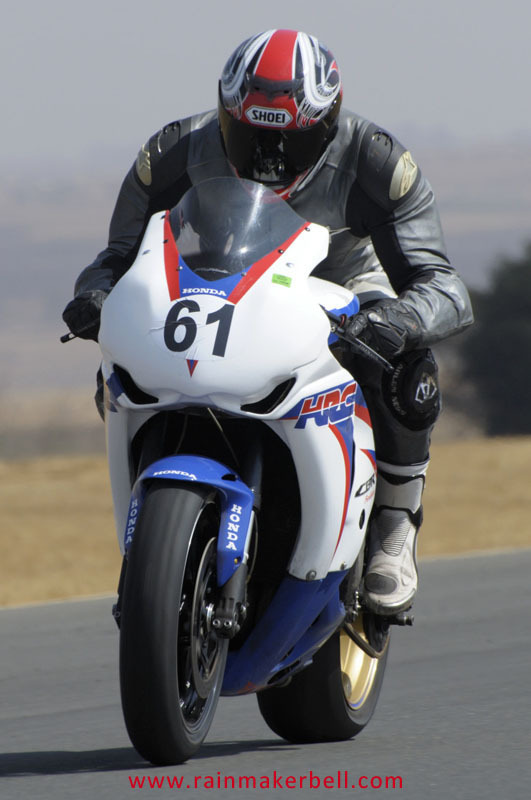 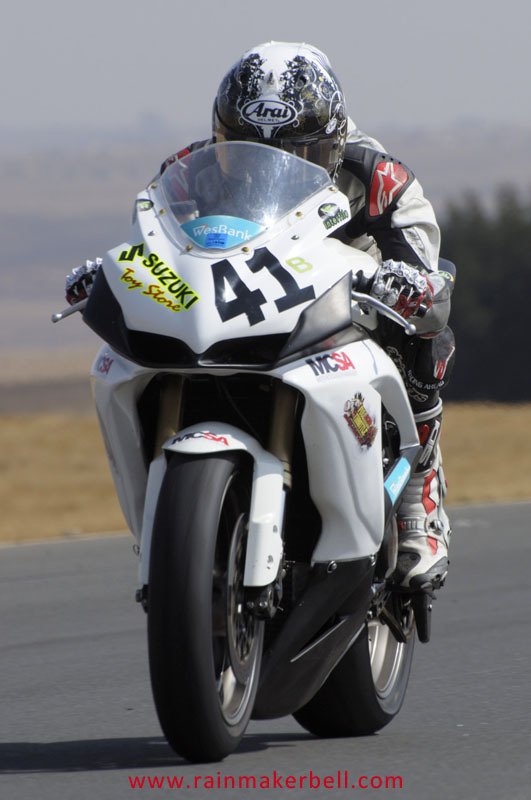 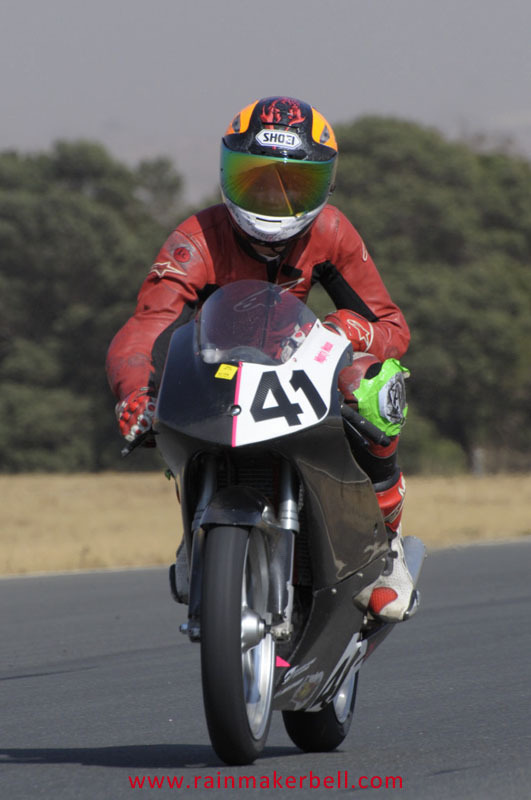 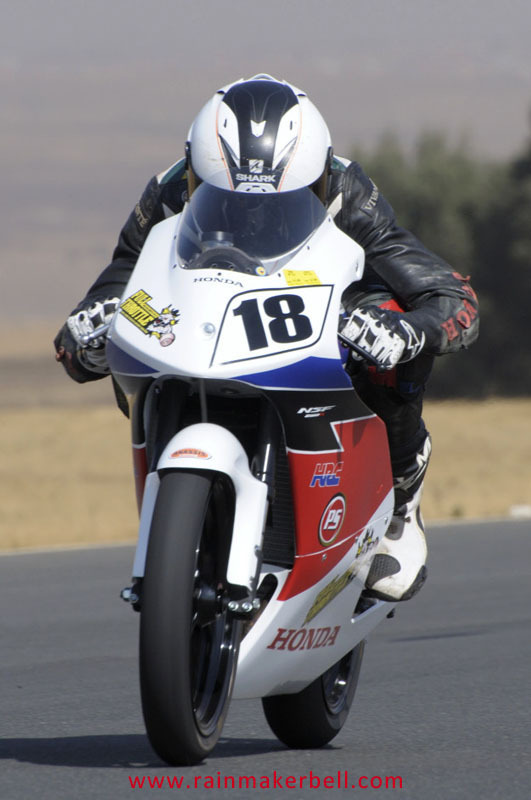 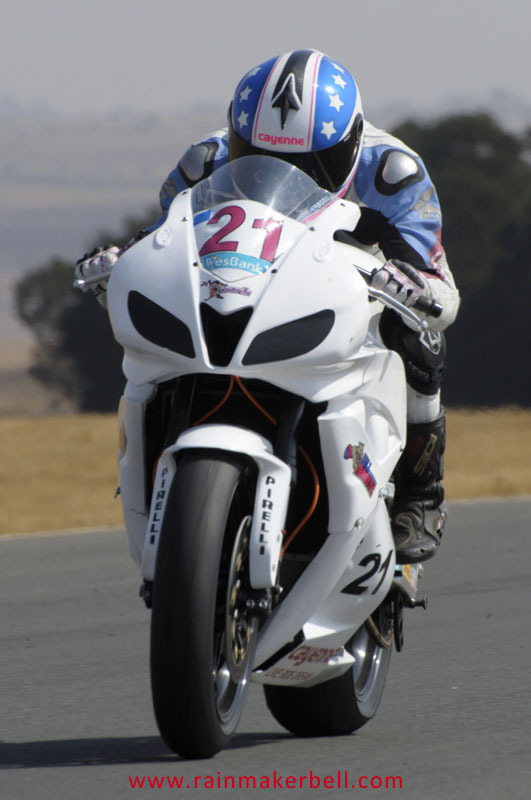 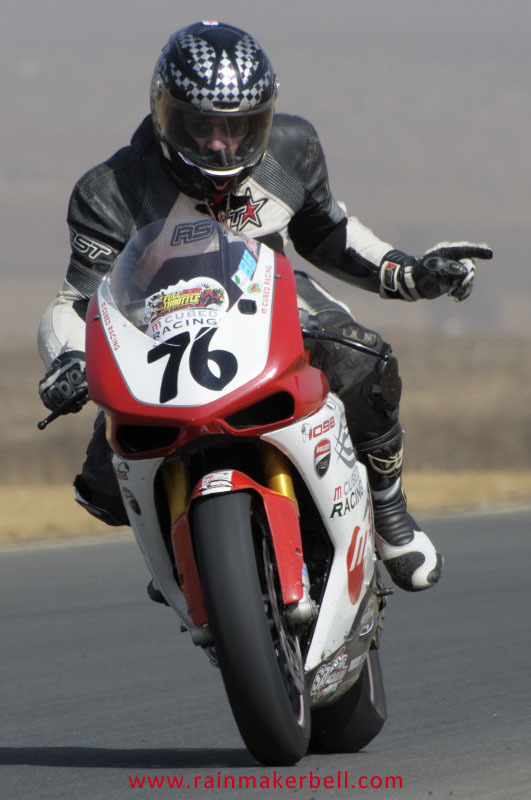 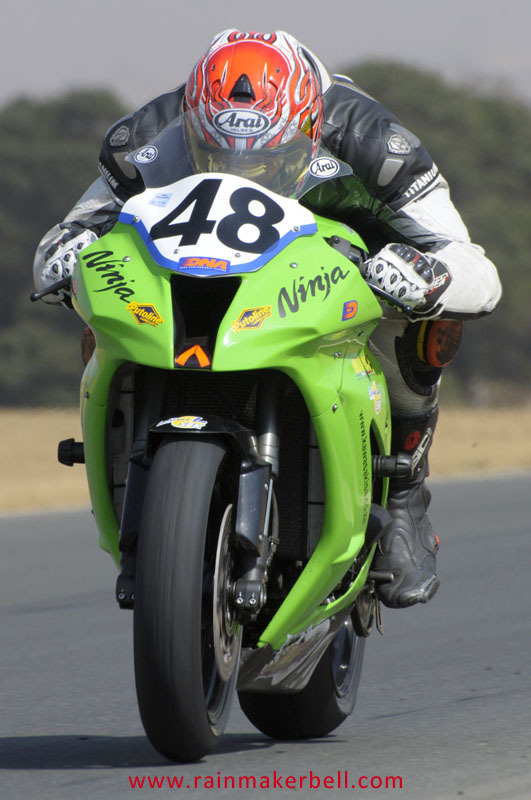 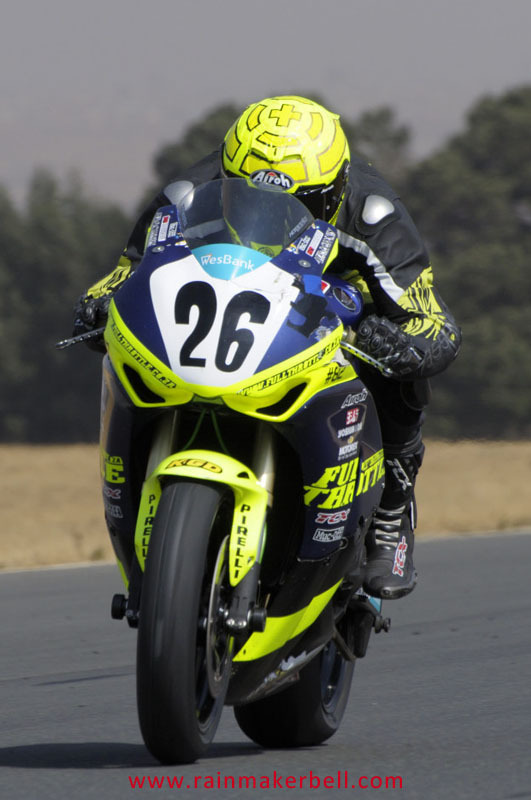 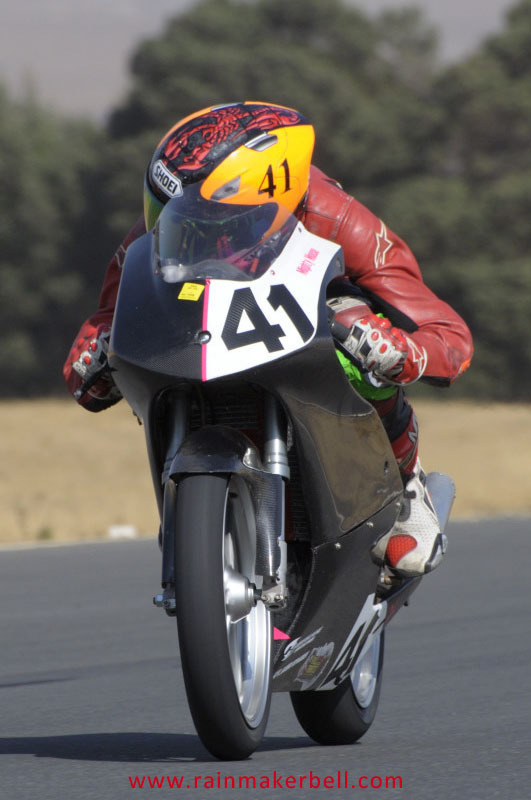 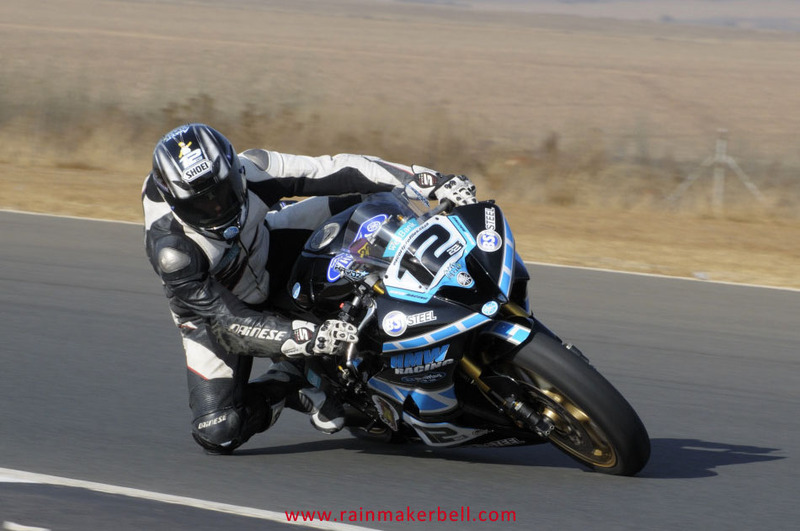 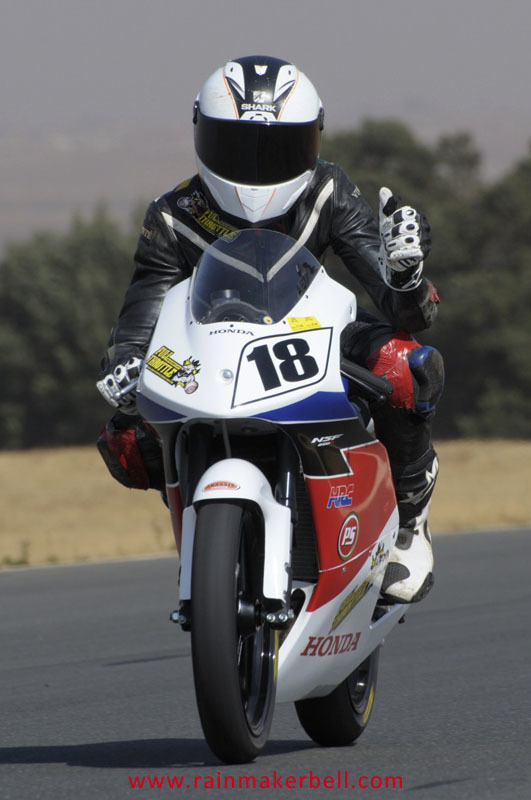 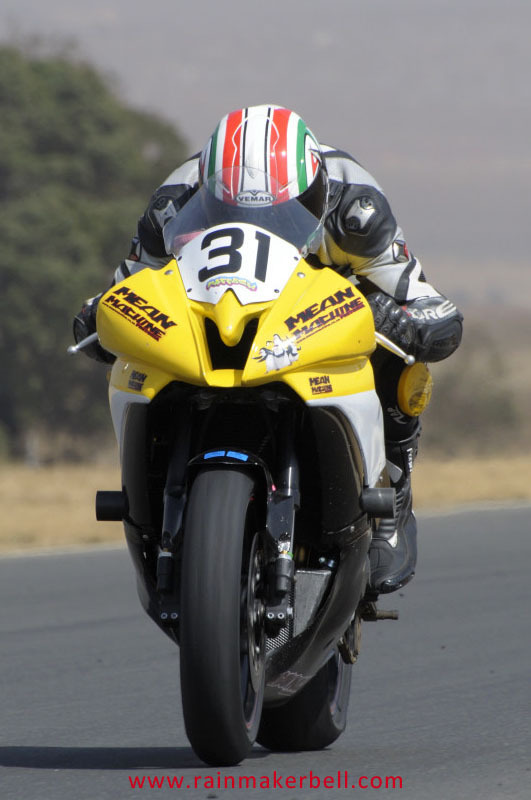 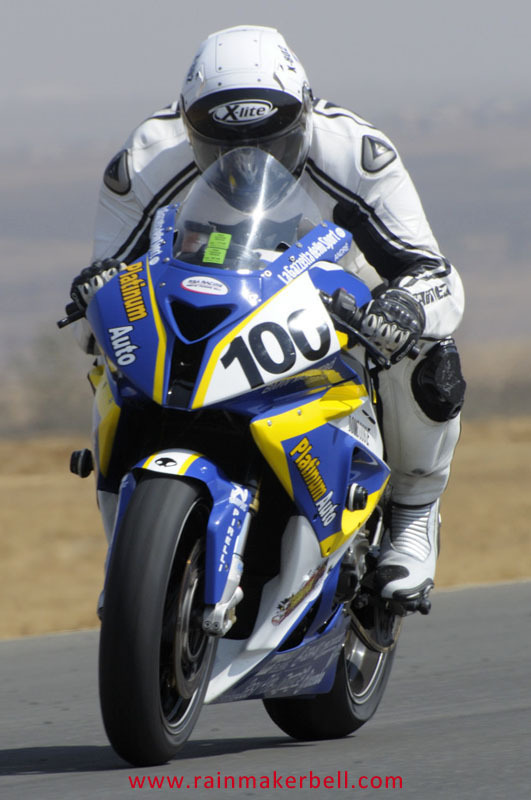 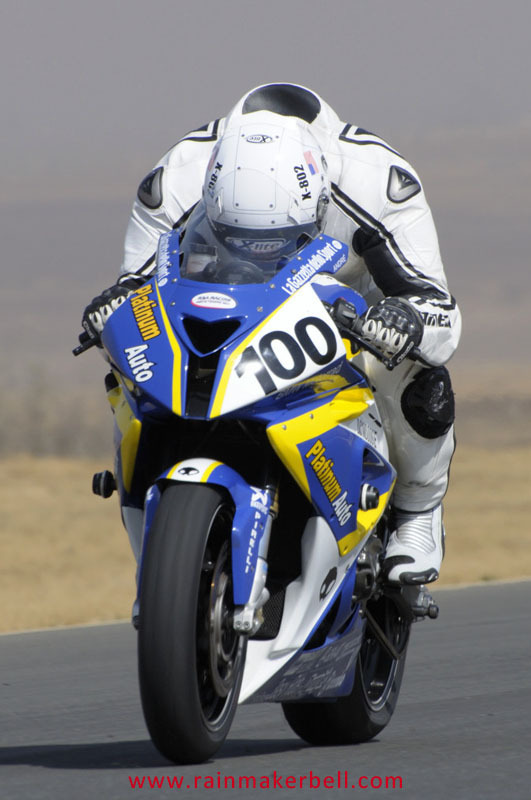 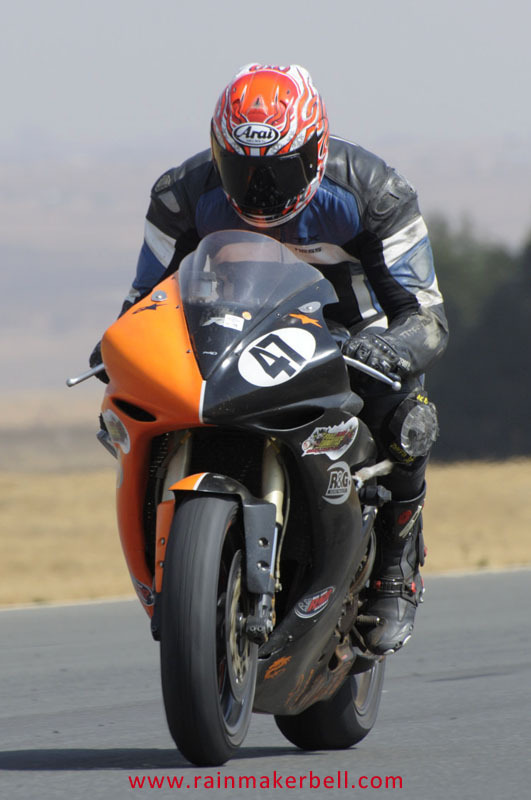 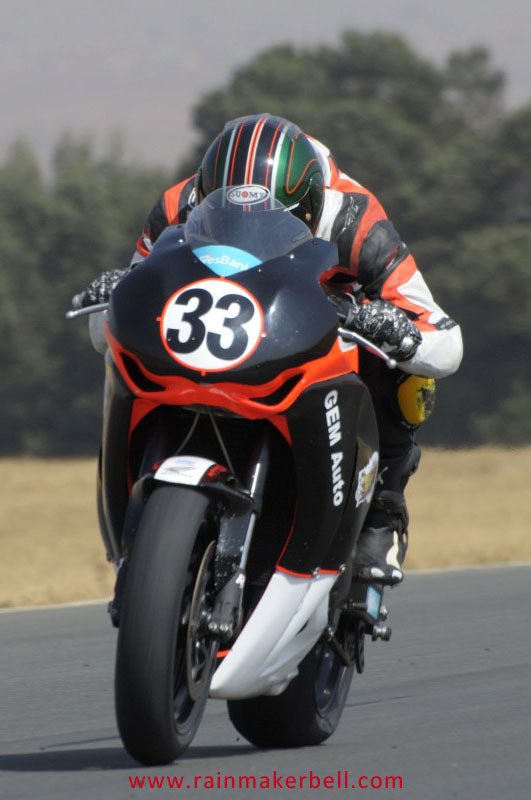 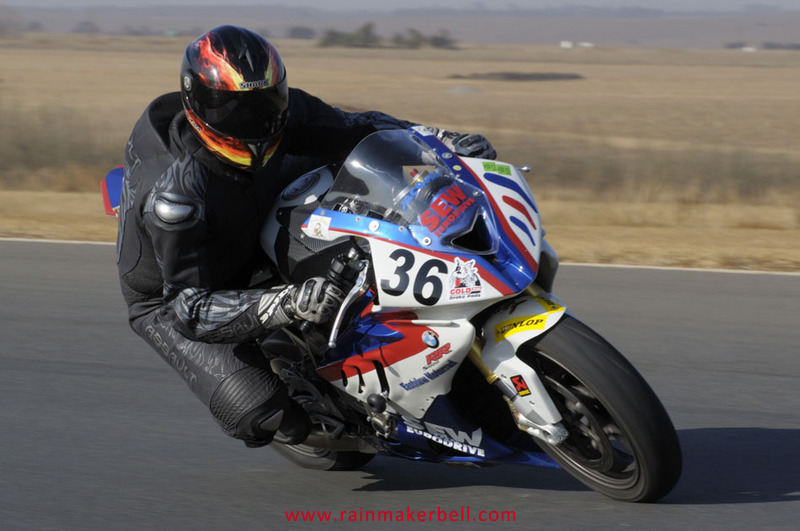 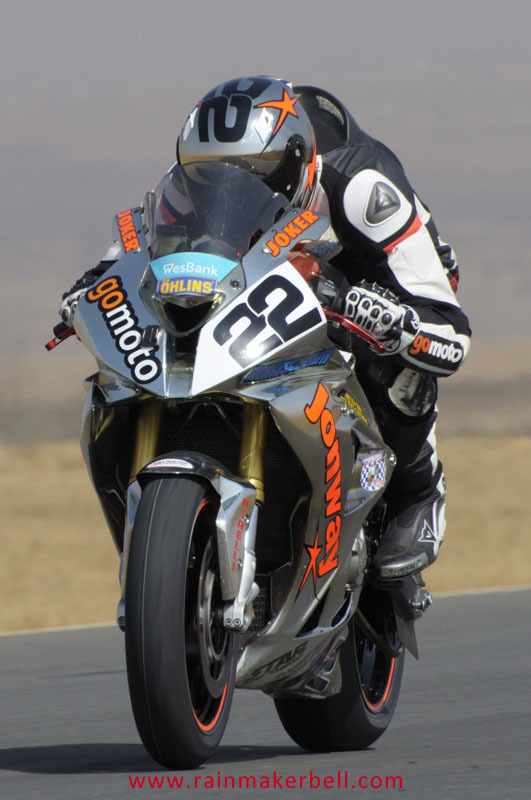 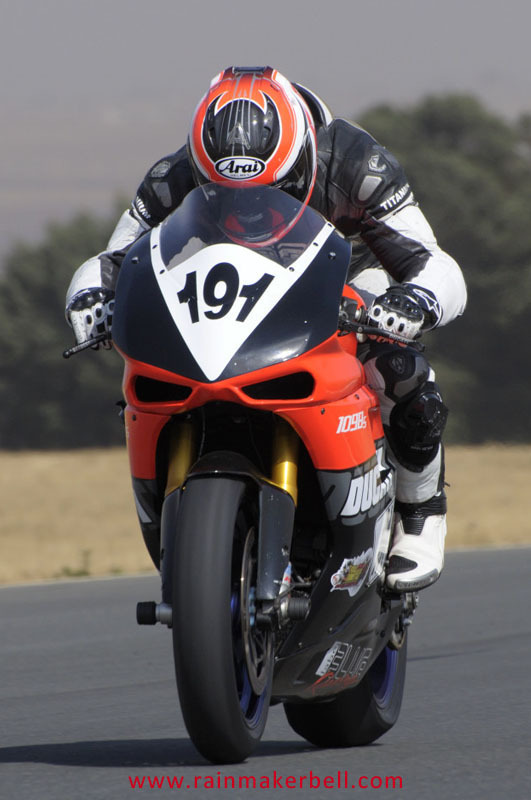 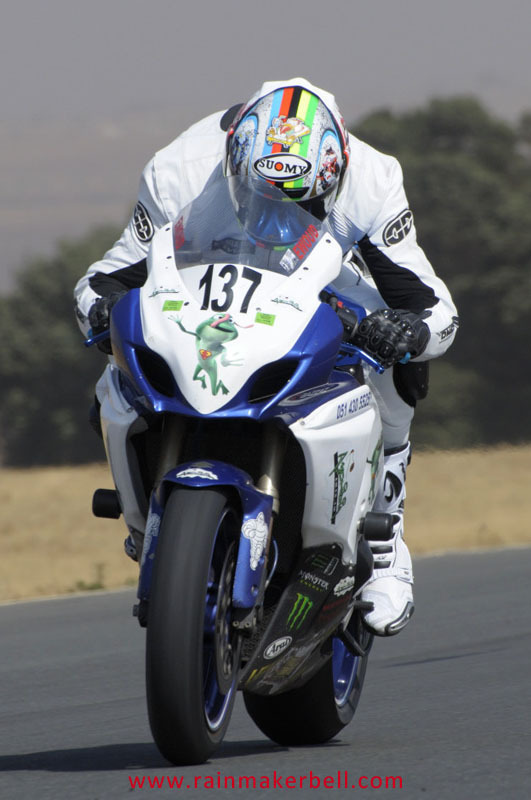 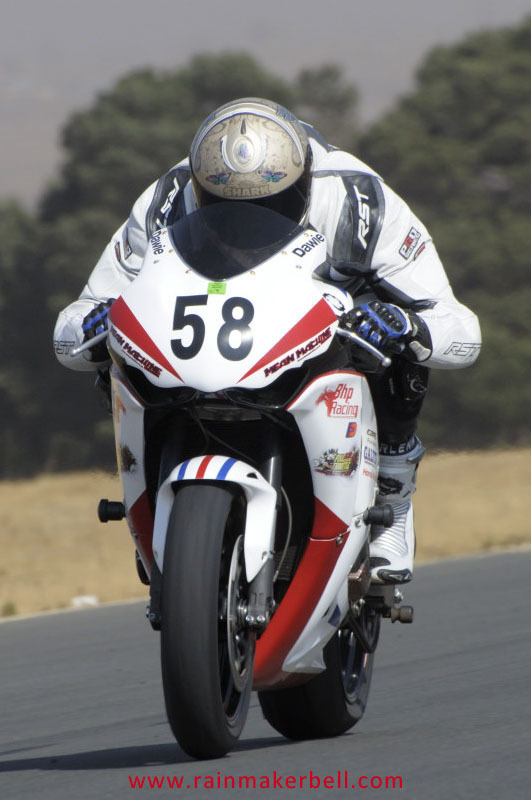 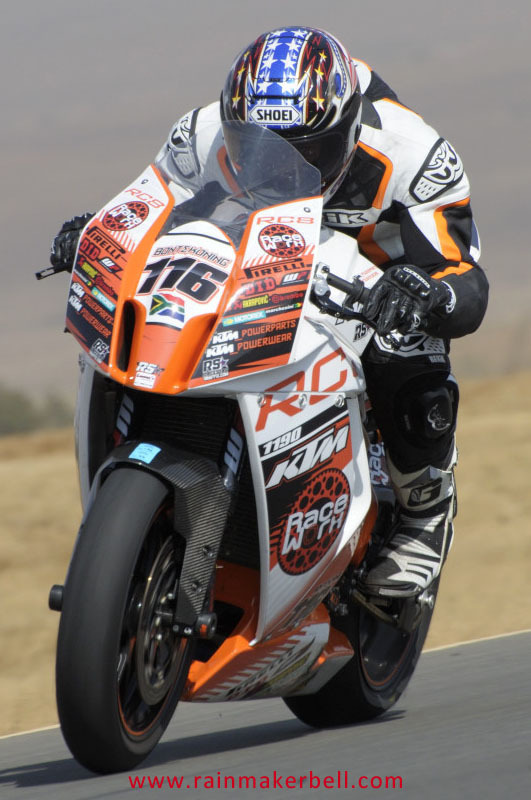 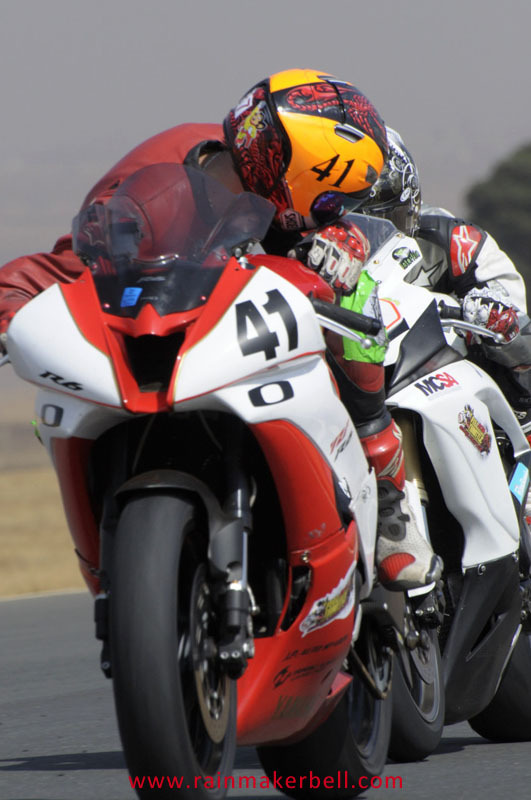 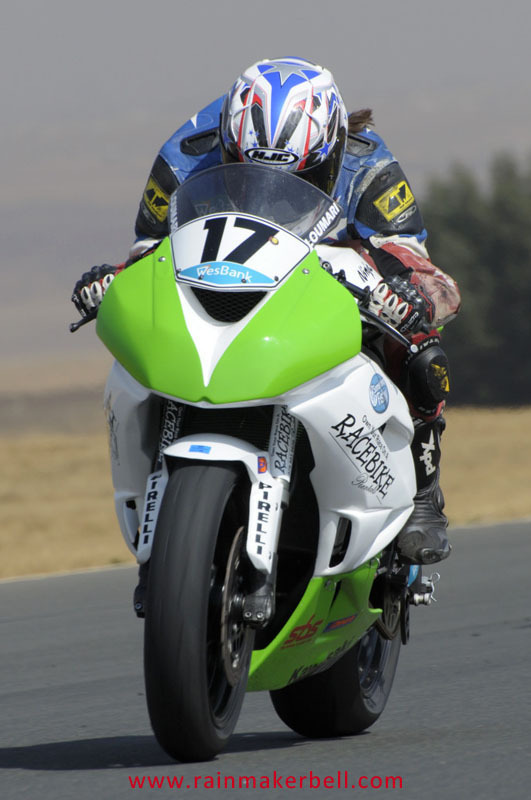 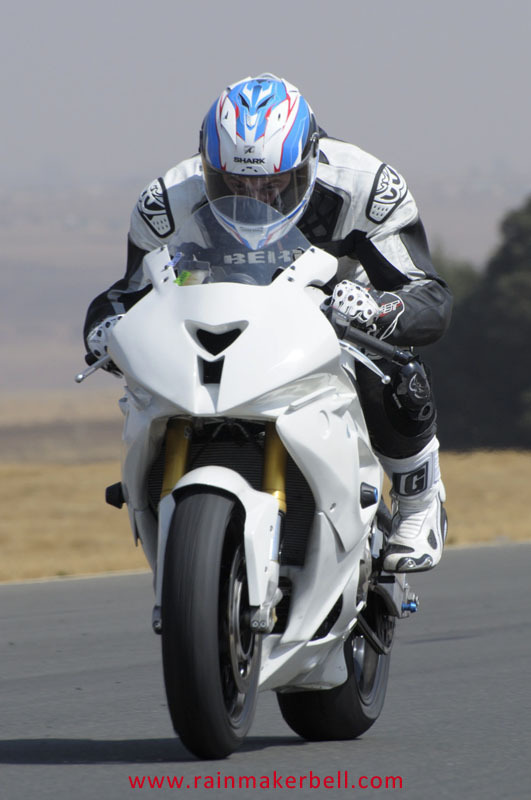 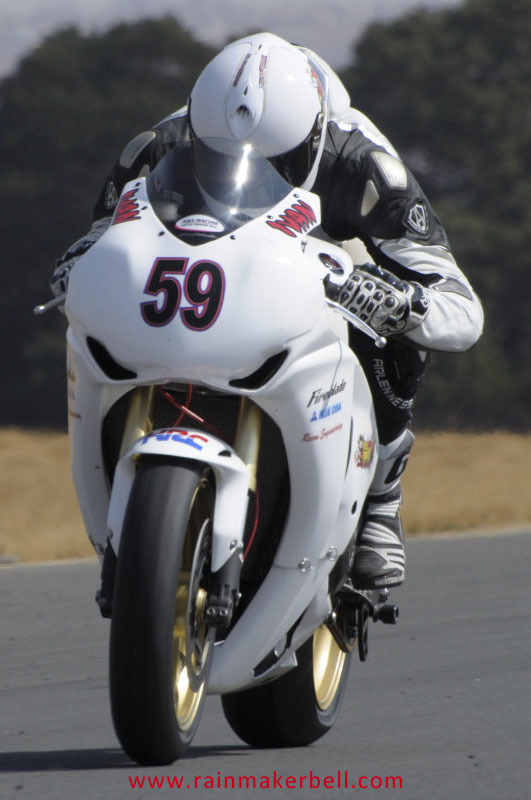 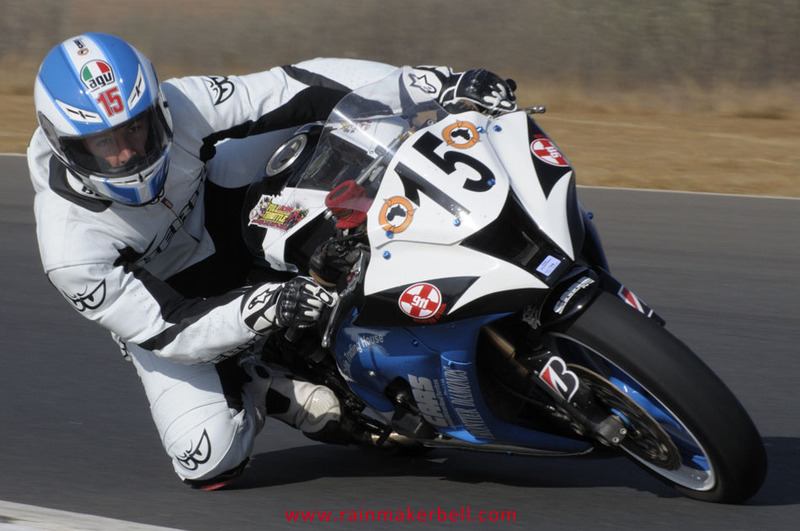 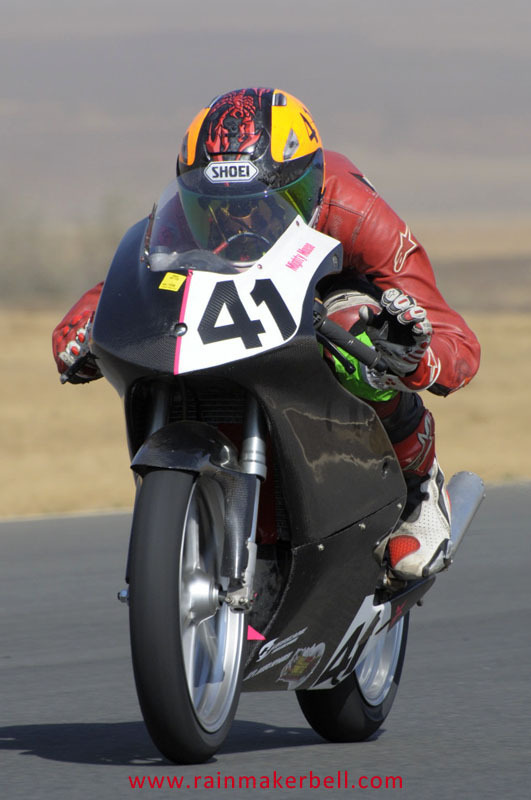 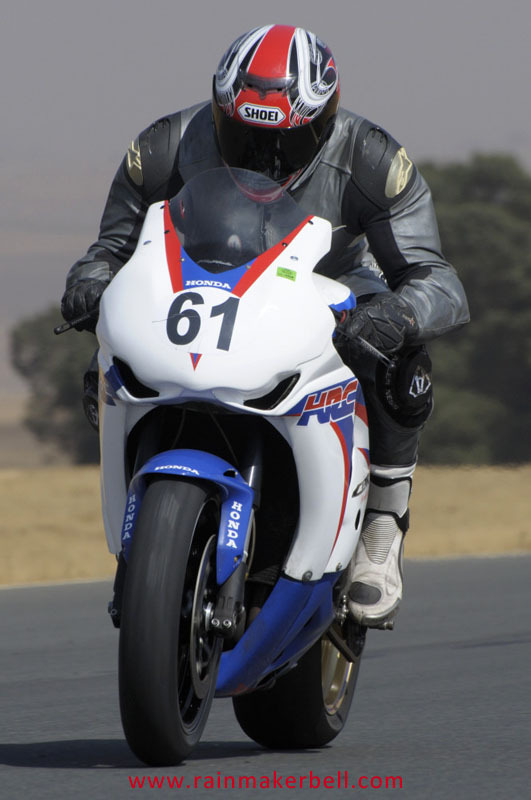 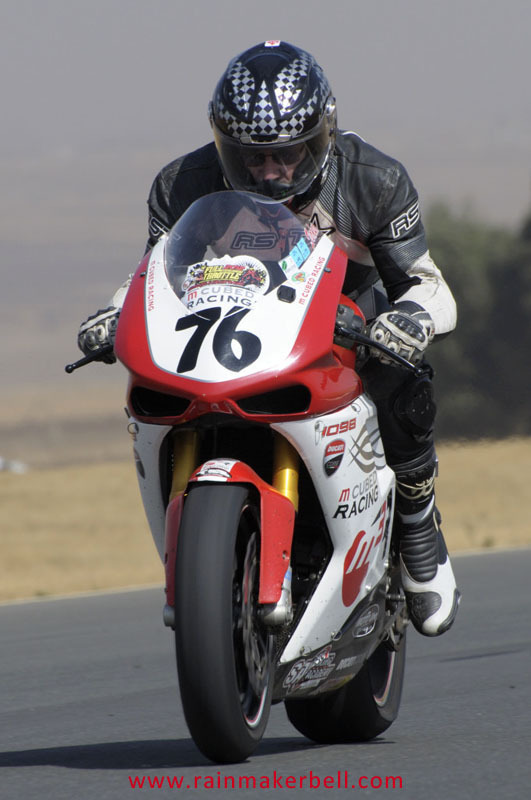 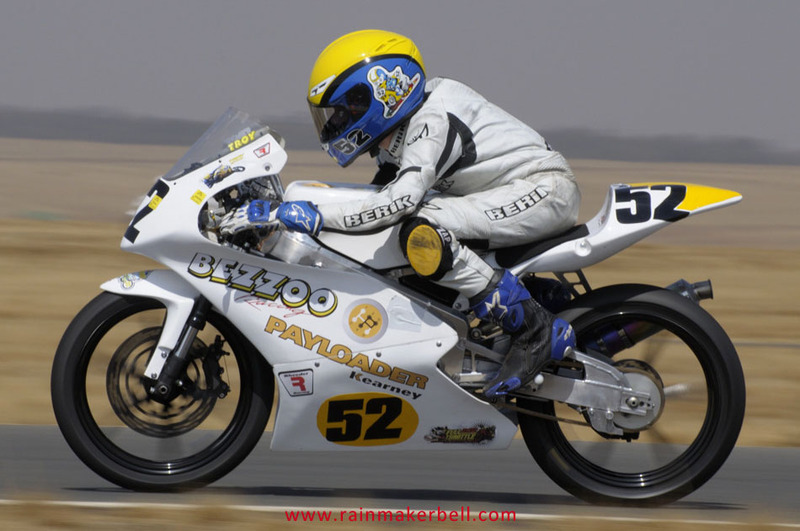 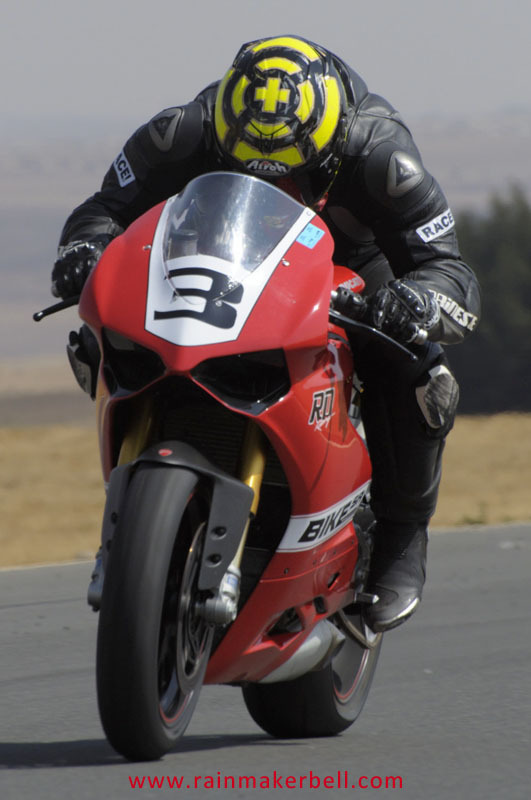 Turning up the heat a notch were household names like Nicolas Grobler (the original superbike and unlimited superbike Joker on his chromed BMW S1000RR), Gavin Lightfoot #48 straddling a Kawasaki ZX10R, Jonathan de Vos #15, Jason Wessels #22 racing a KTM RC8R, Donavan Fourie #3 on a Ducati, Rhyno Stander #24, Anthony Shelley #74 on Kawasaki and last but not least the Moto3/GP 125 lads such as Brad Binder #1, Blaze Baker #51 and Troy Bezzoo Bezuidenhout #52. 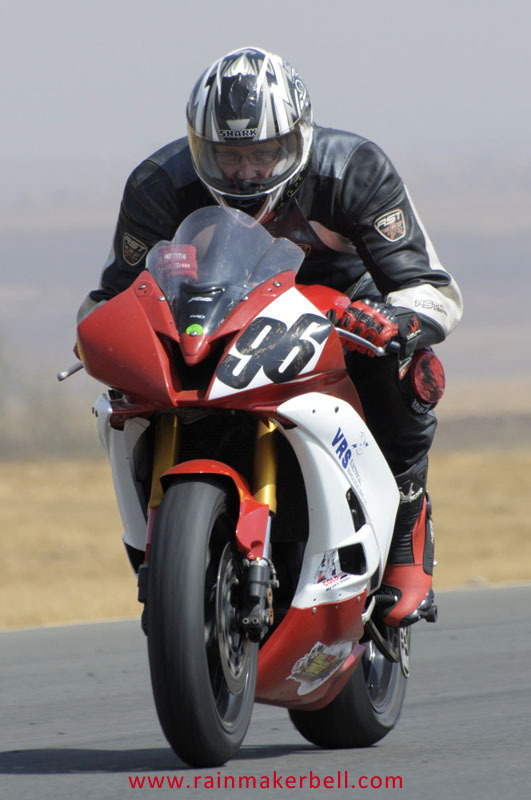 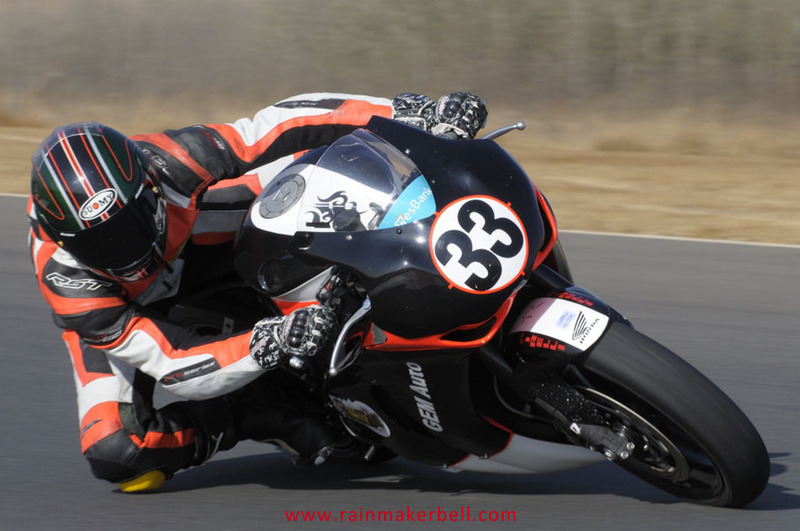 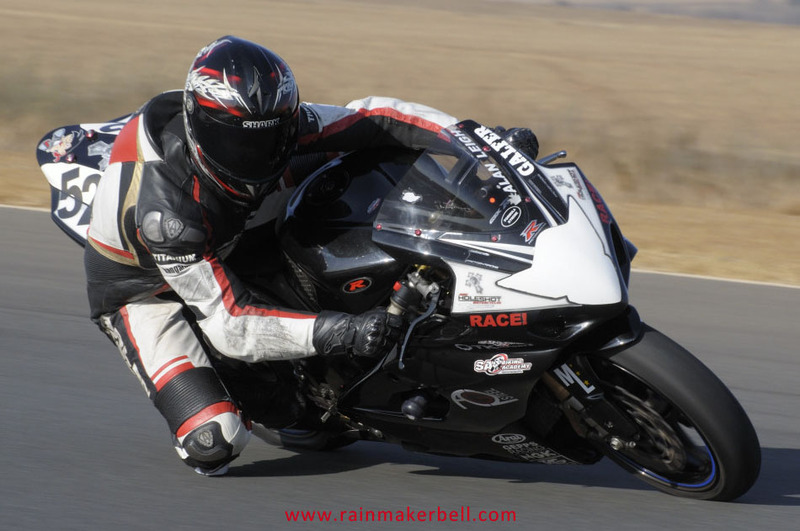 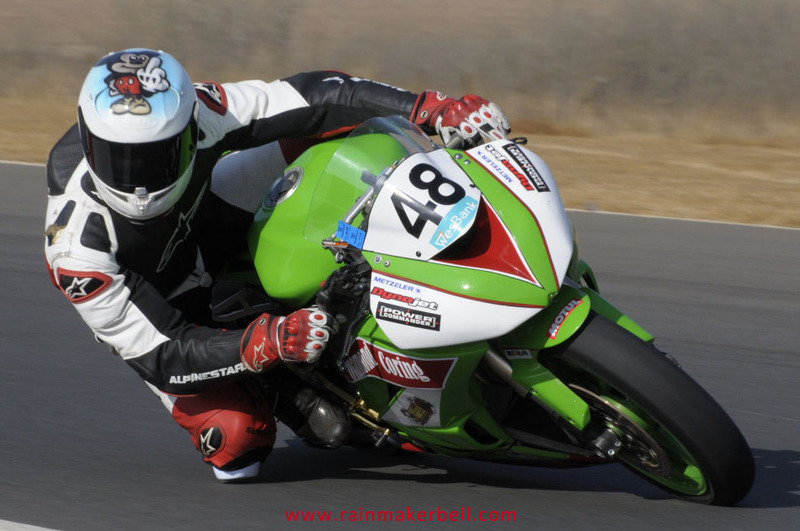 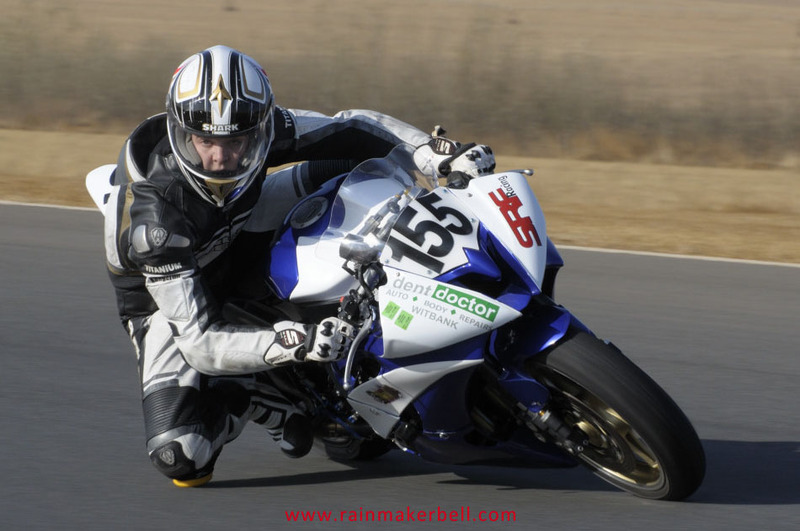 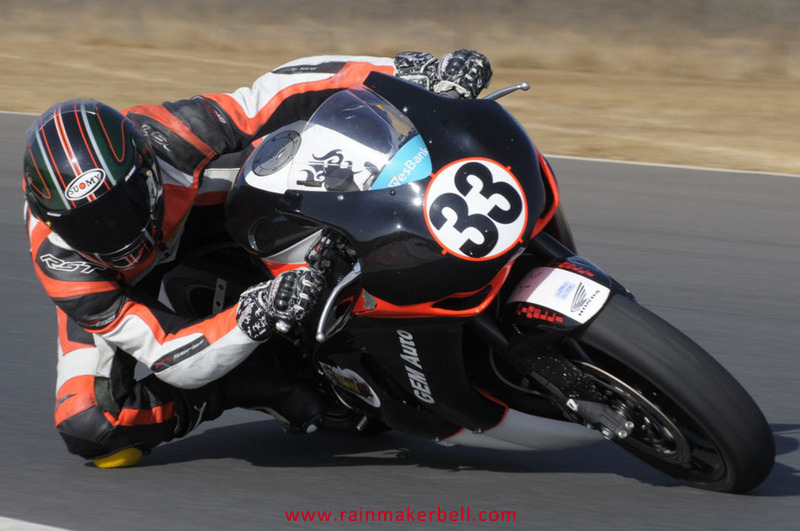 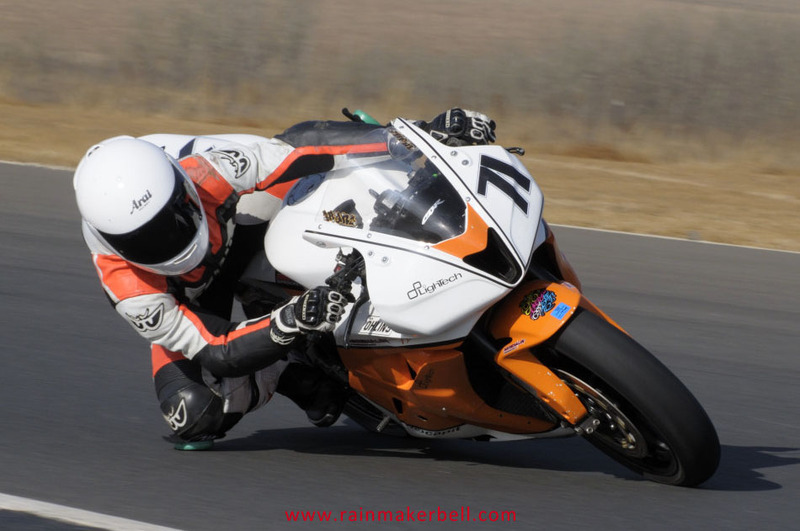 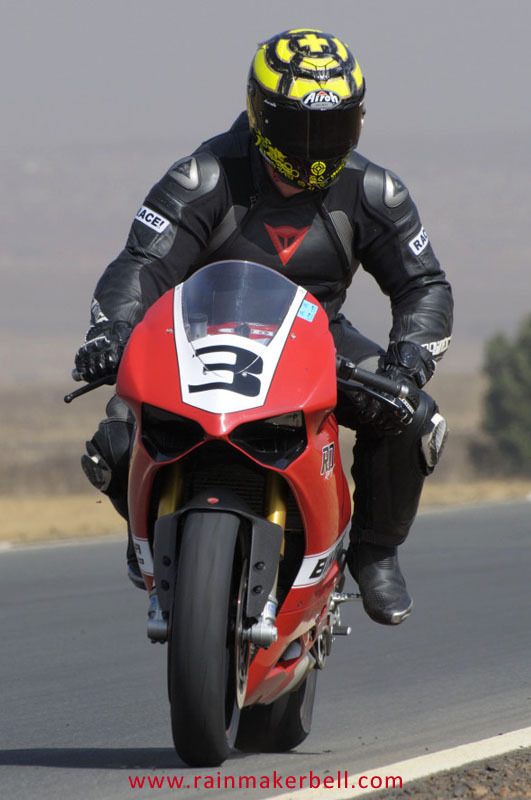 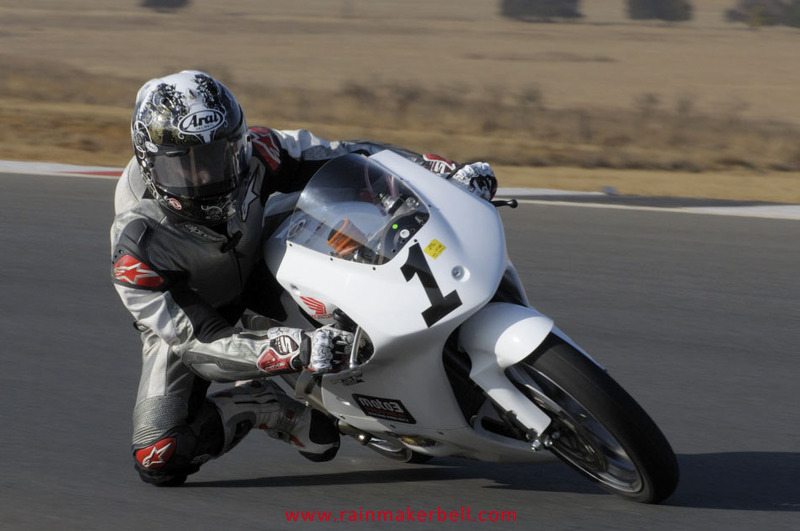 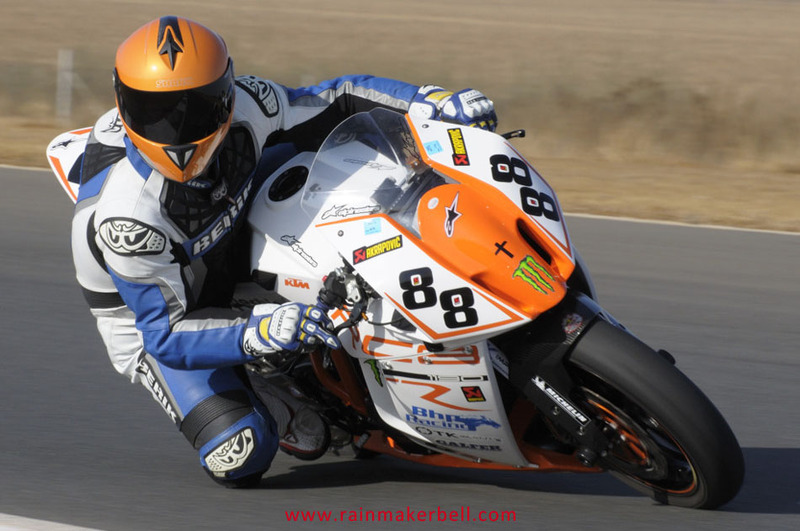 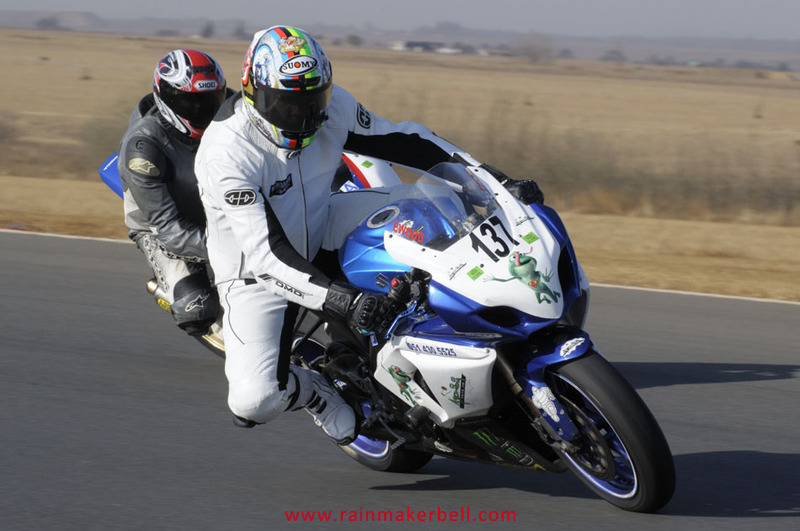 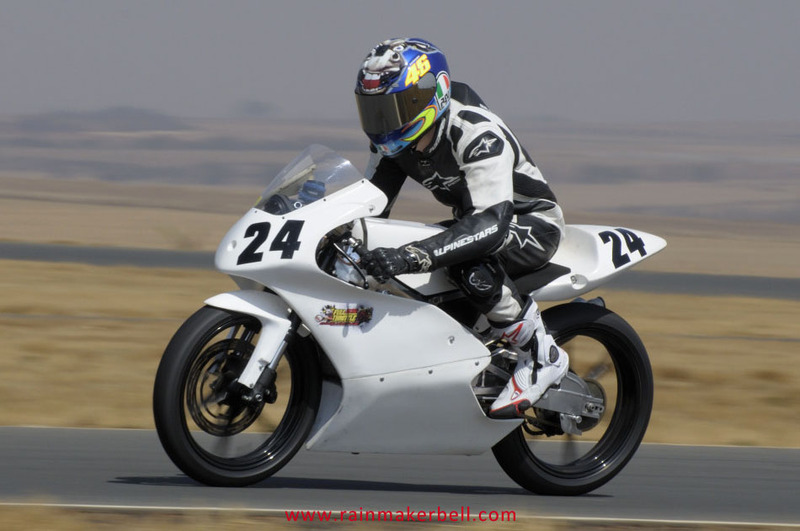 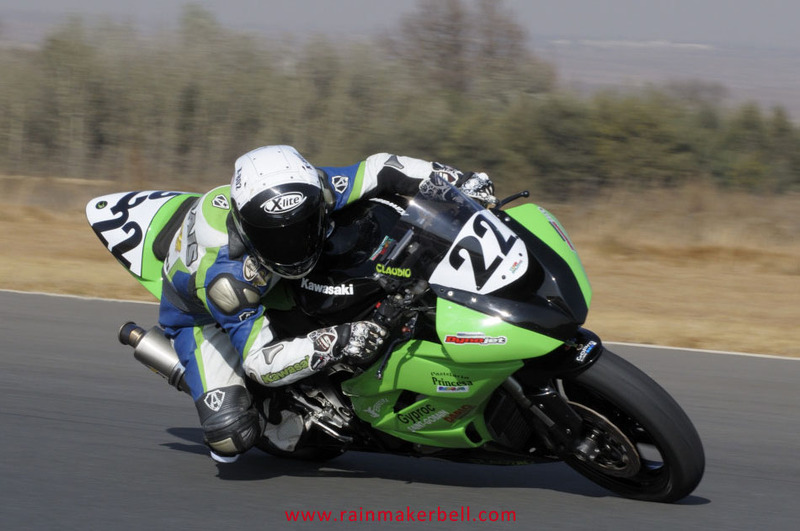 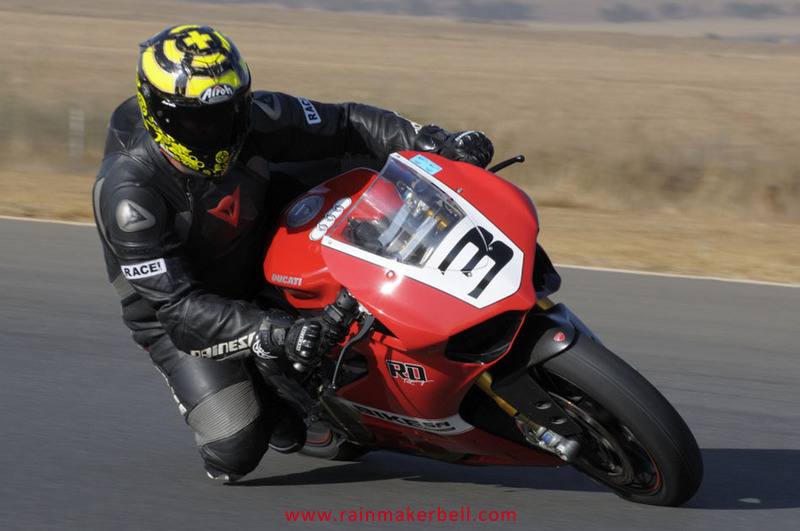 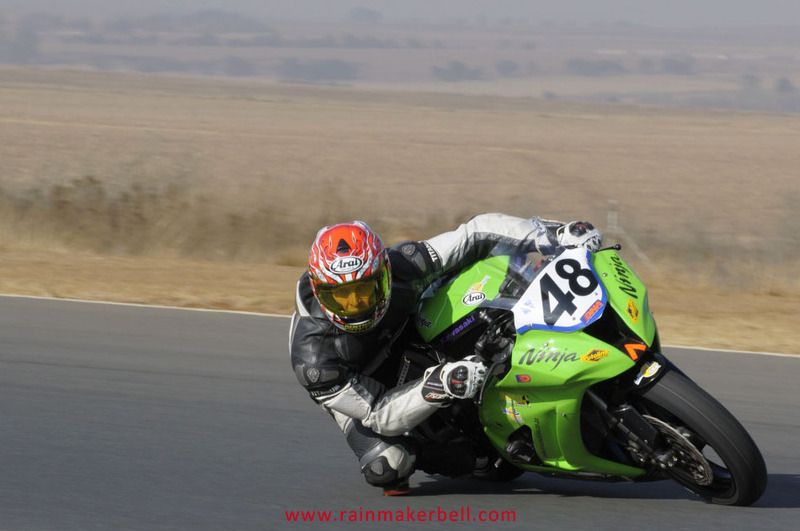 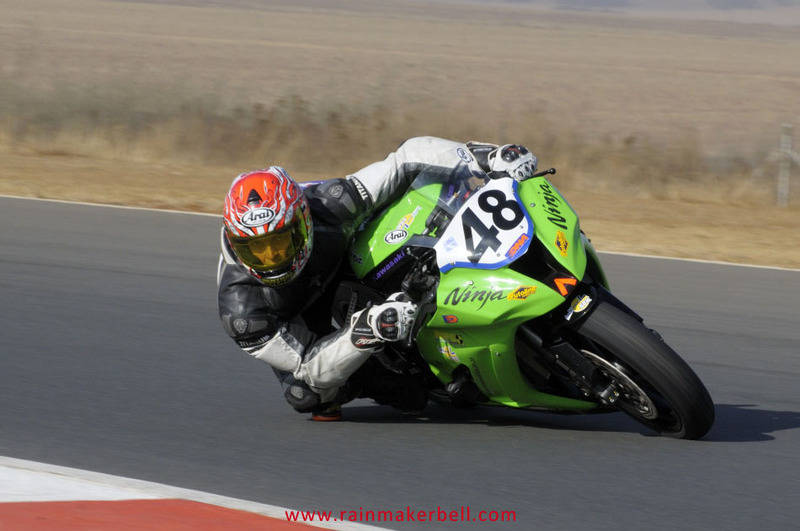 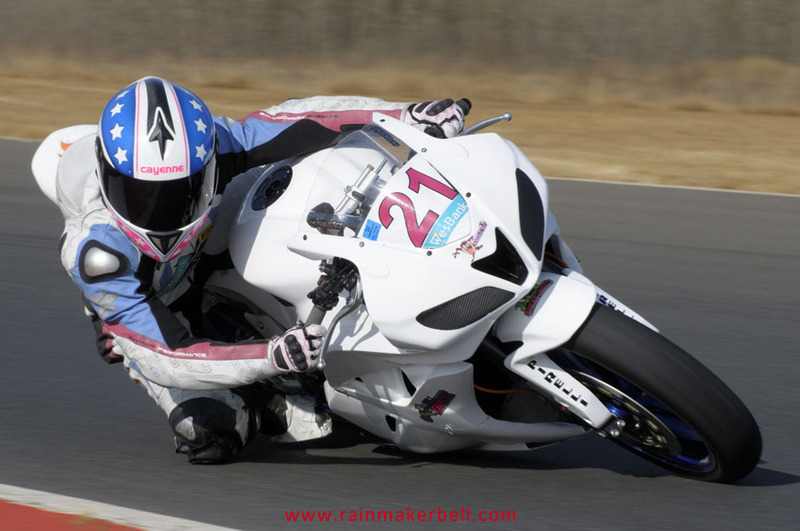 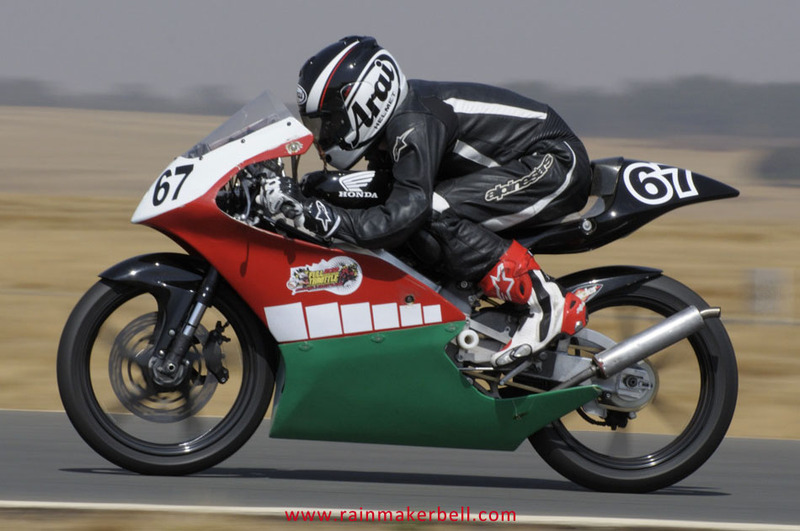 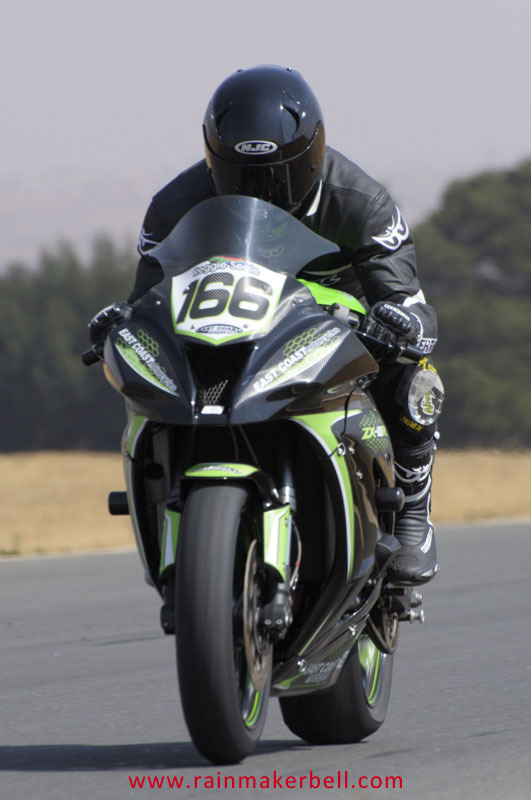 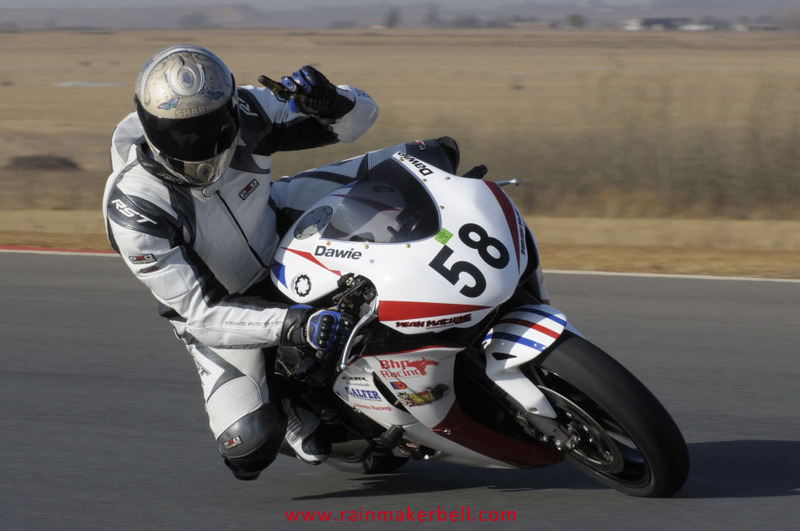 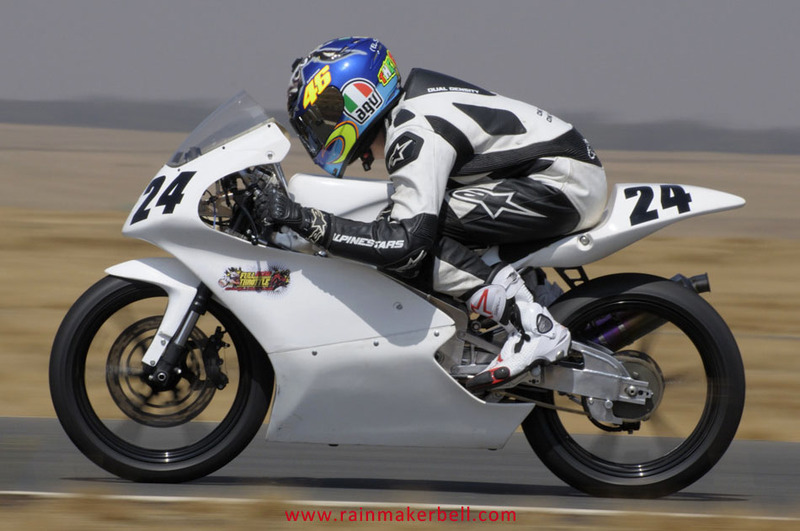 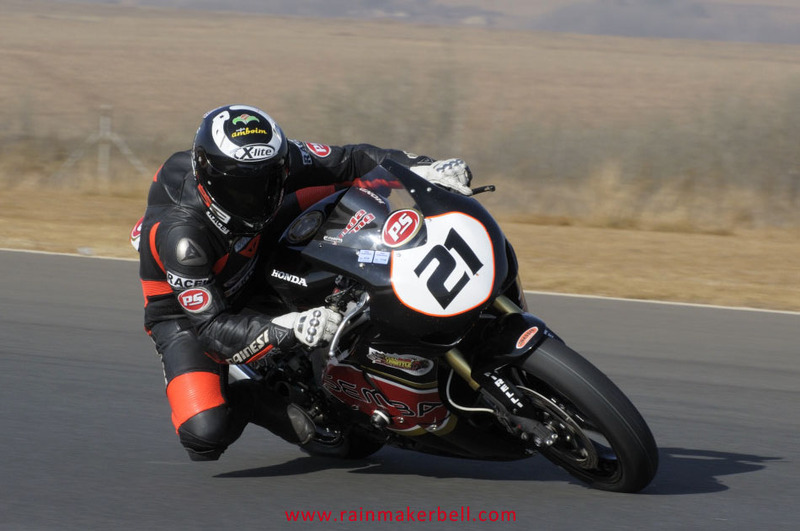 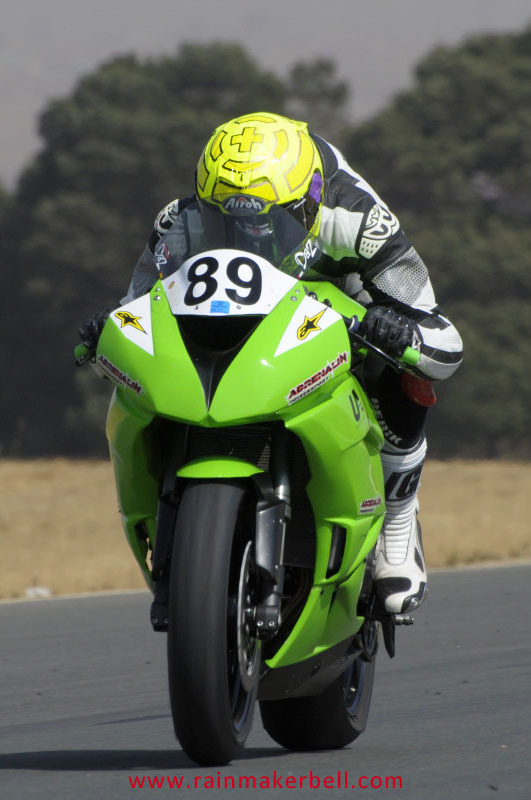 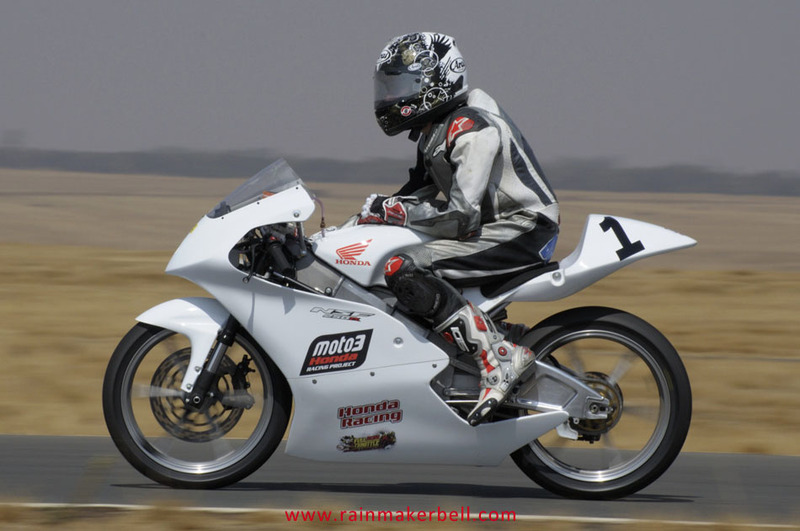 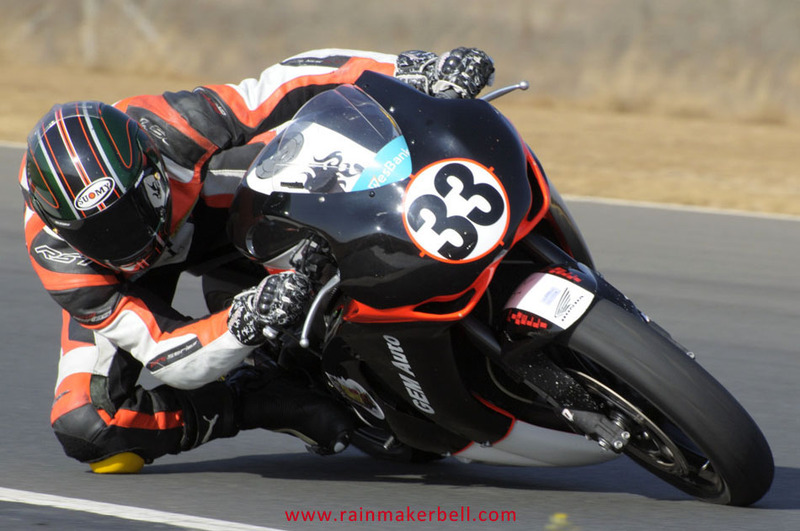 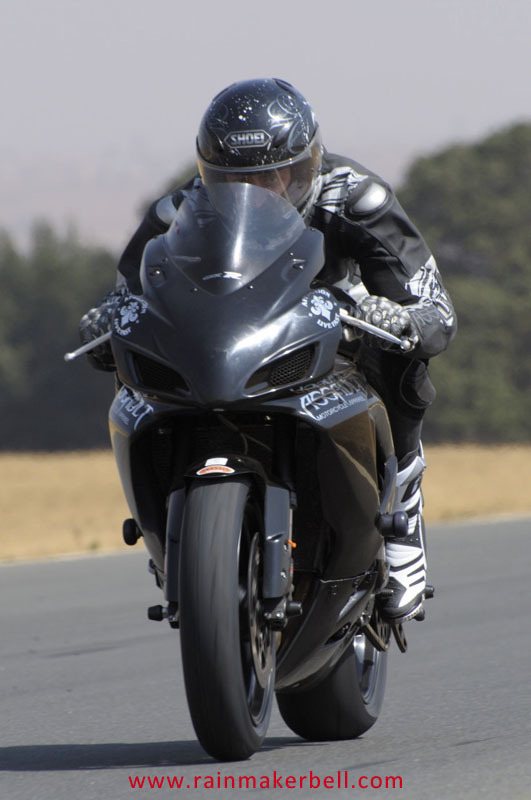 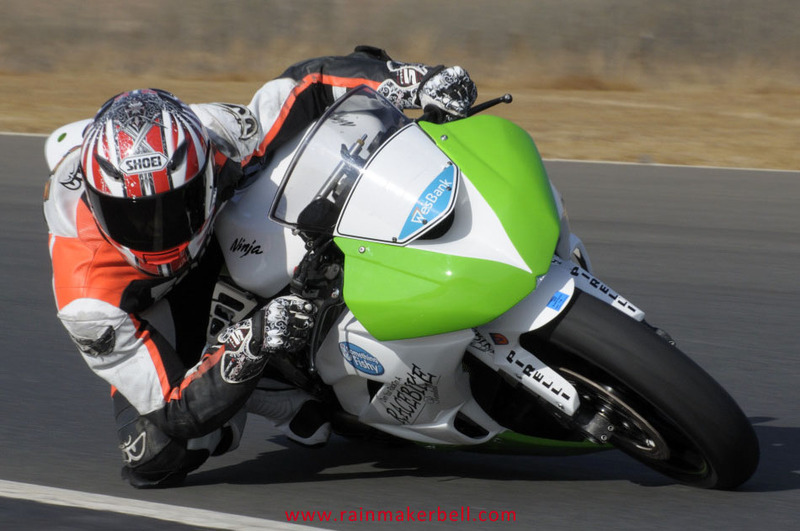 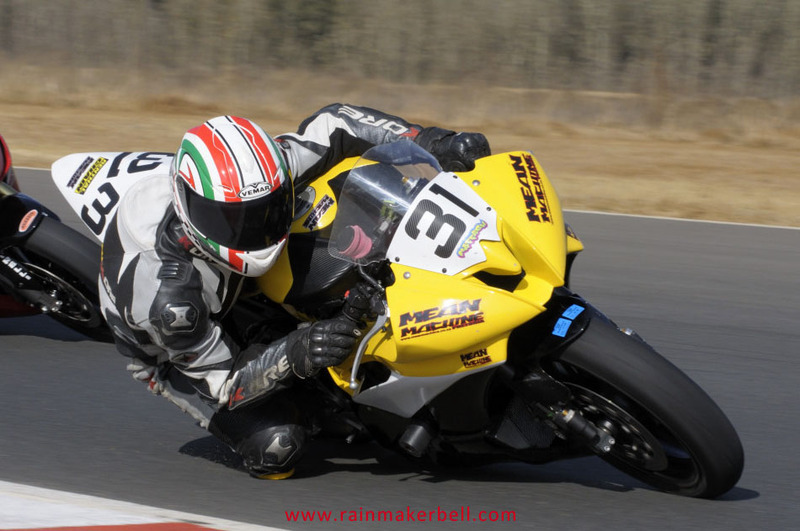 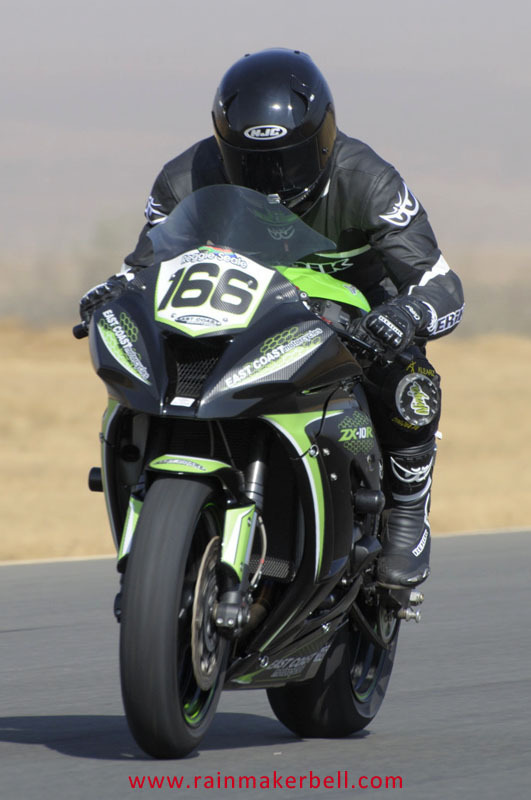 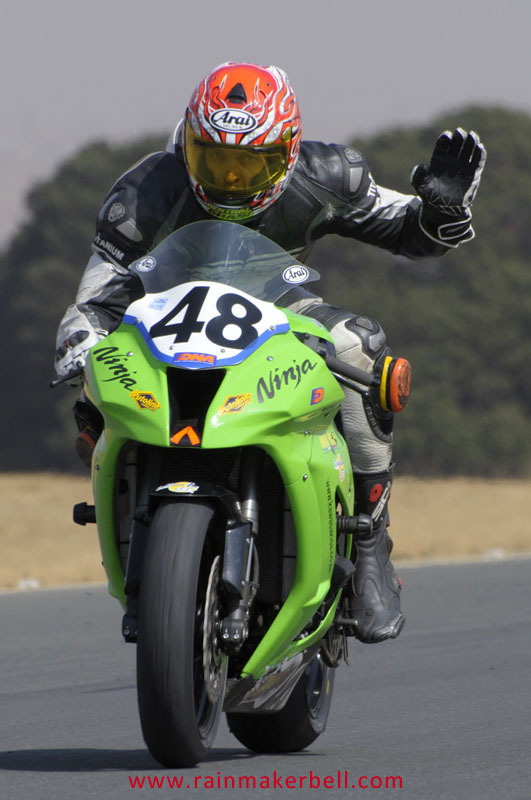 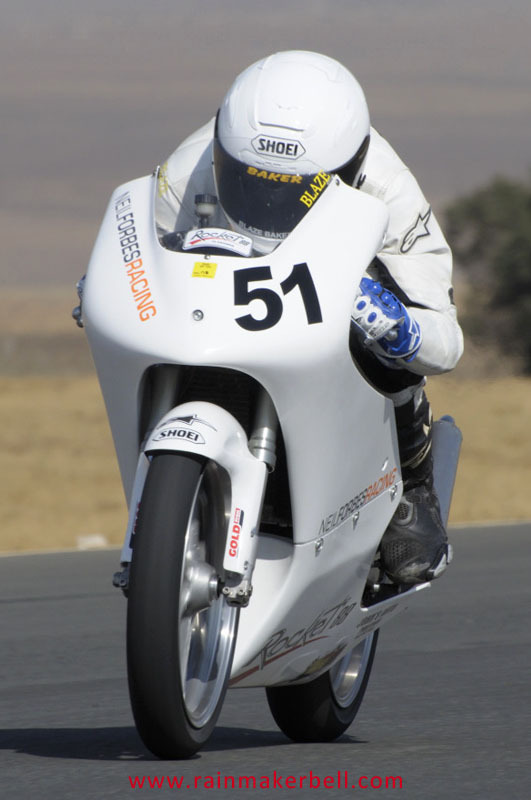 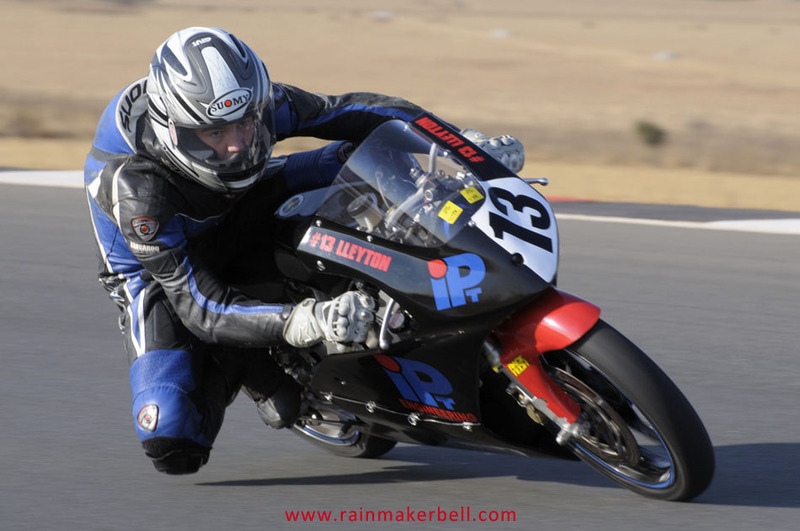 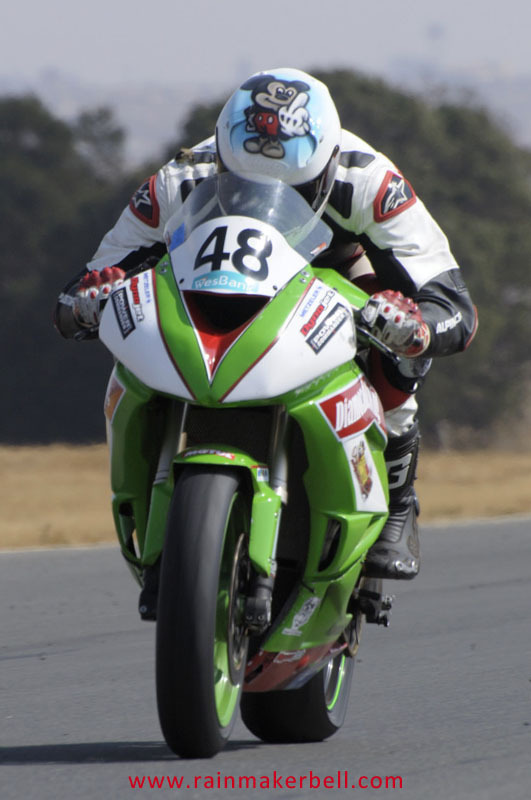 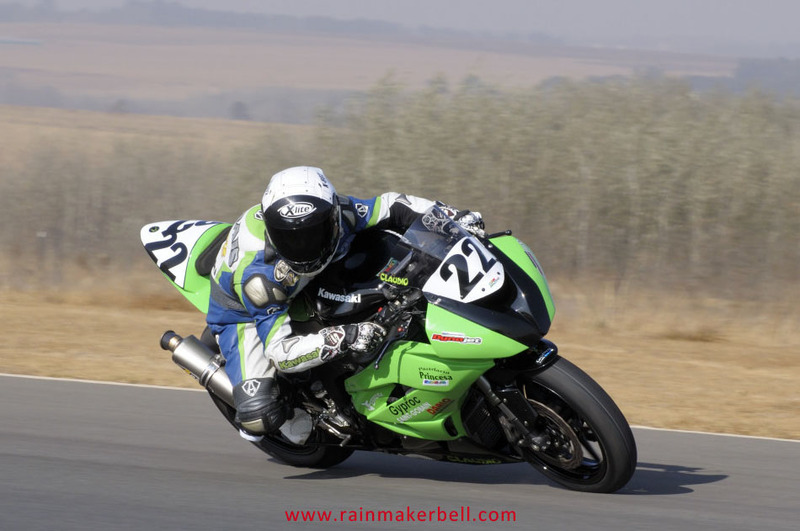 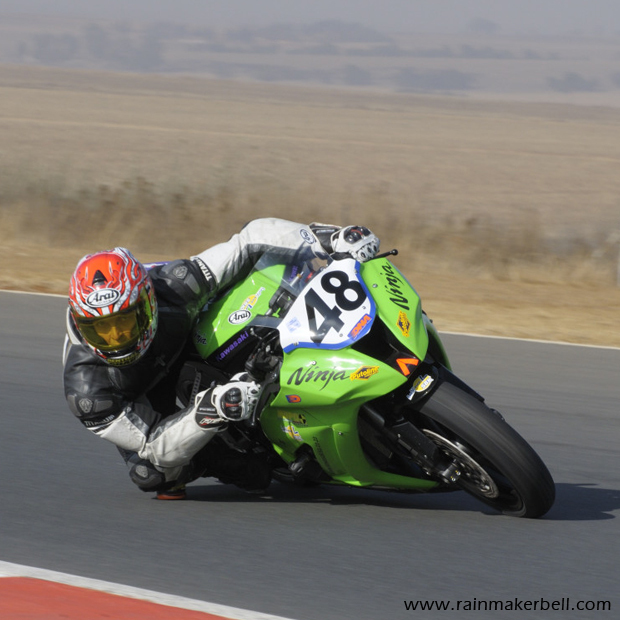 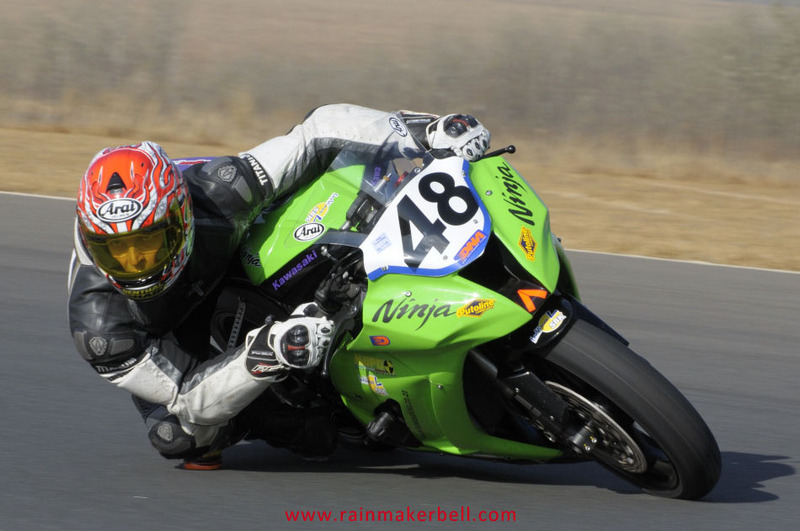 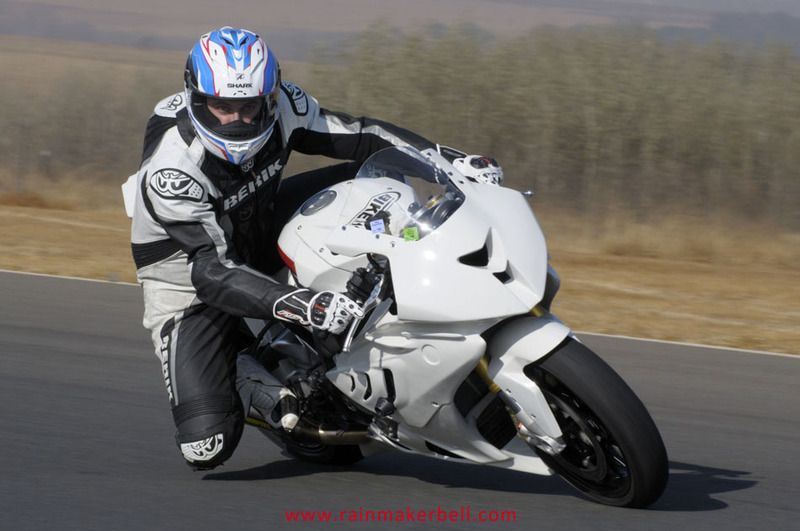 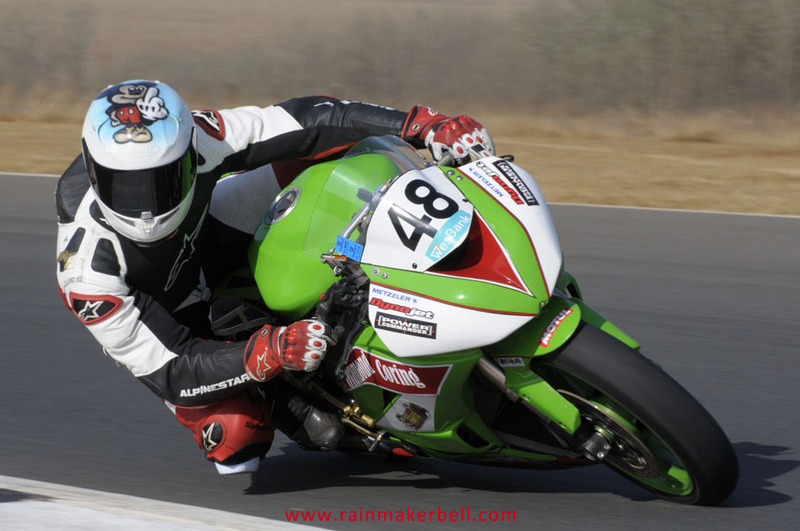 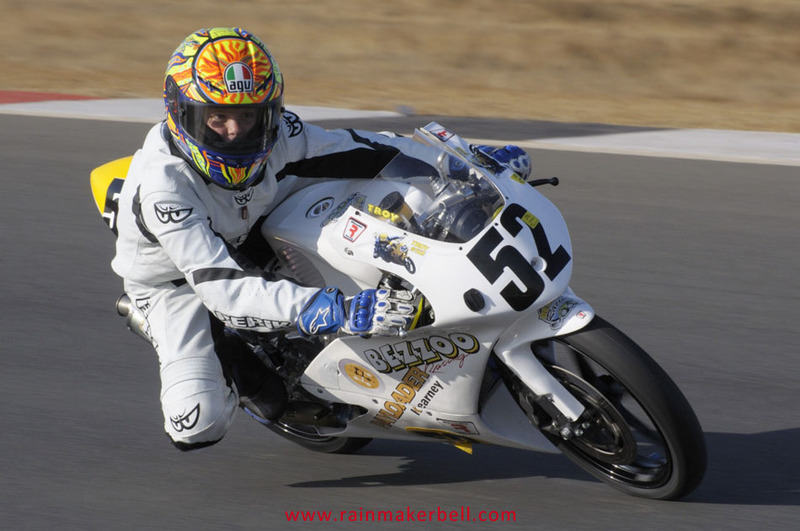 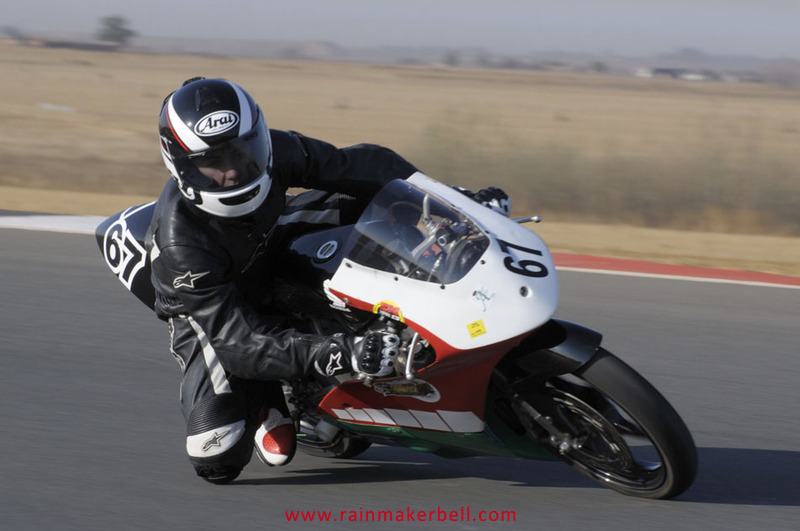 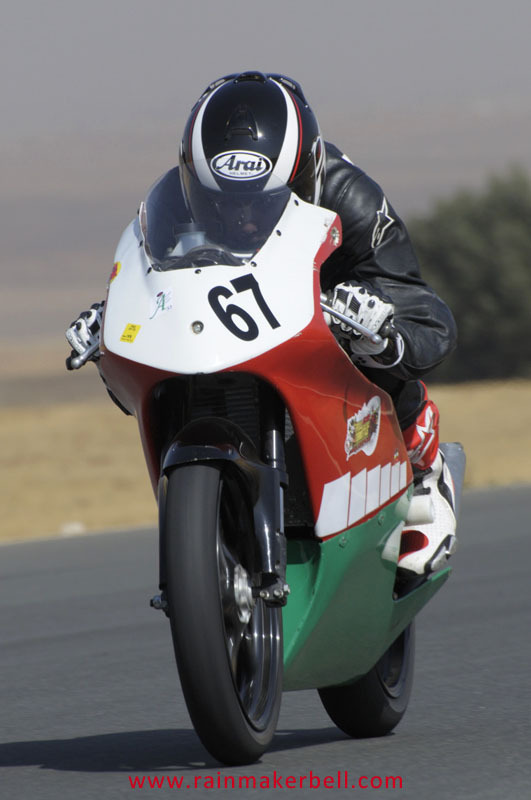 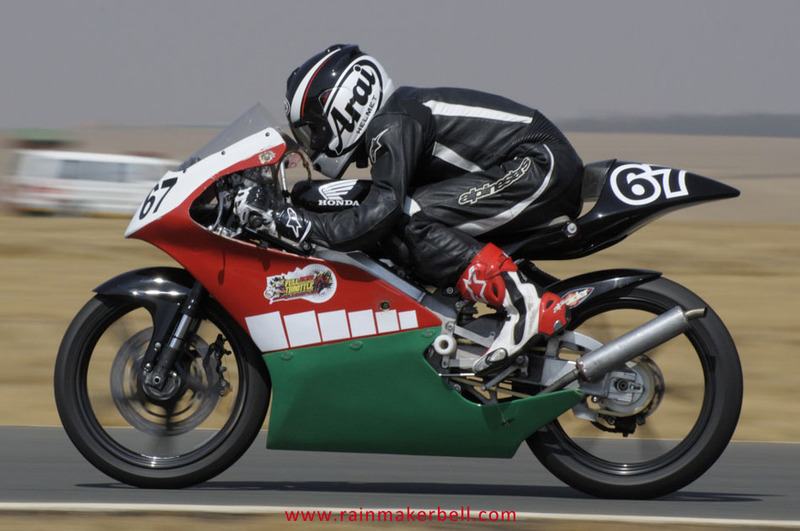 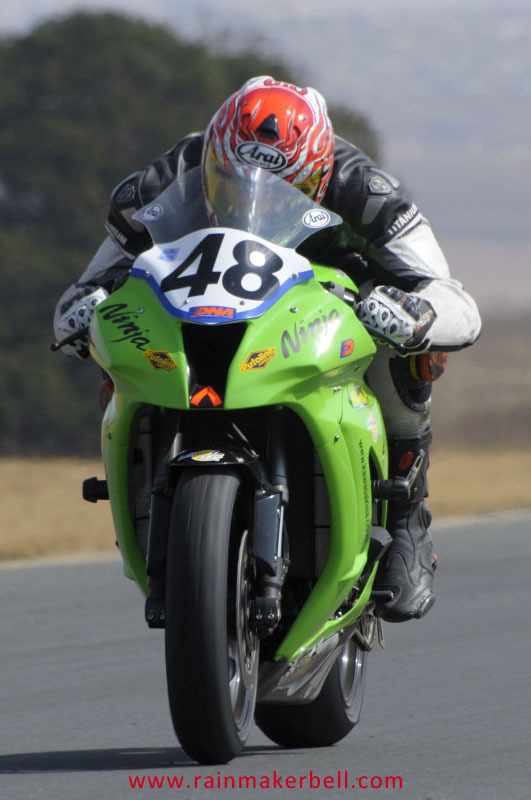 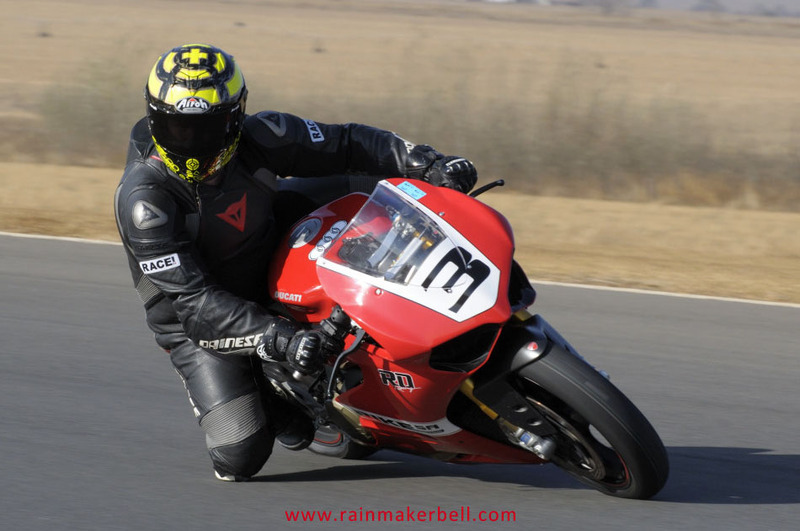 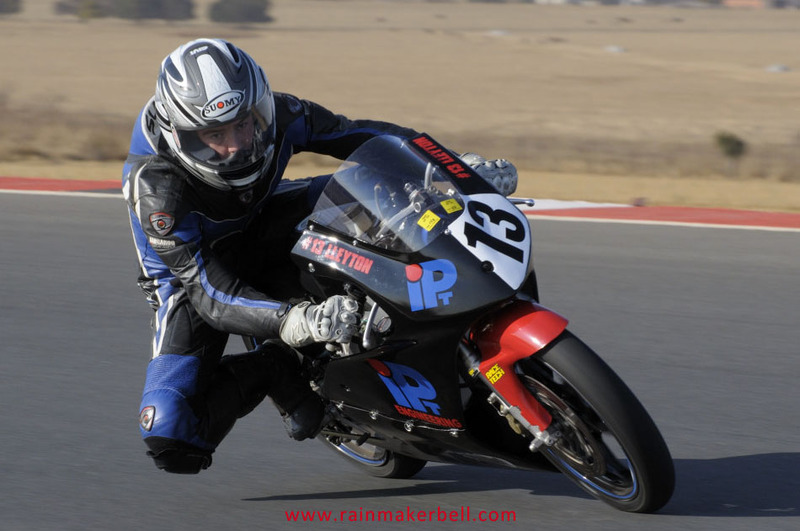 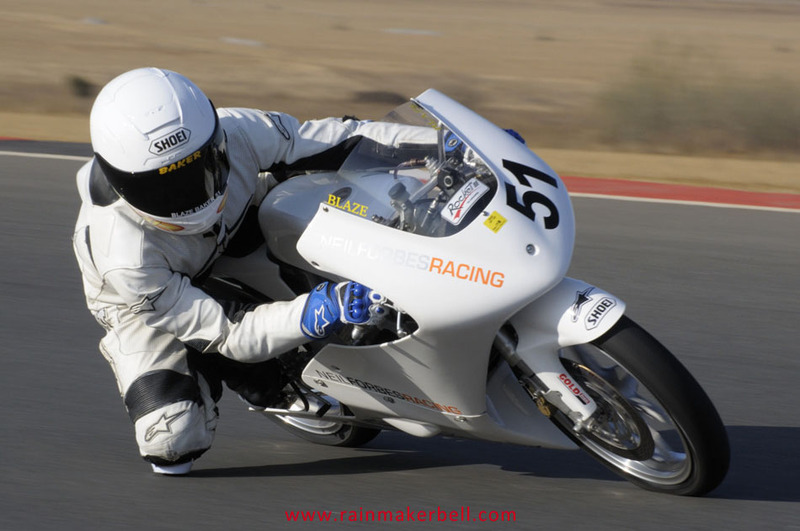 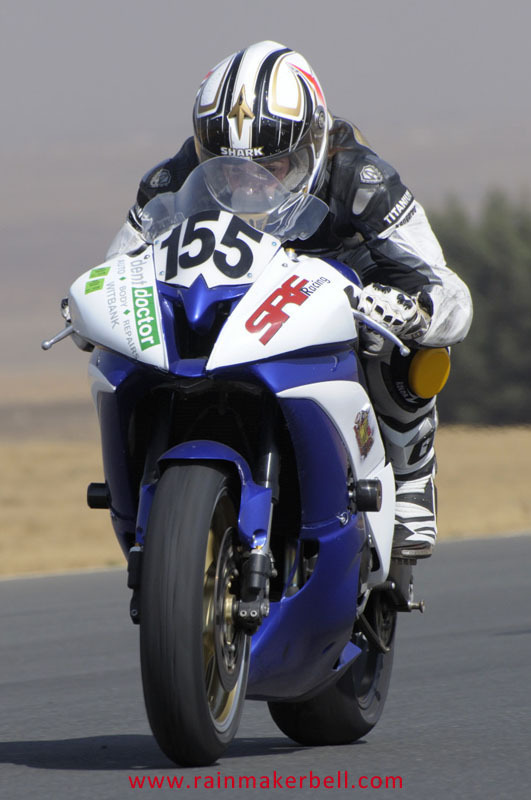 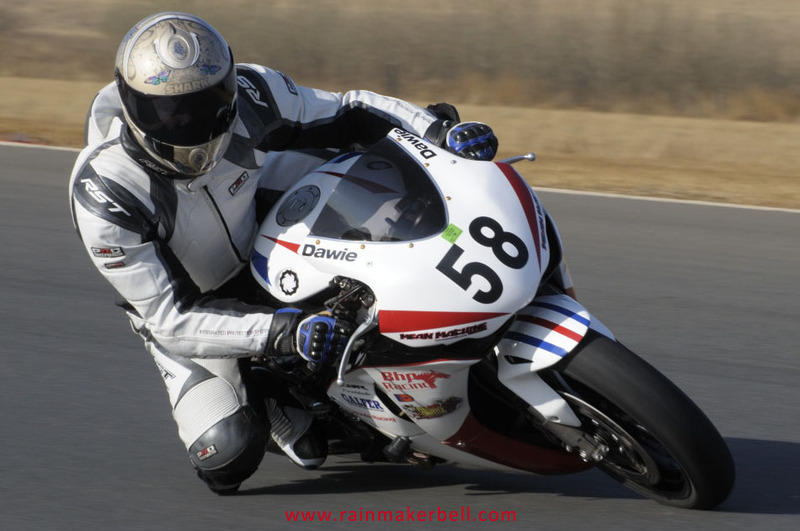 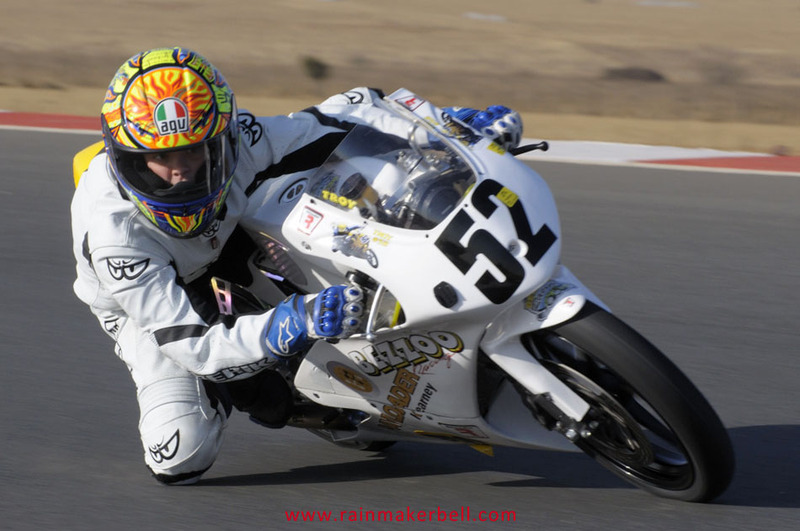 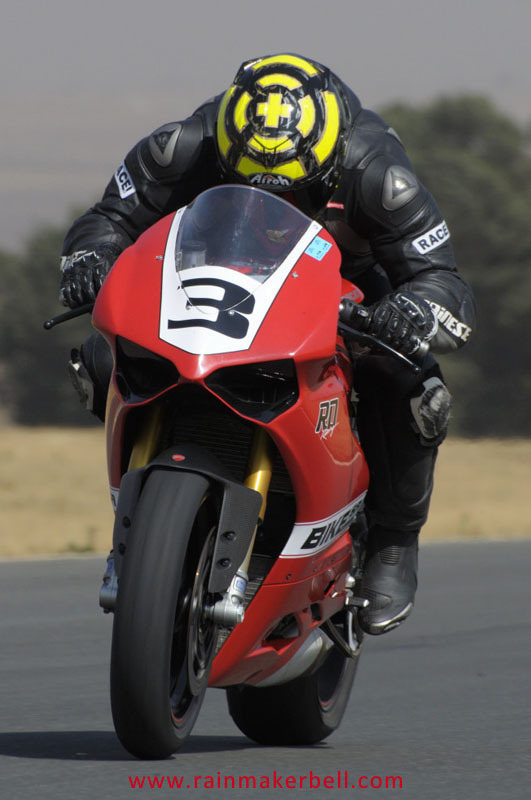 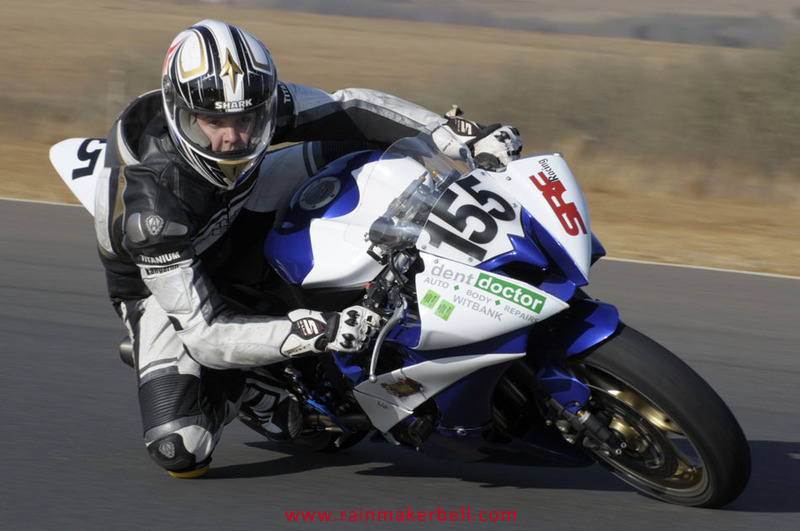 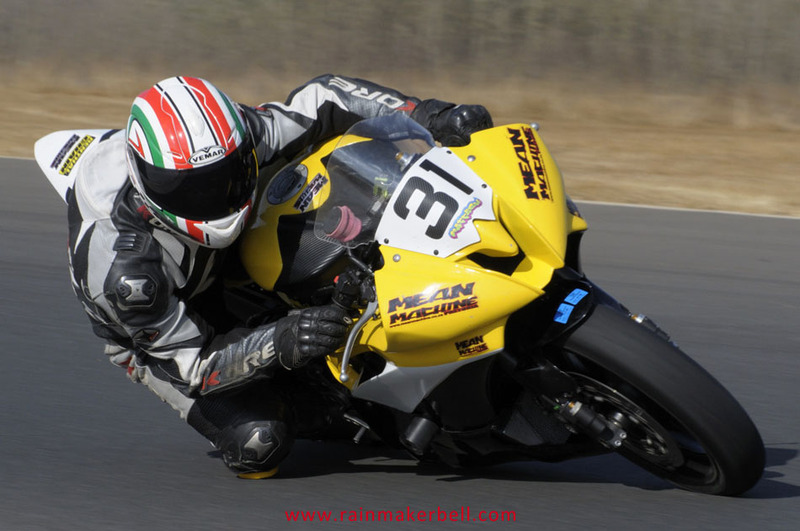 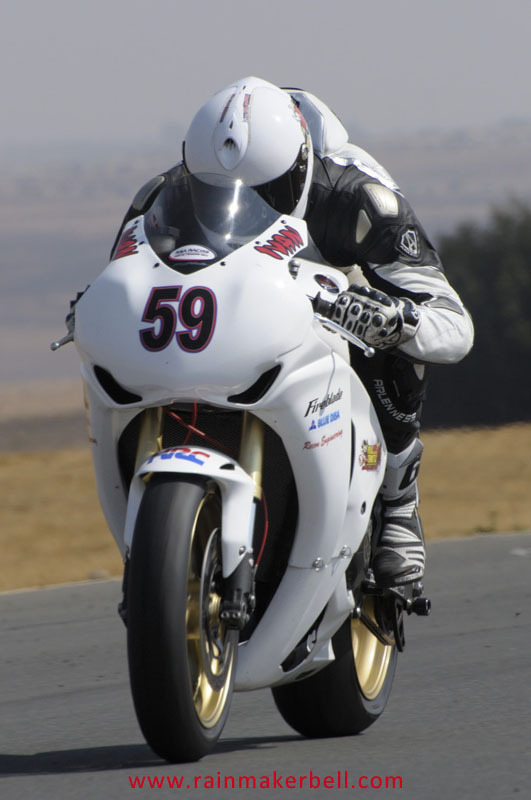 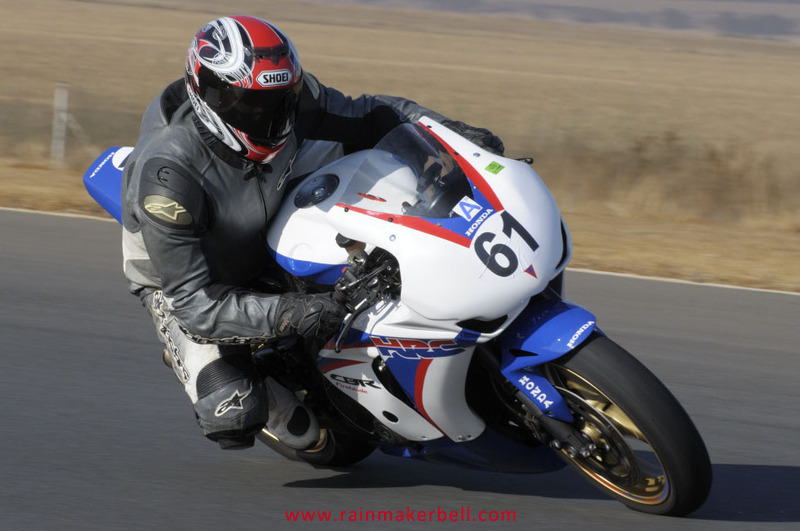 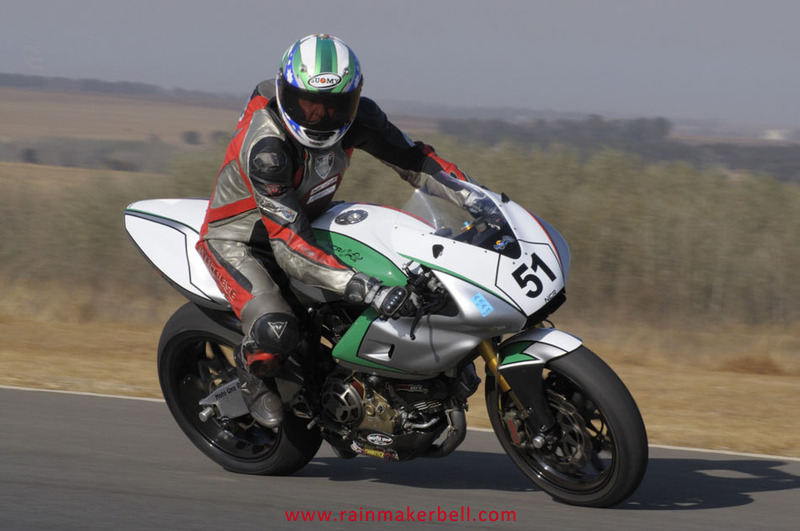 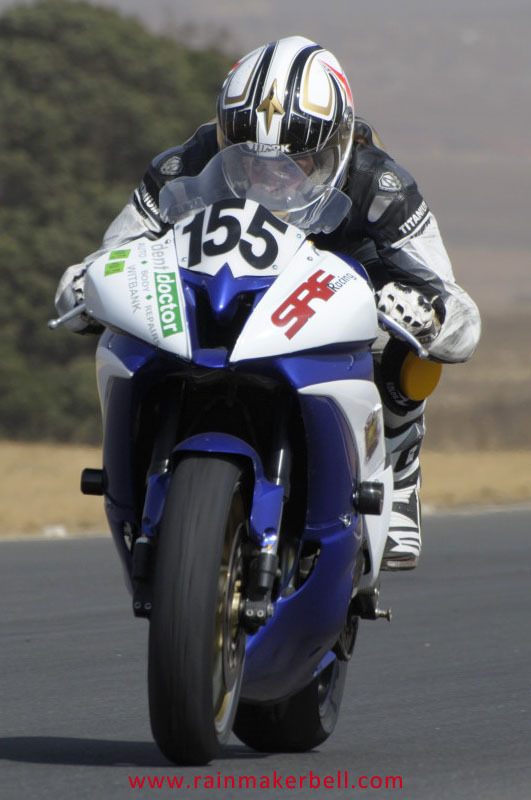 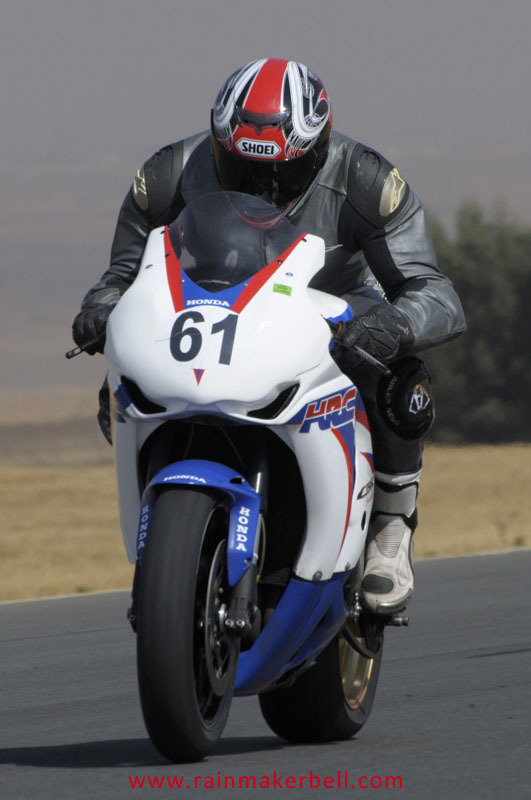 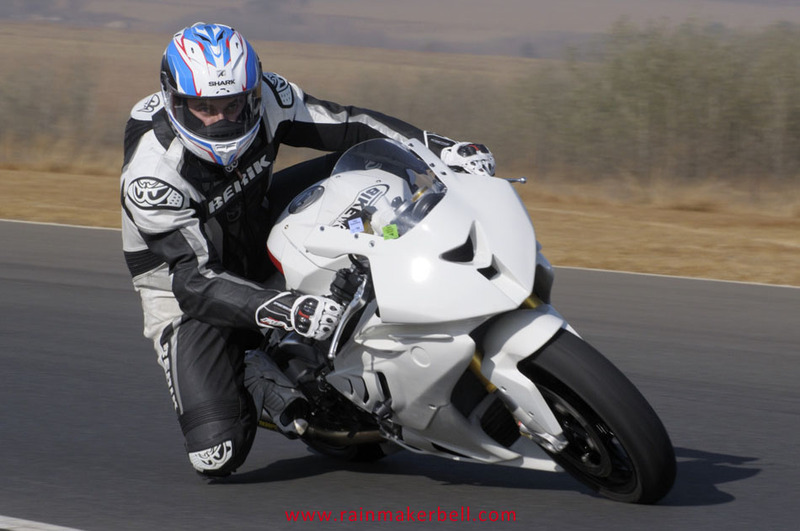 Words & Photos: Adriaan & Martine Venter (Northern Regions Racing, Full Throttle Race Day, Red Star Raceway, South African Motorsport, 2012/08/17, Practice Session, 179 images) Main Image: Gavin Lightfoot #48, Kawasaki ZX10R, Unlimited Superbikes.